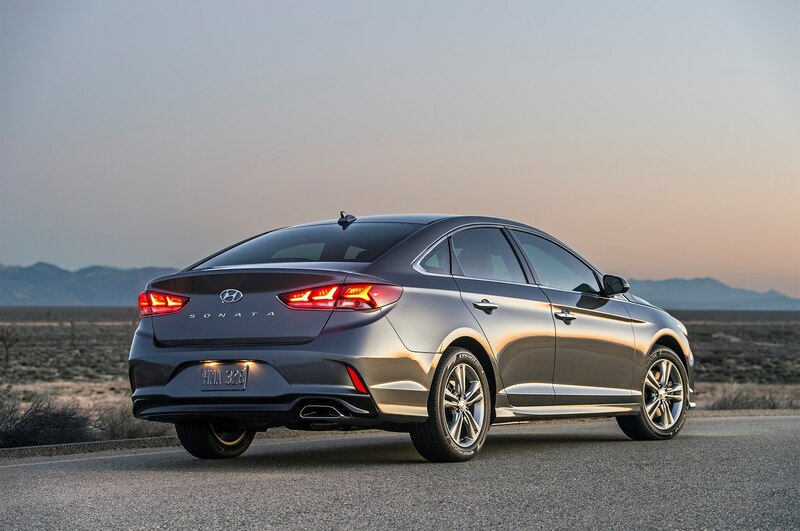 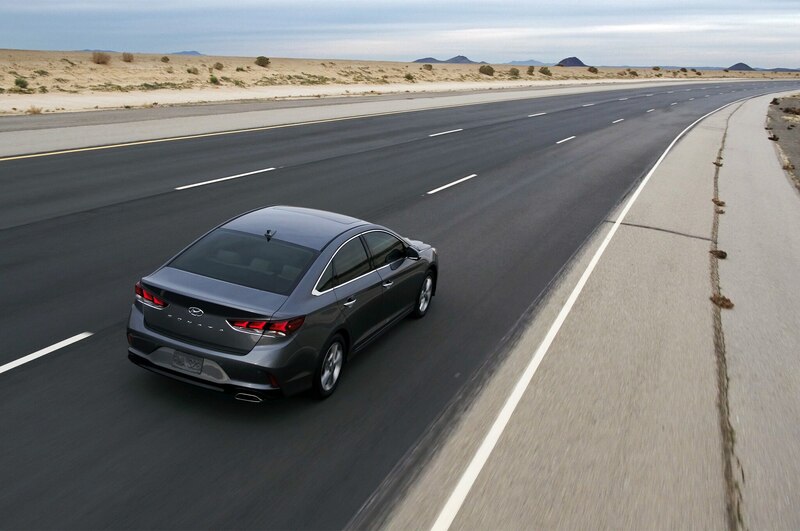 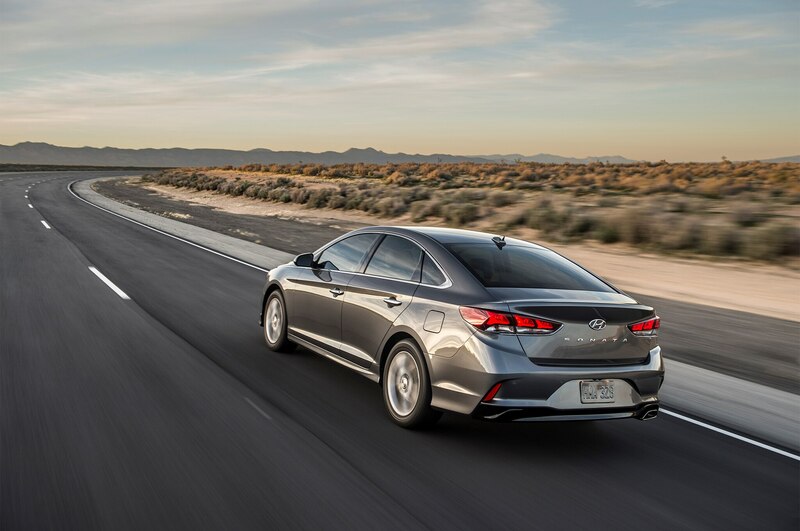 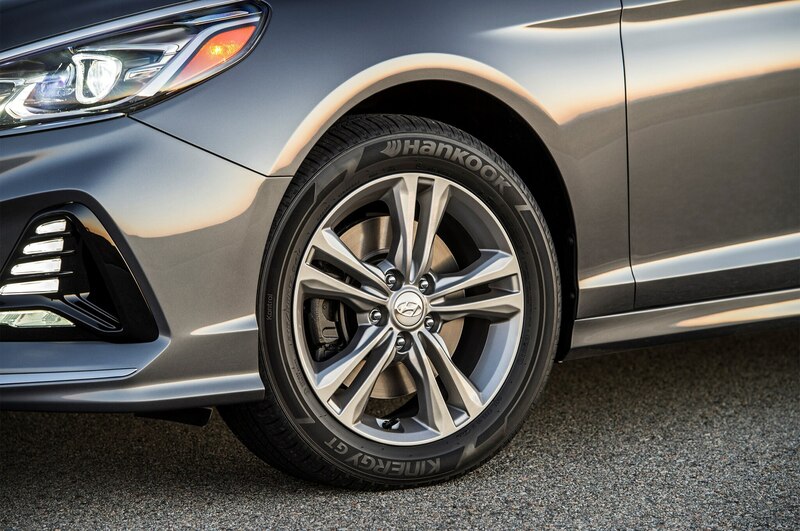 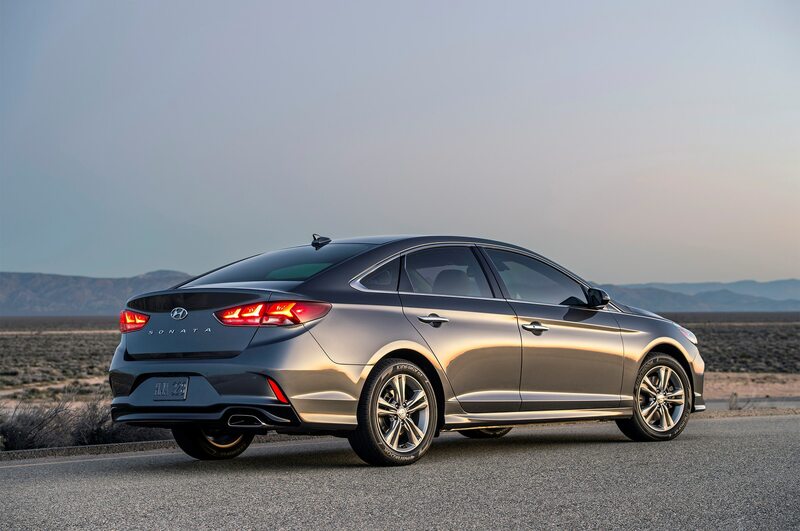 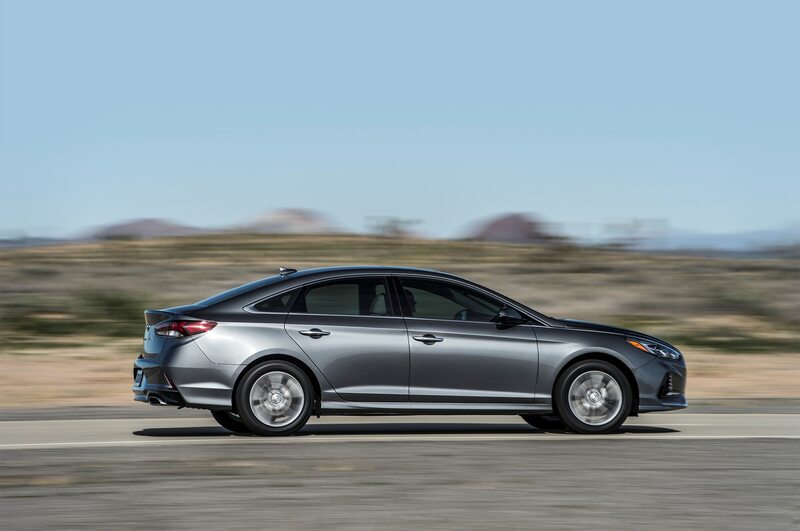 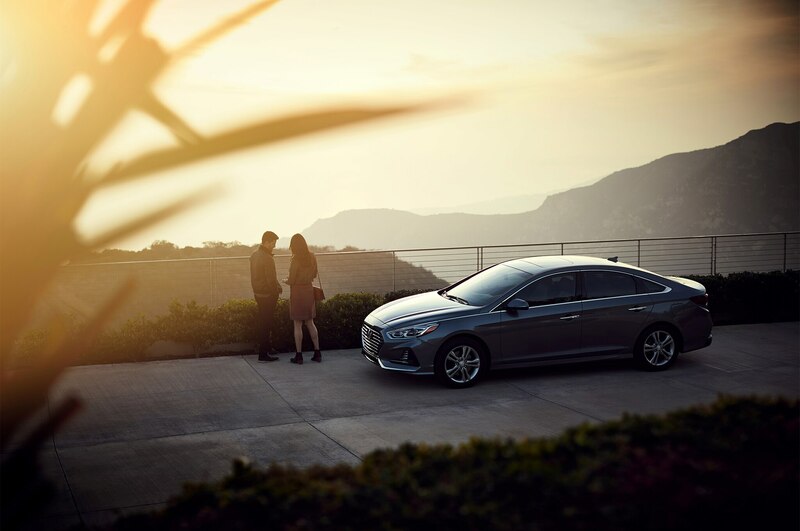 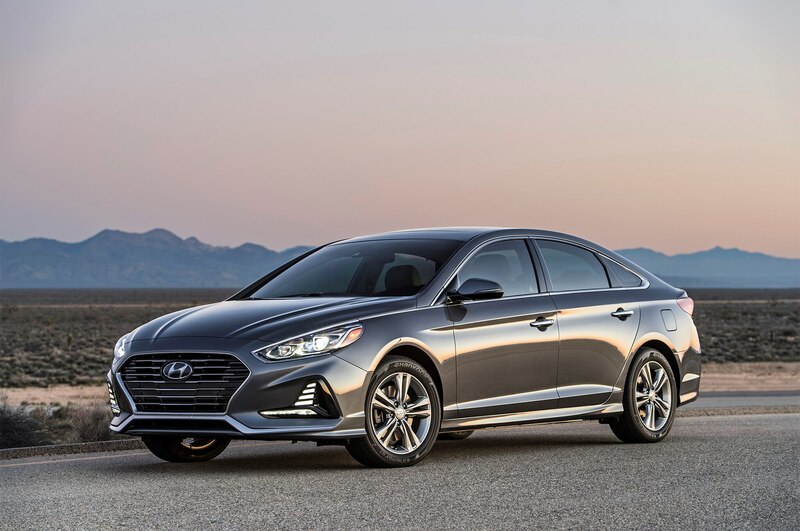 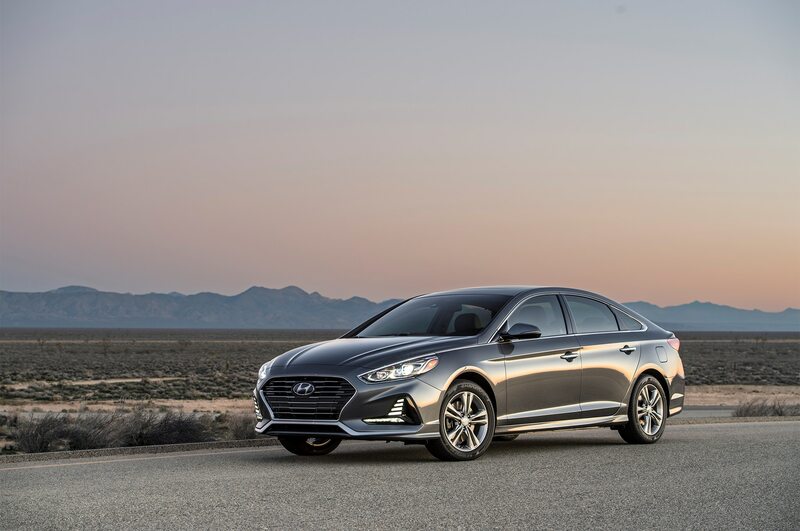 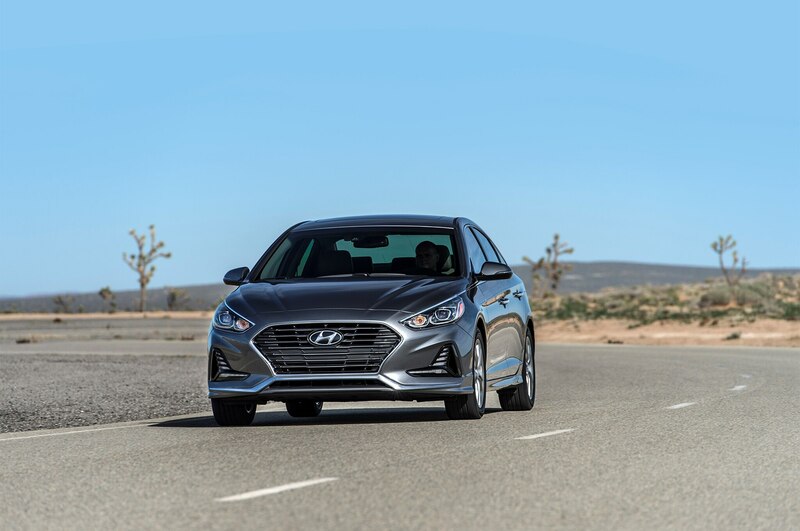 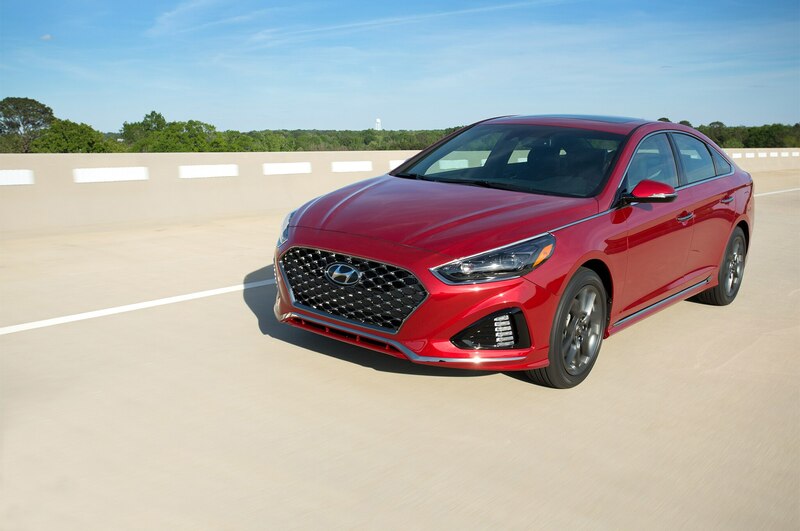 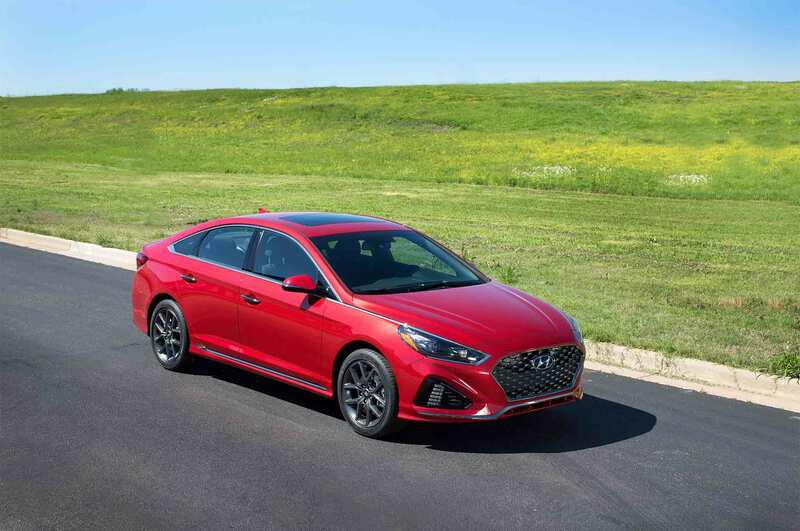 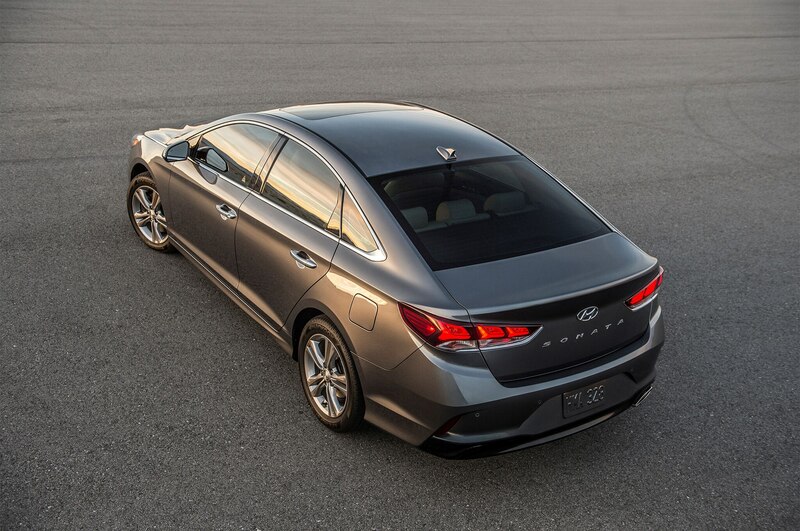 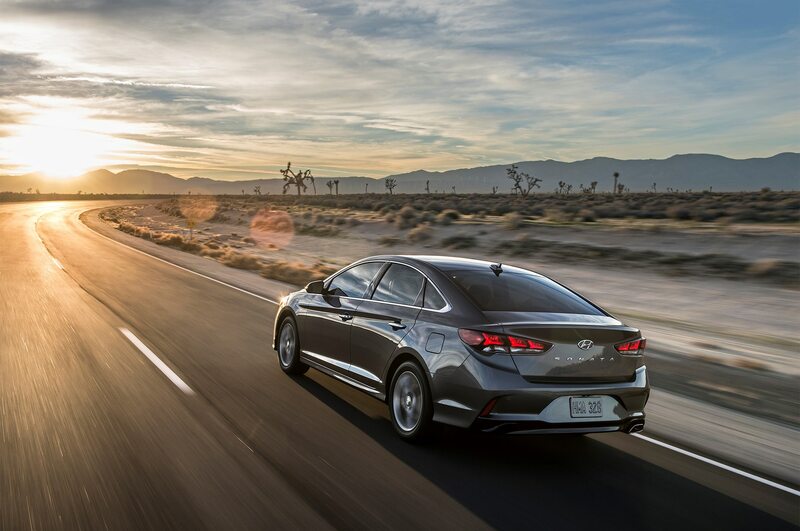 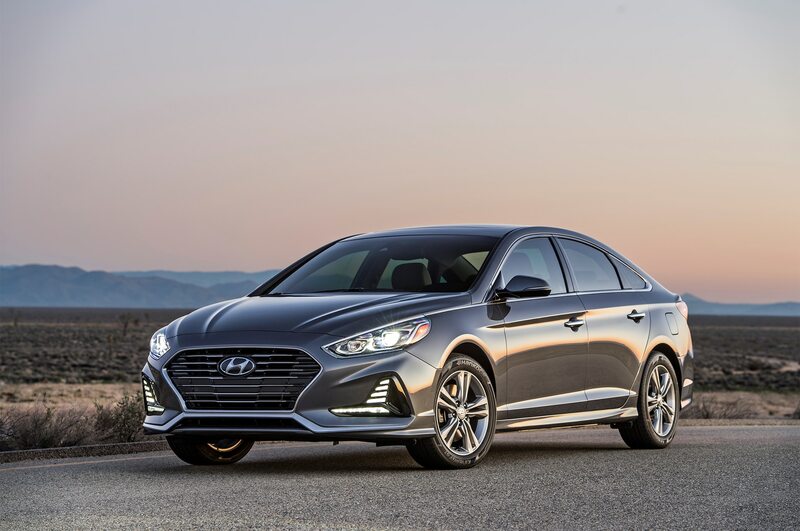 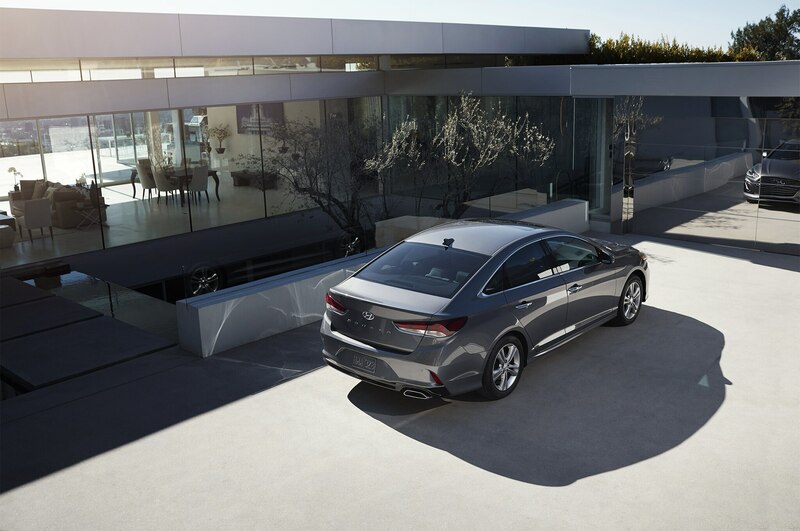 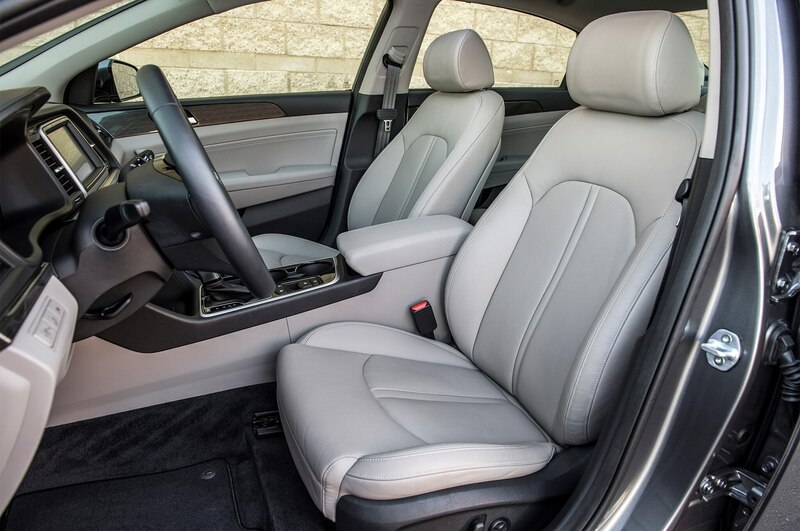 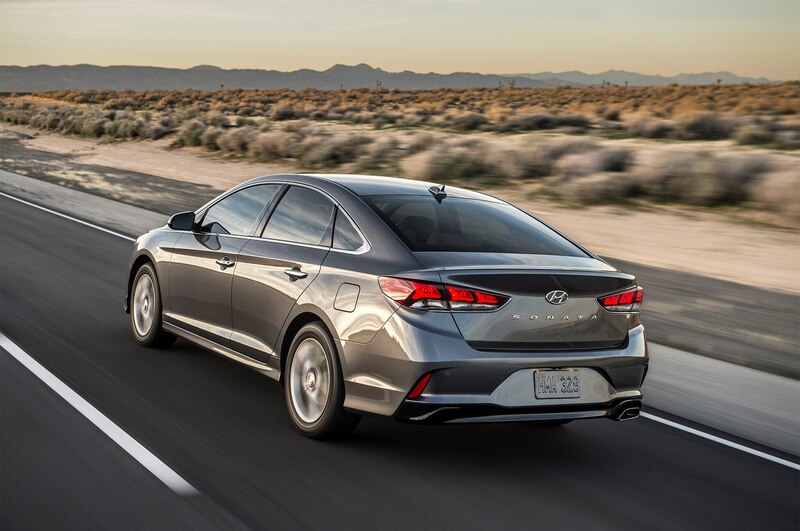 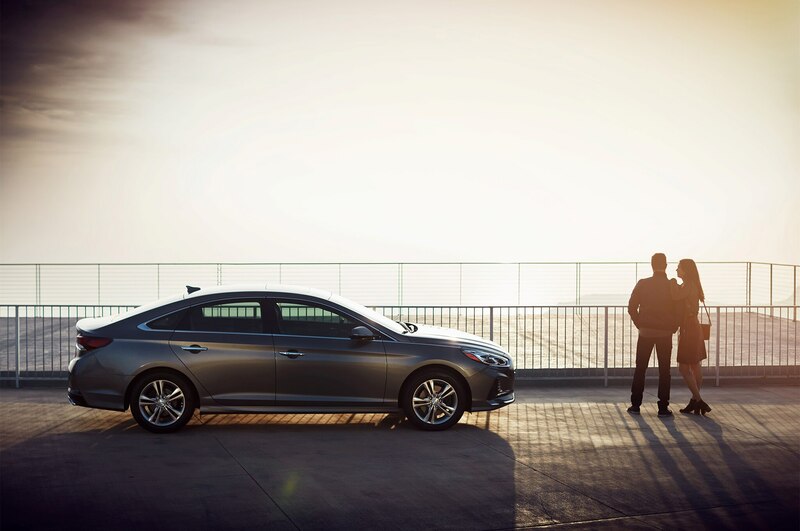 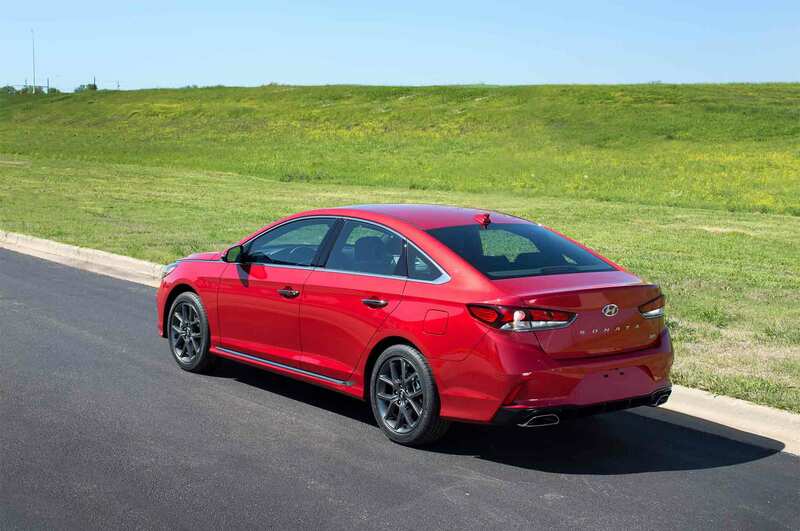 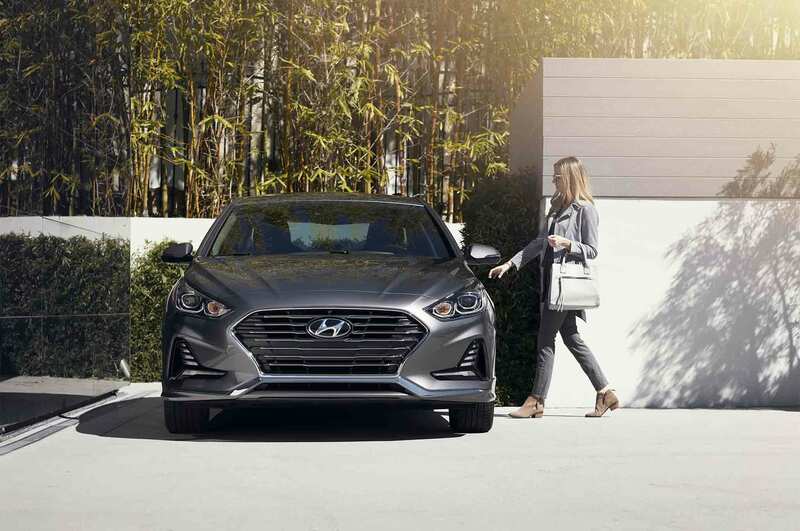 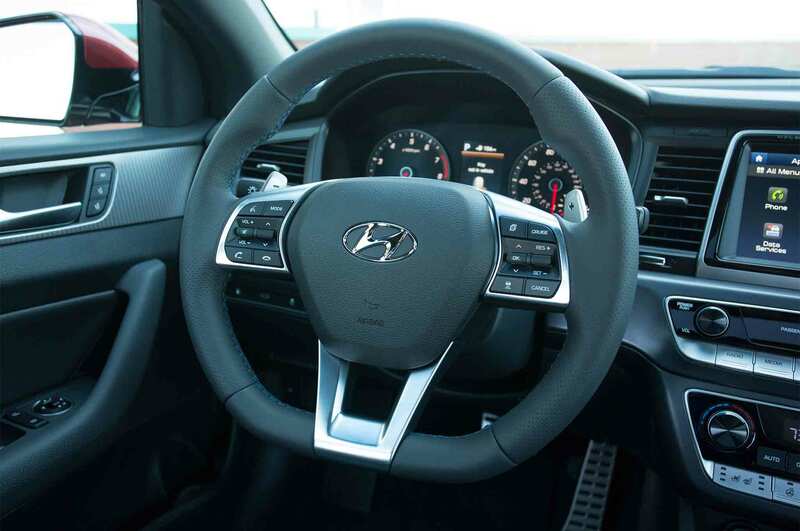 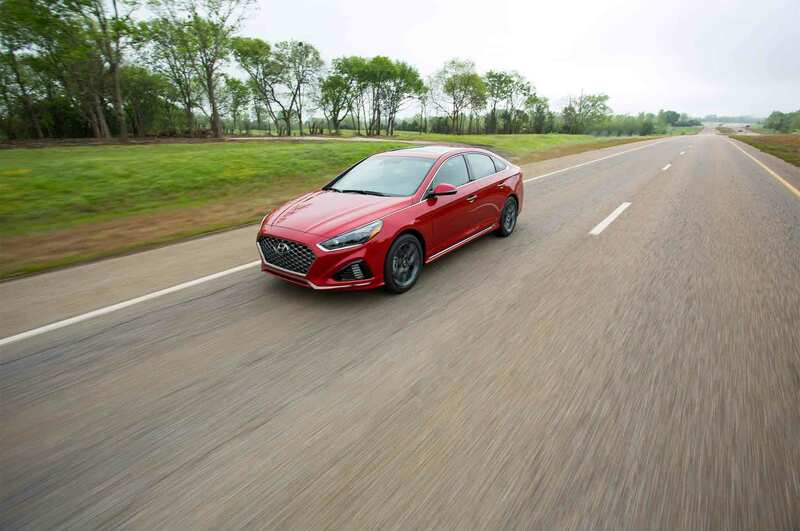 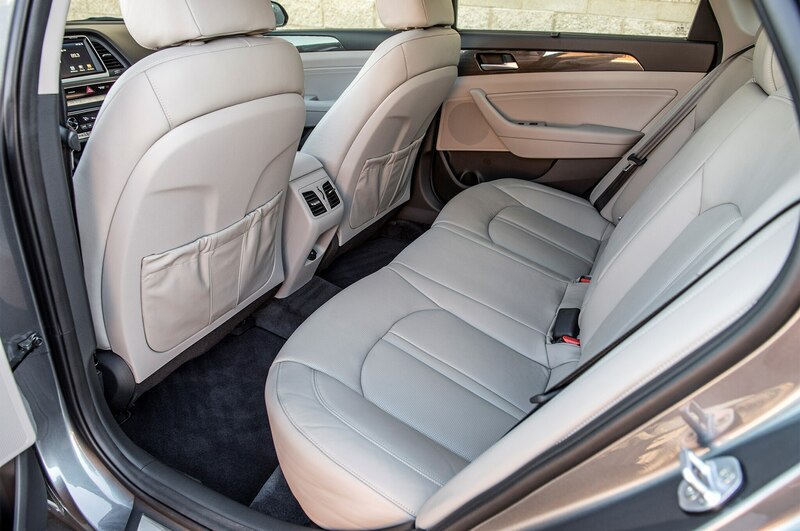 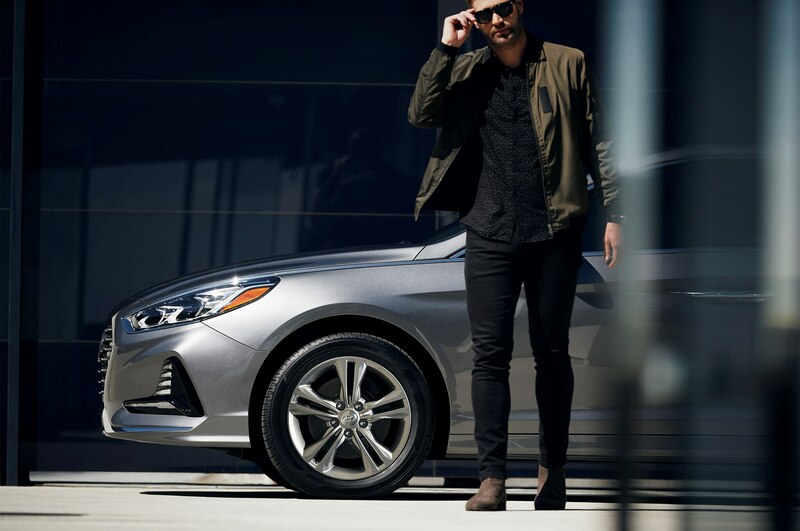 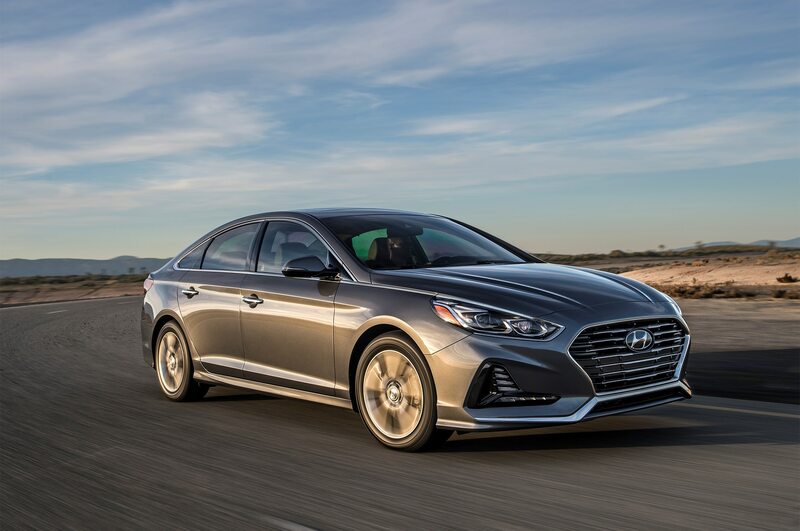 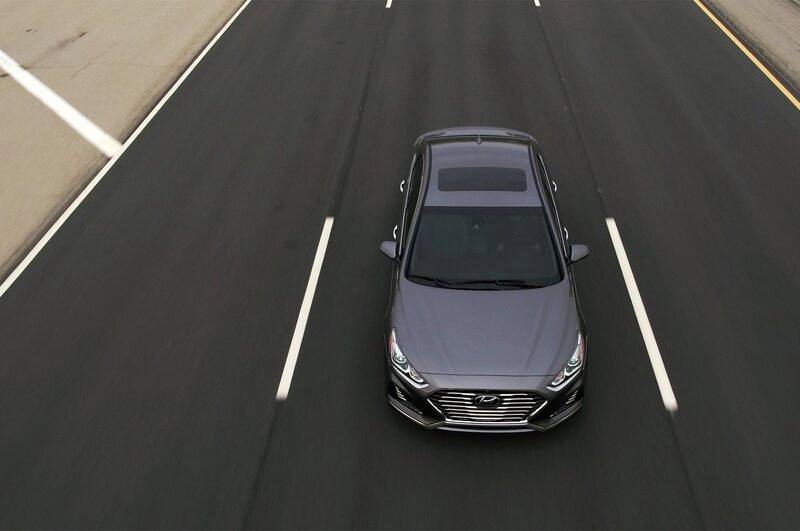 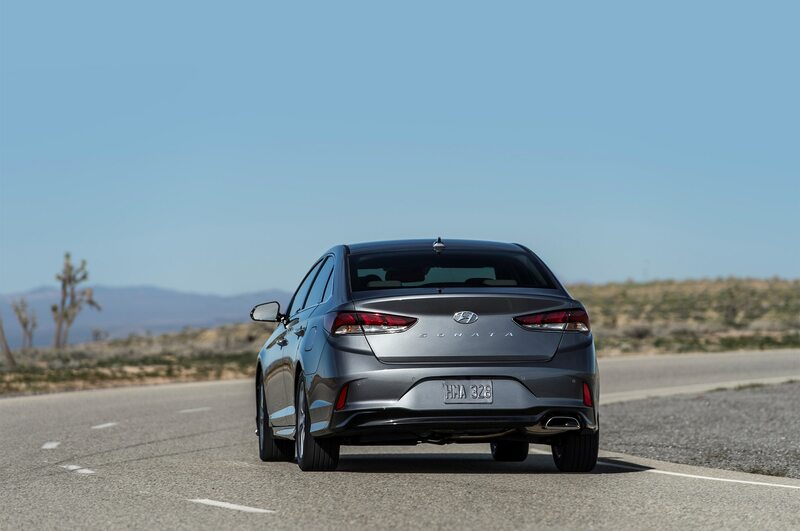 The 2018 Hyundai Sonata received a healthy nip and tuck for its much-needed mid-cycle refresh. 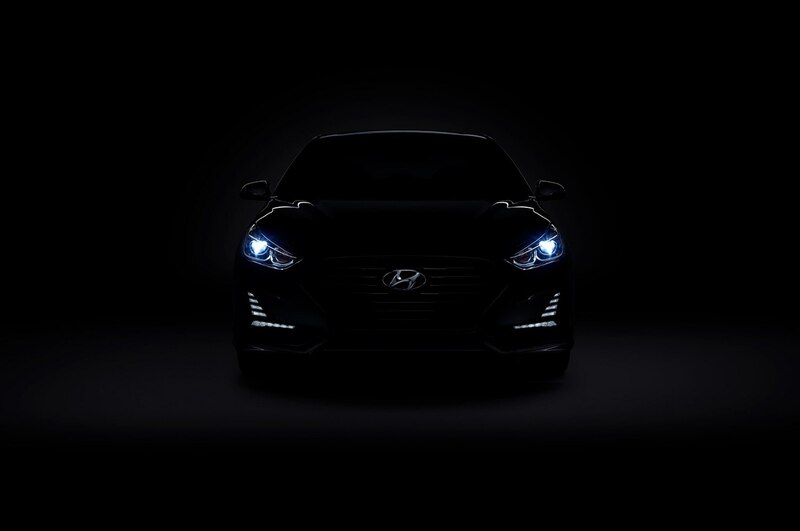 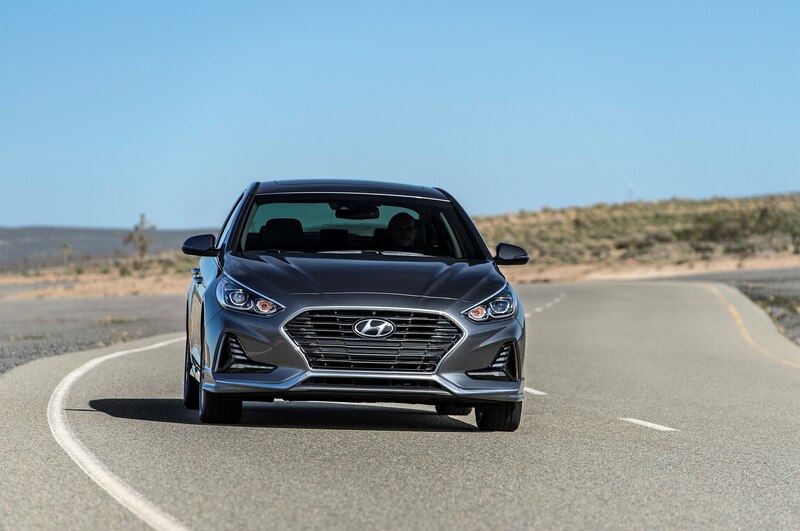 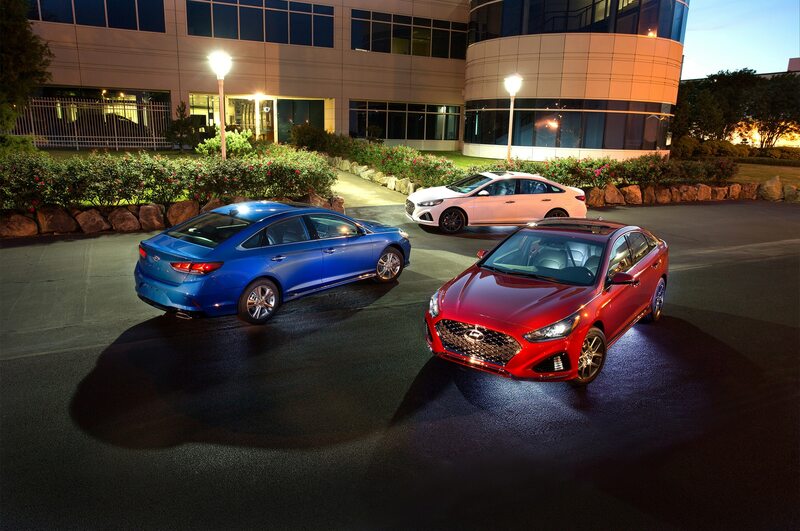 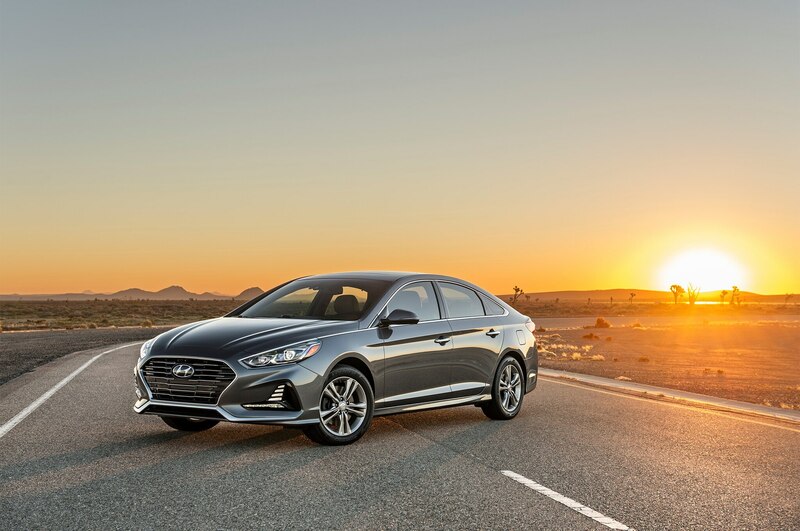 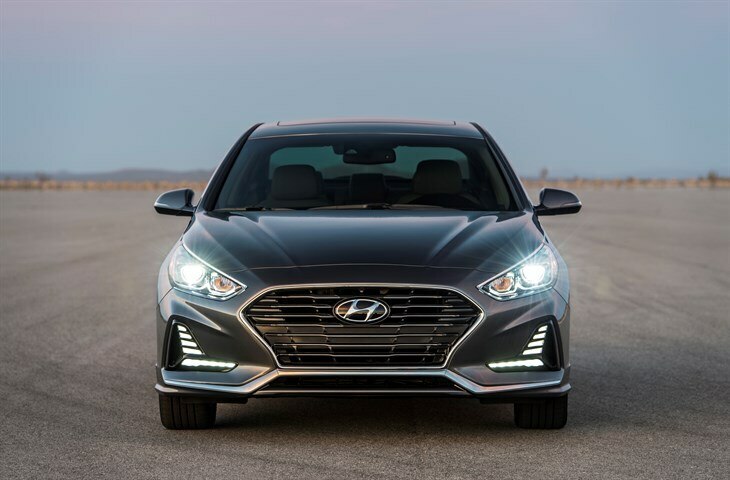 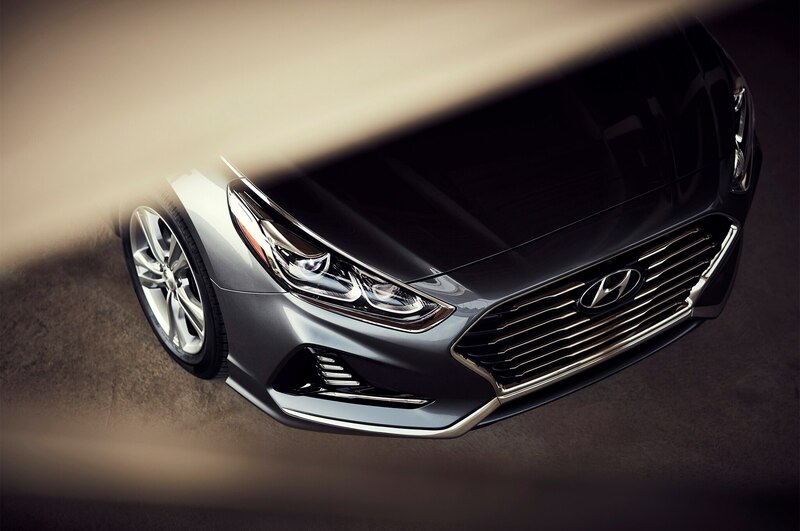 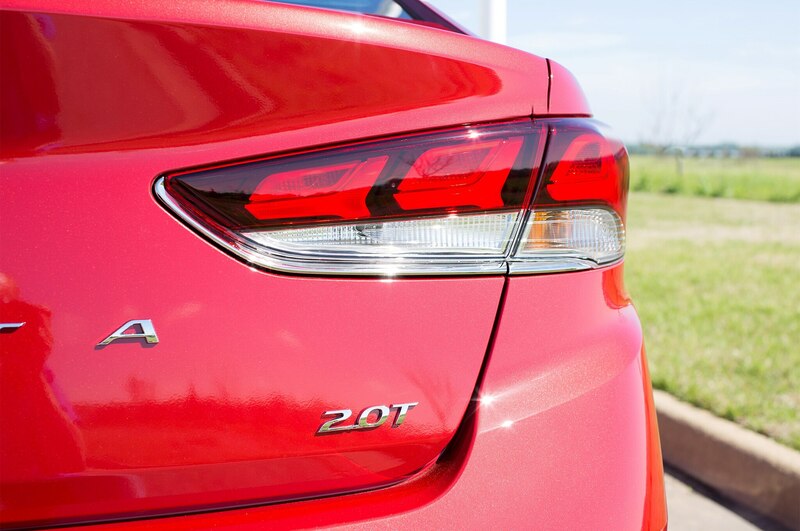 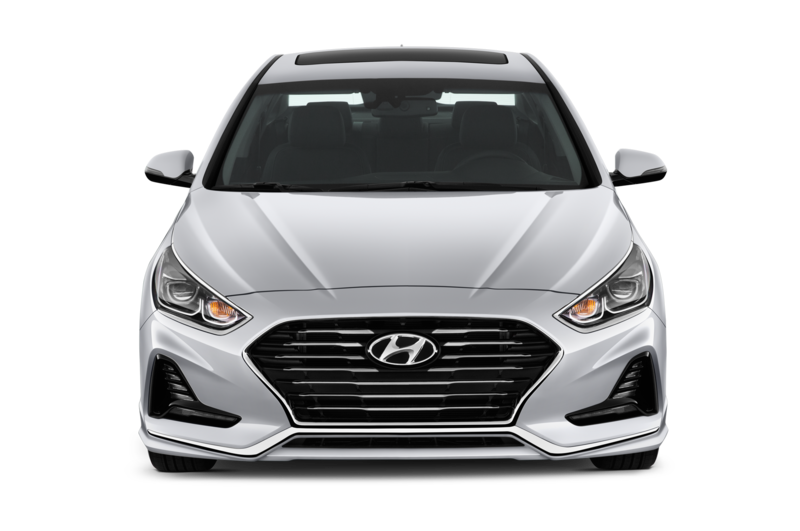 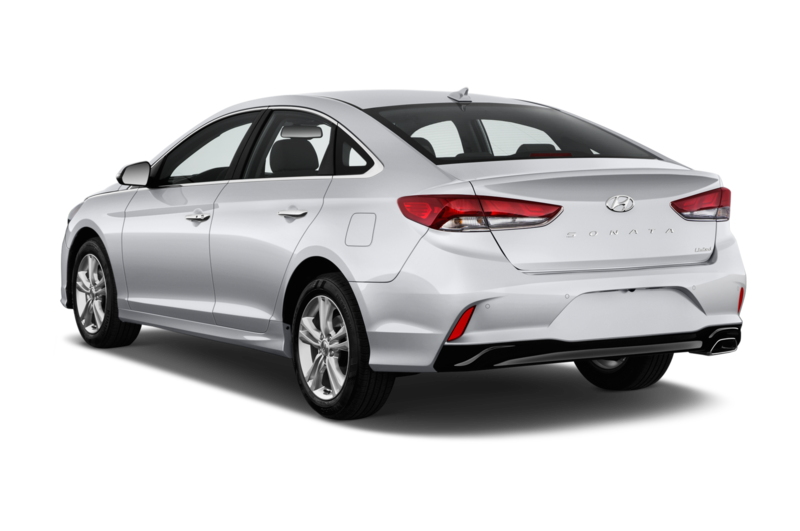 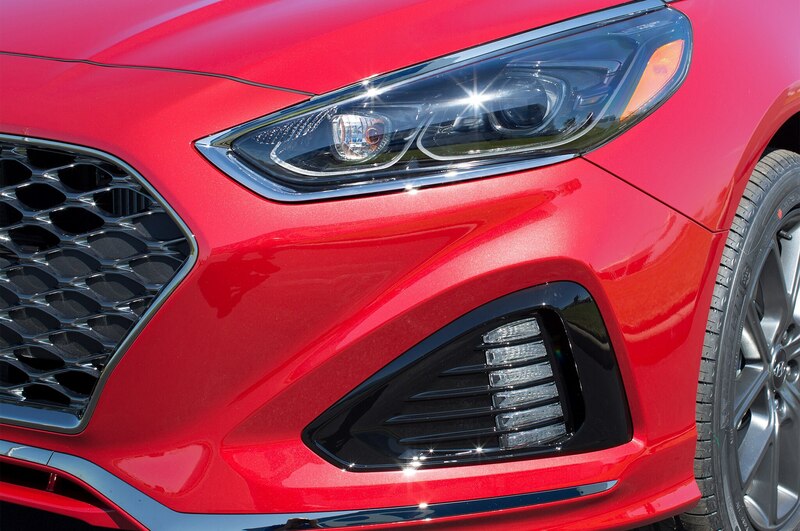 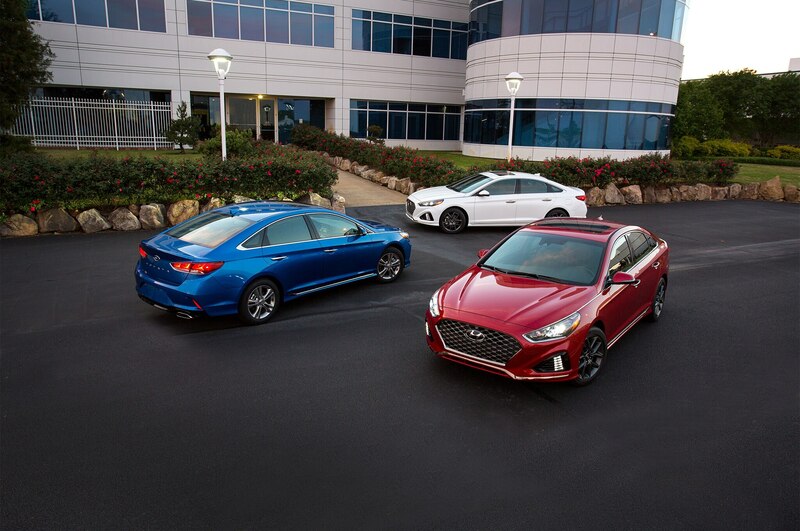 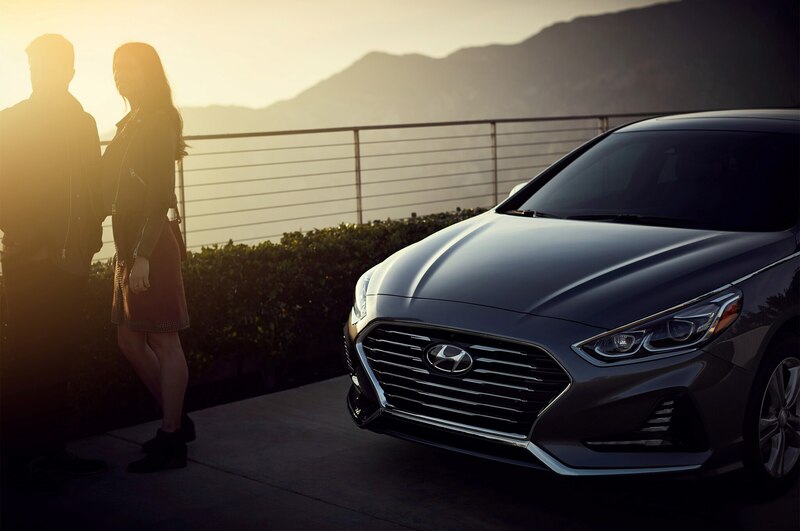 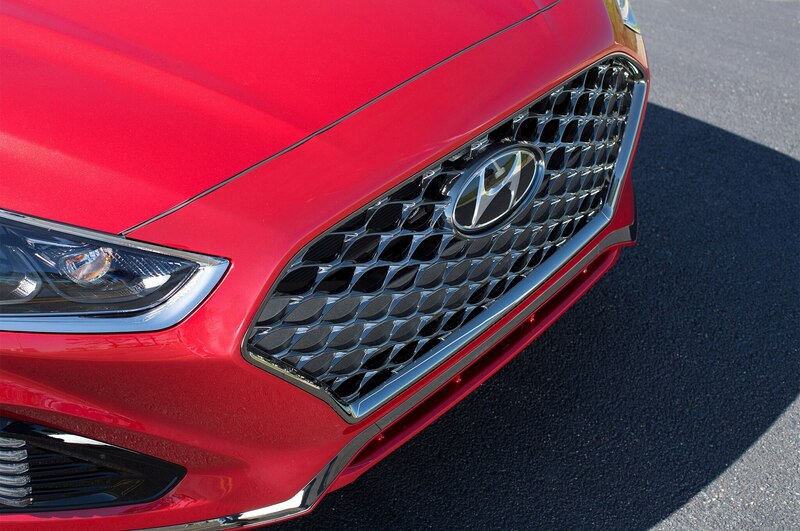 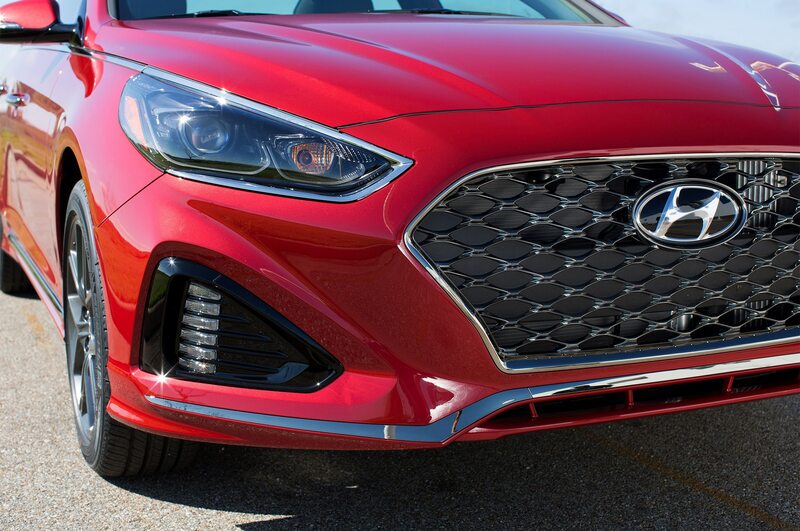 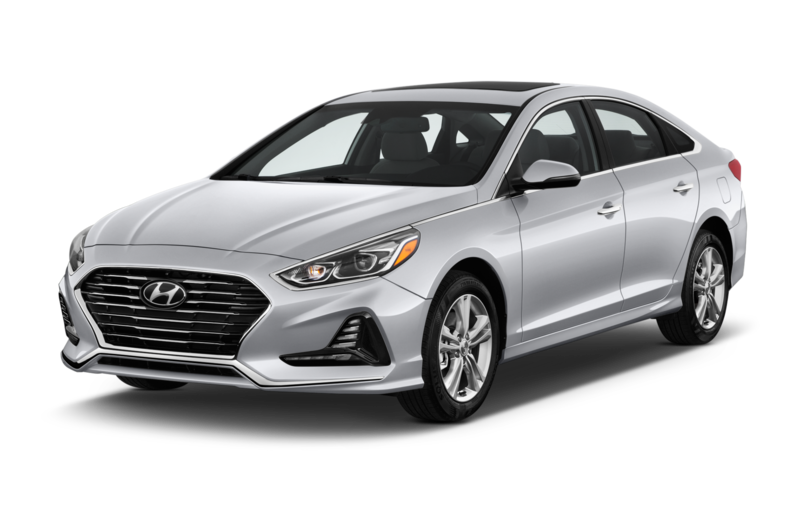 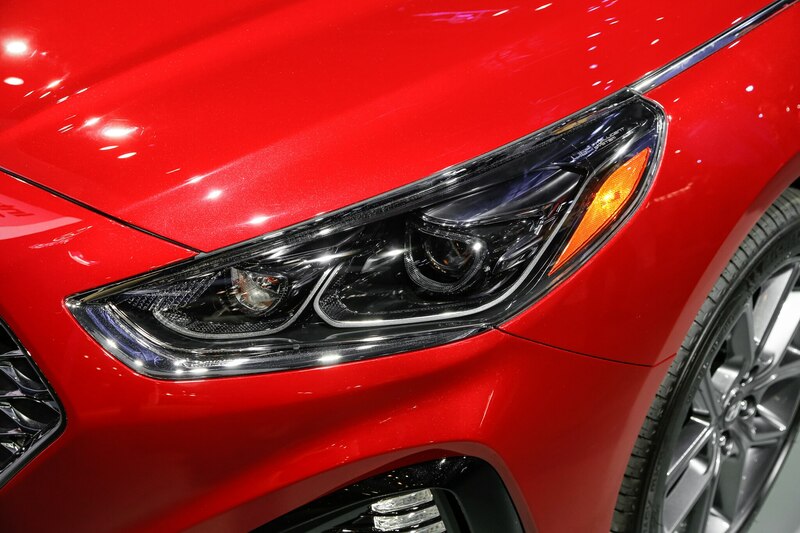 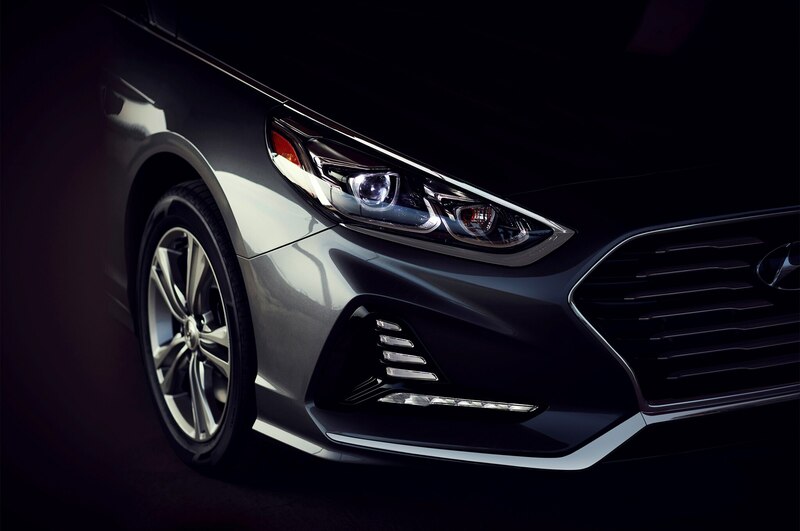 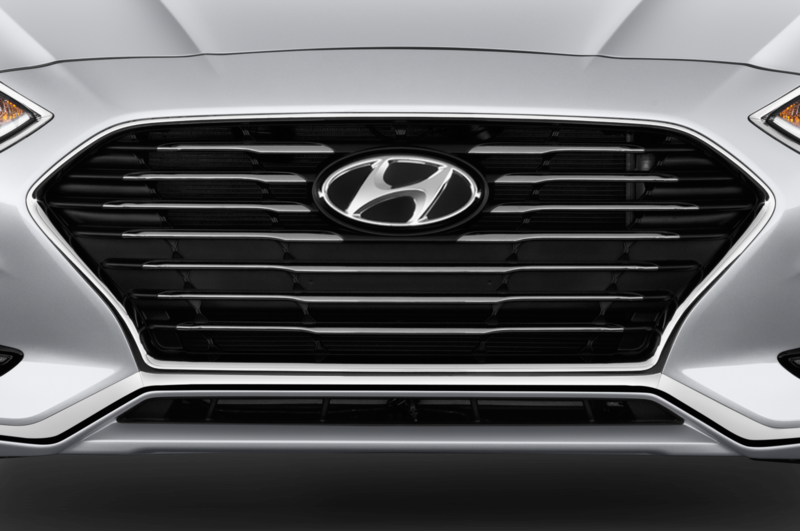 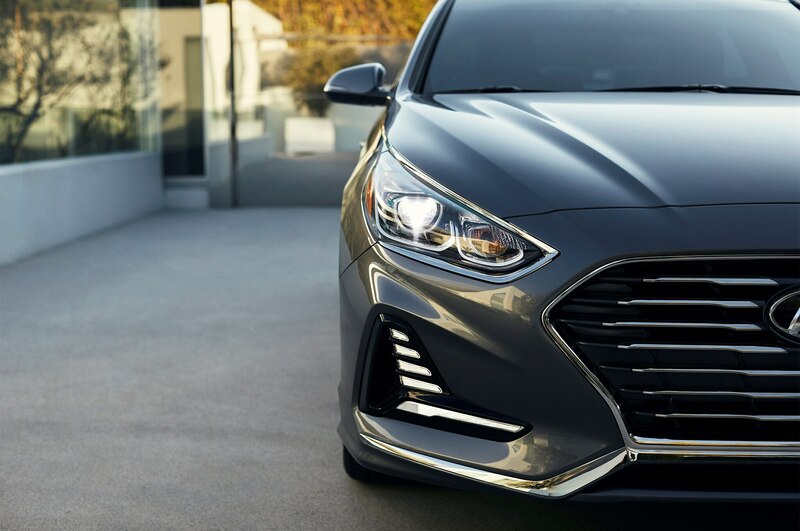 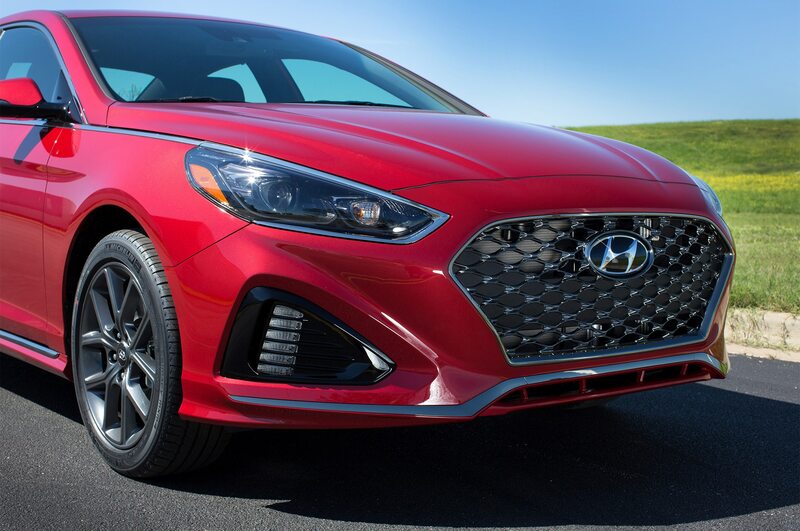 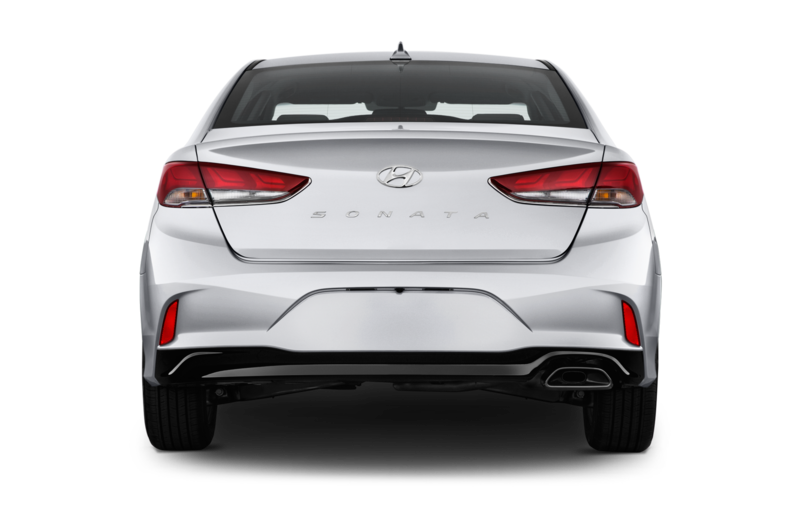 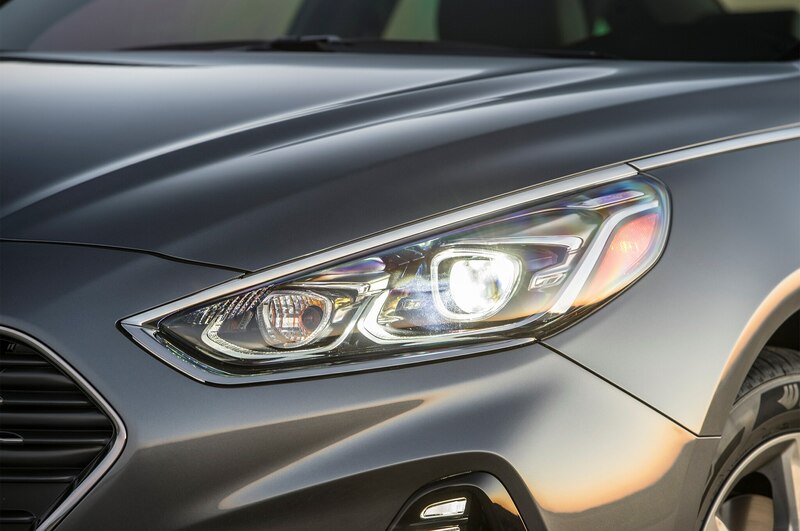 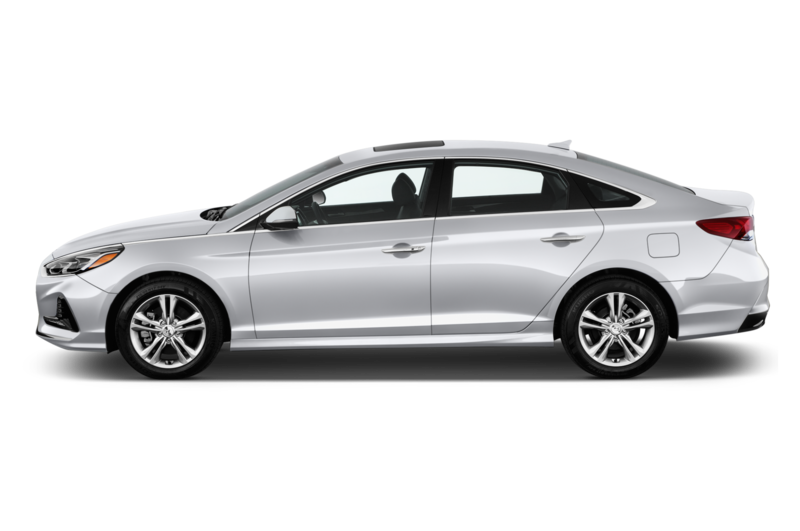 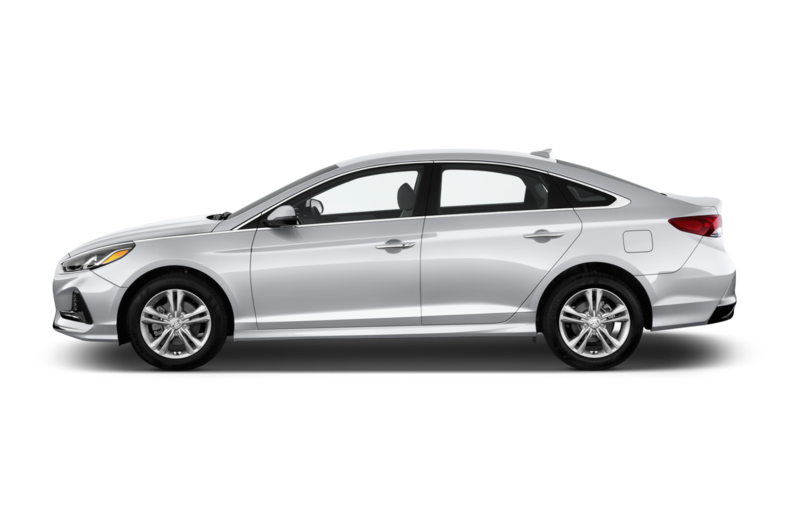 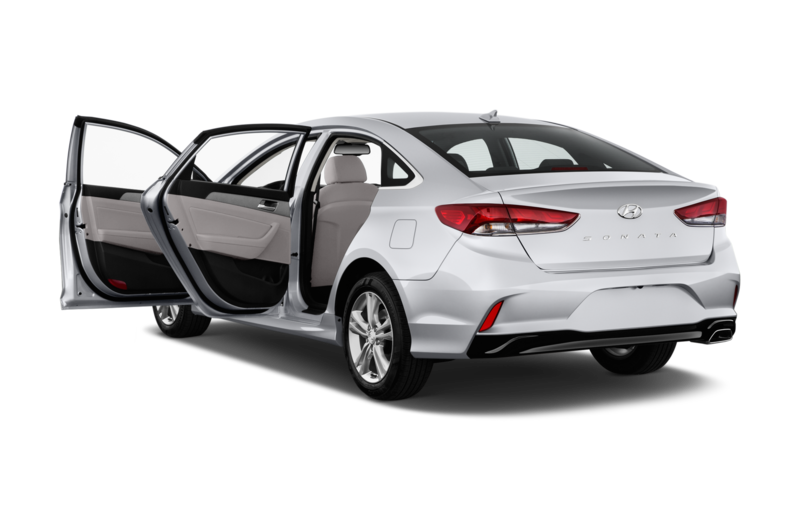 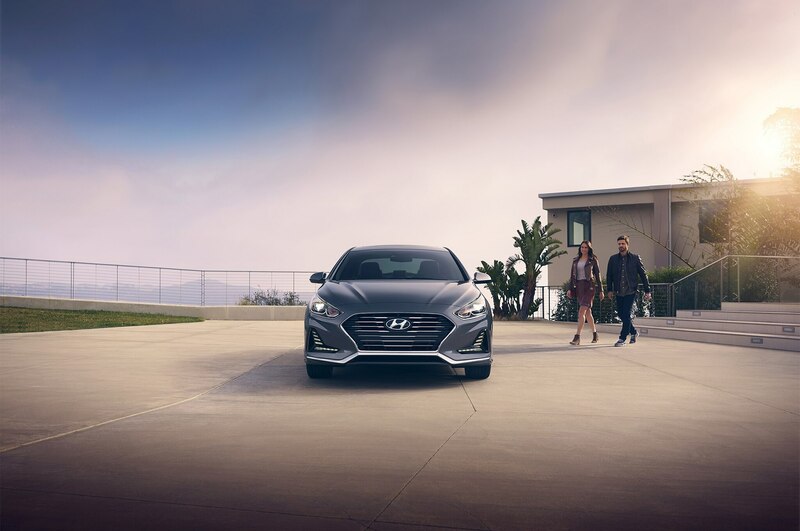 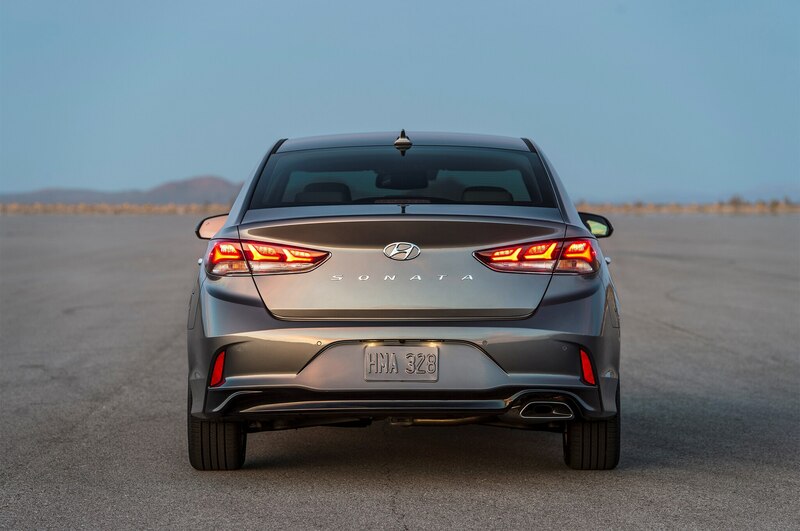 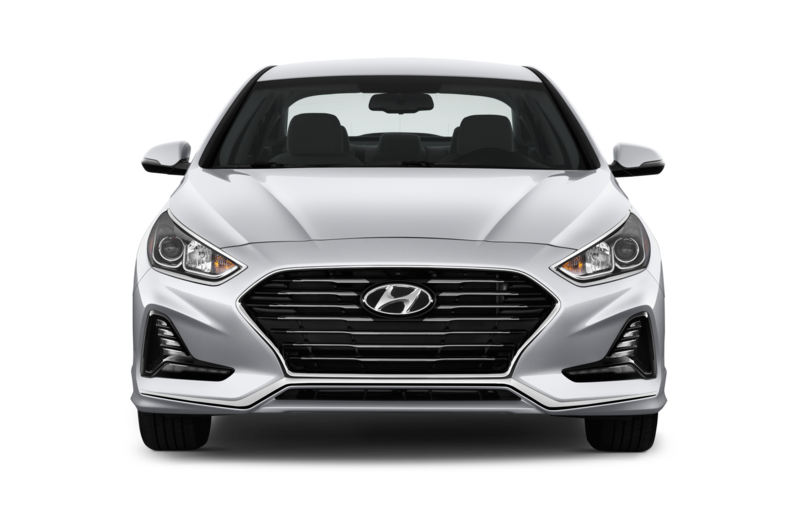 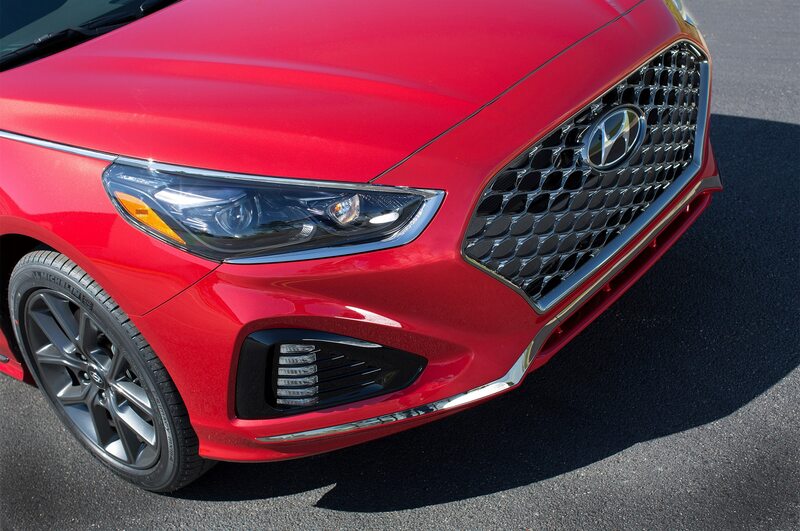 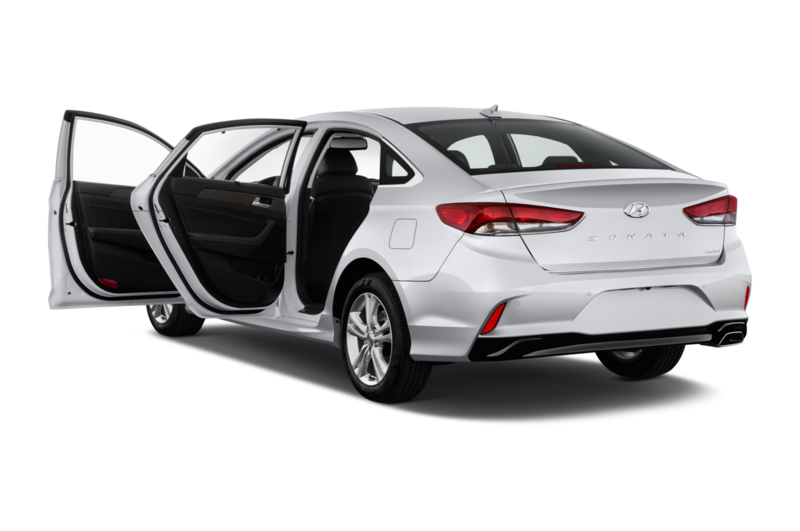 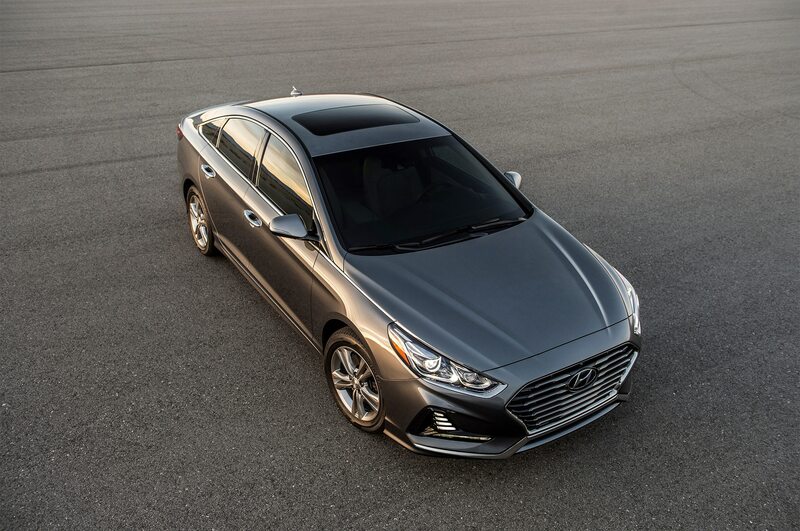 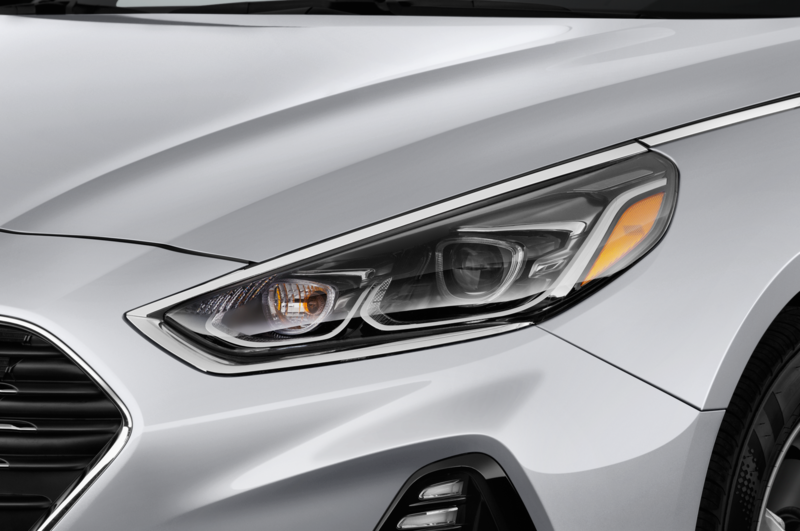 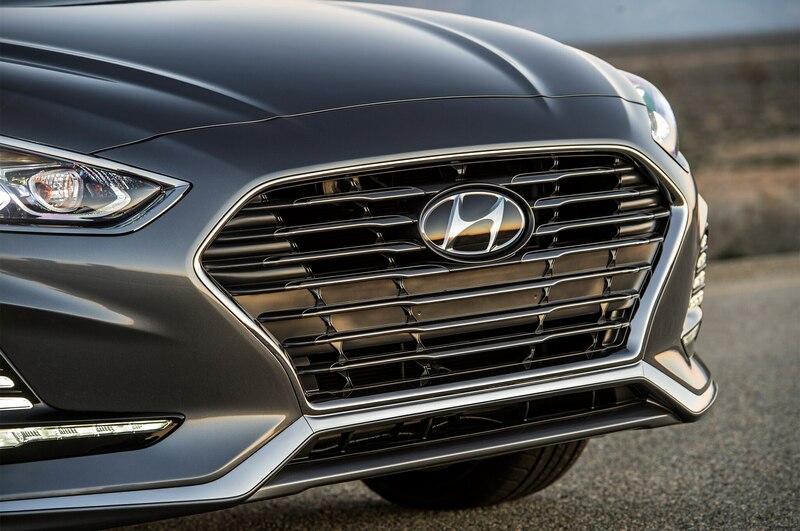 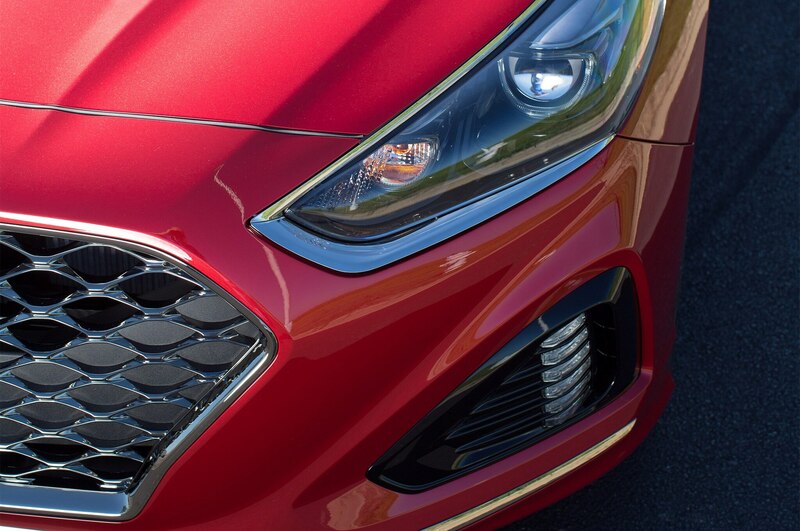 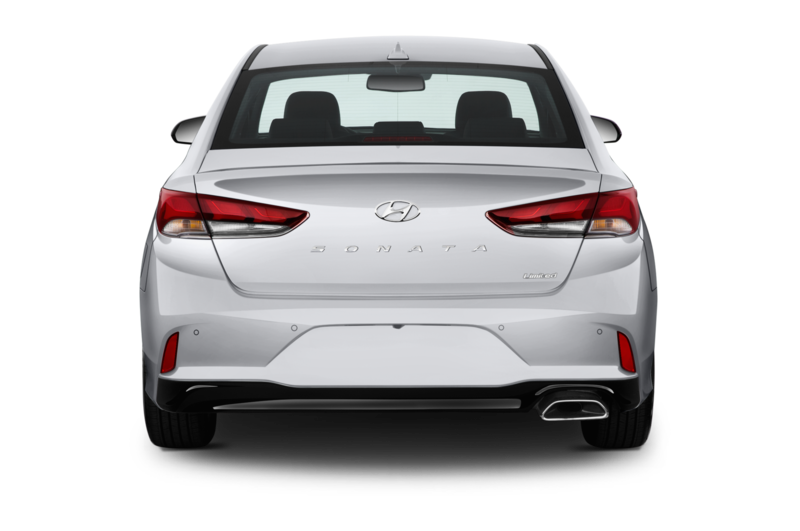 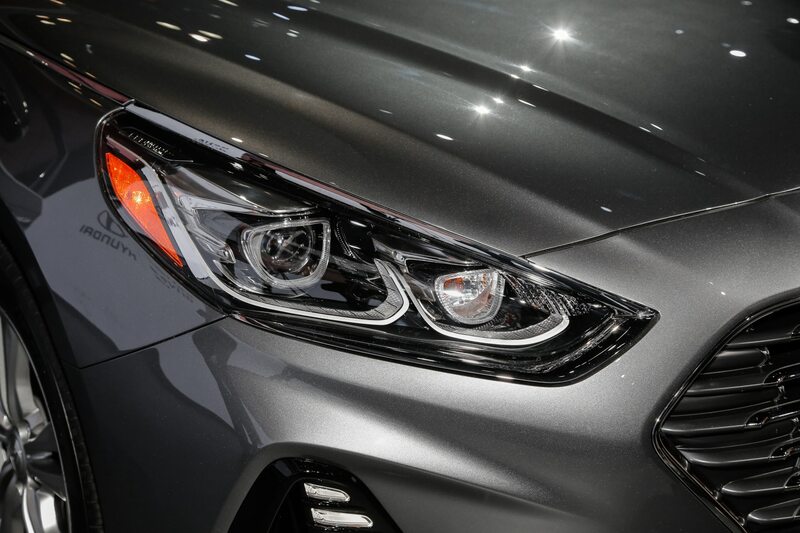 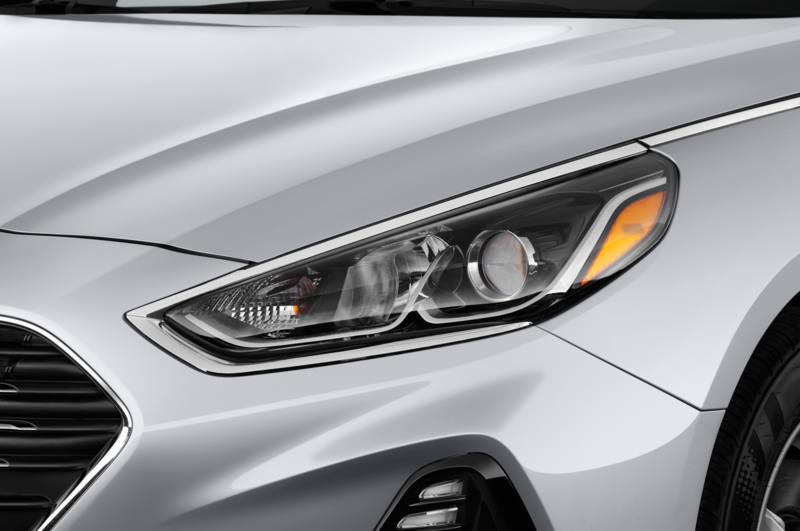 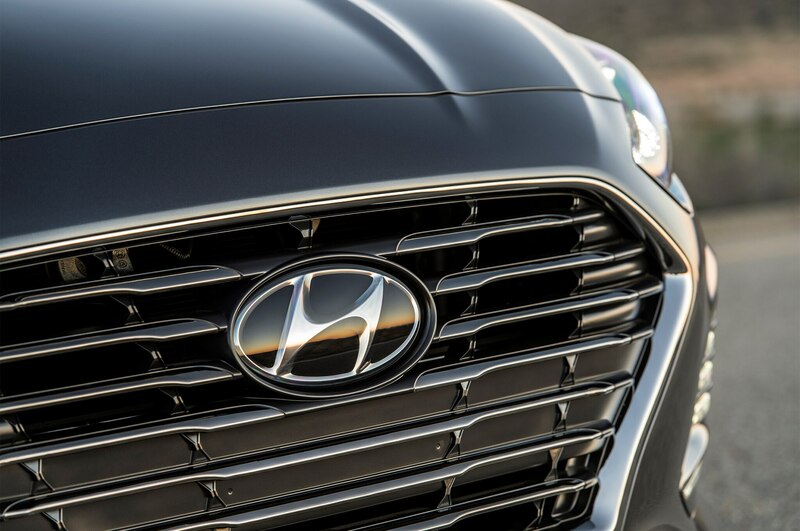 Hyundai’s formally sedate sedan now sports a big, cascading grille, a better profile, dynamic LED headlights, and slimmer taillights. 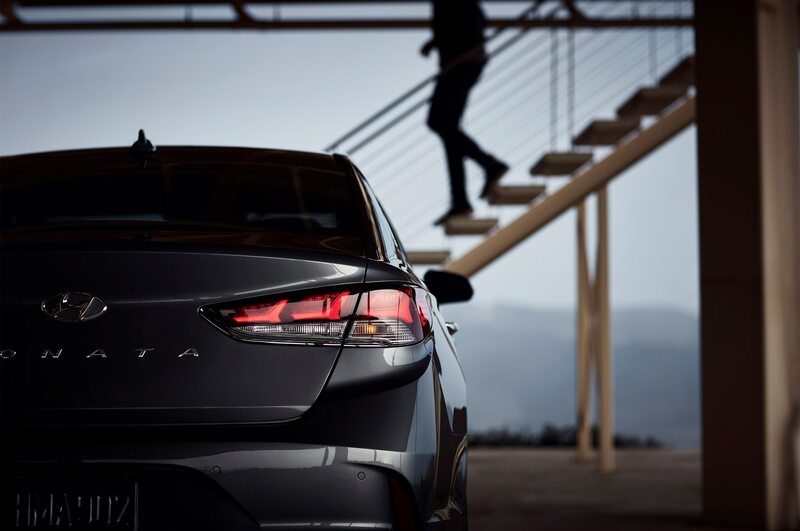 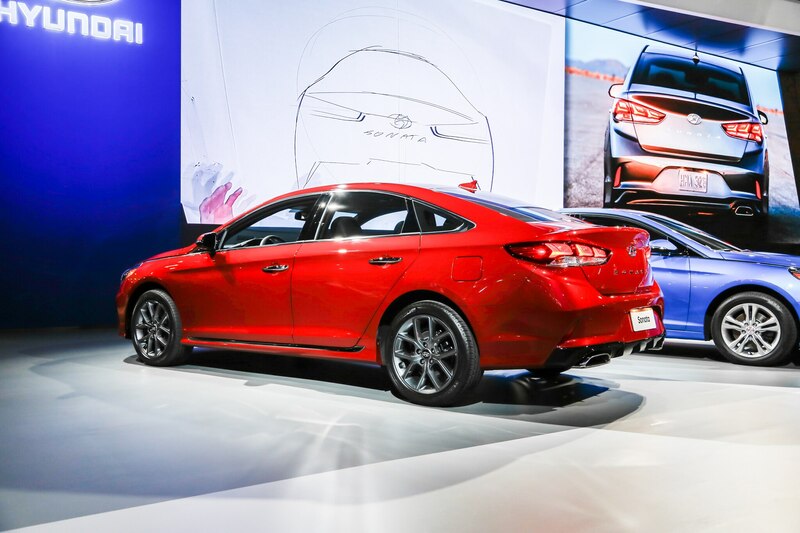 It definitely looks more like a Genesis than a Kia, which is a good thing. 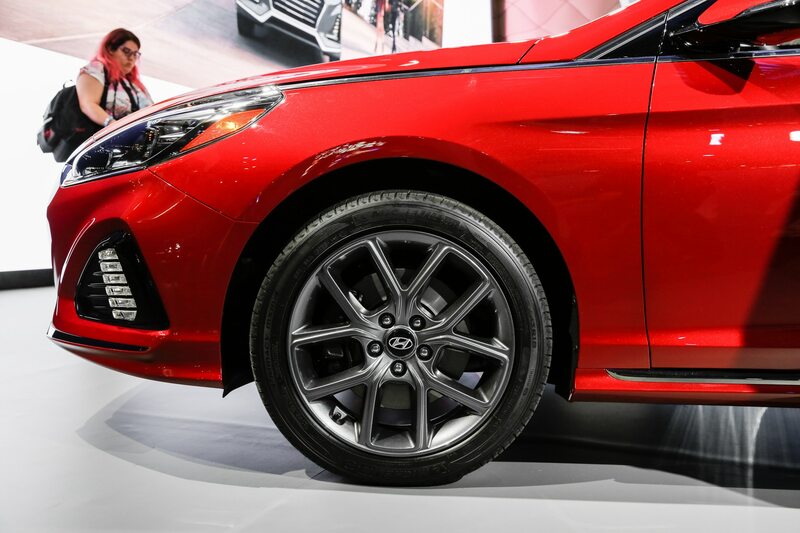 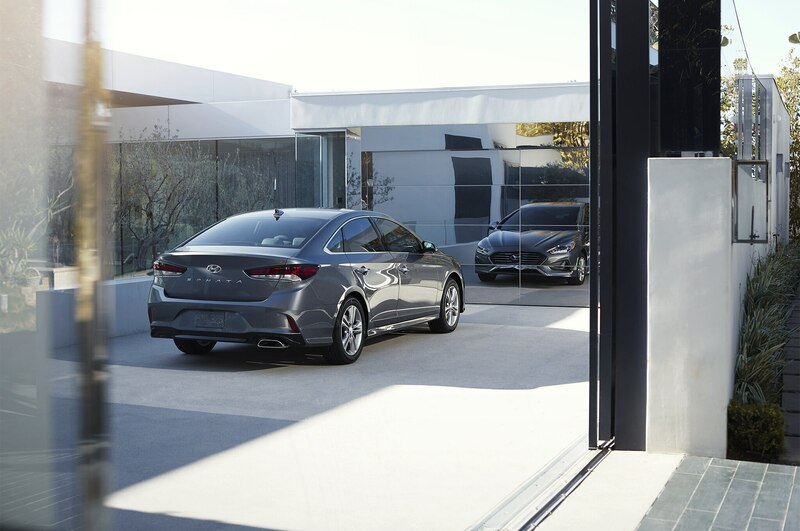 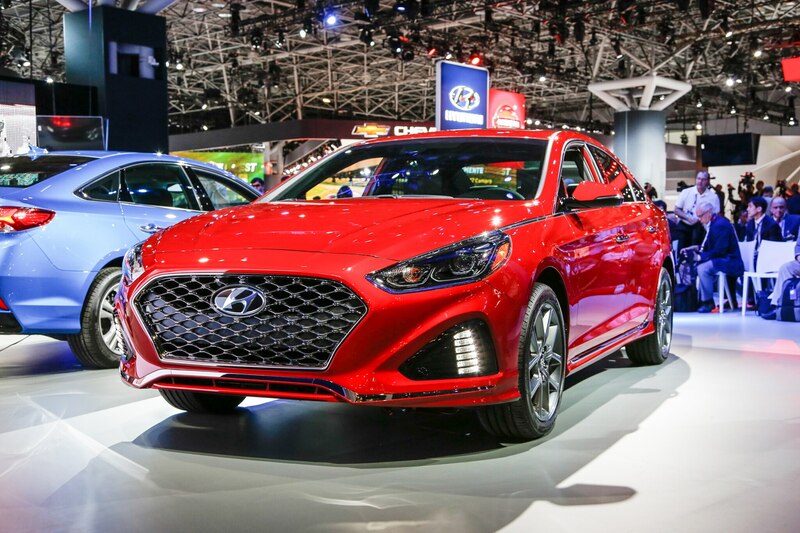 The 2018 Sonata was cribbed at Hyundai’s California Design Studio and made its U.S. bow at the New York auto show. 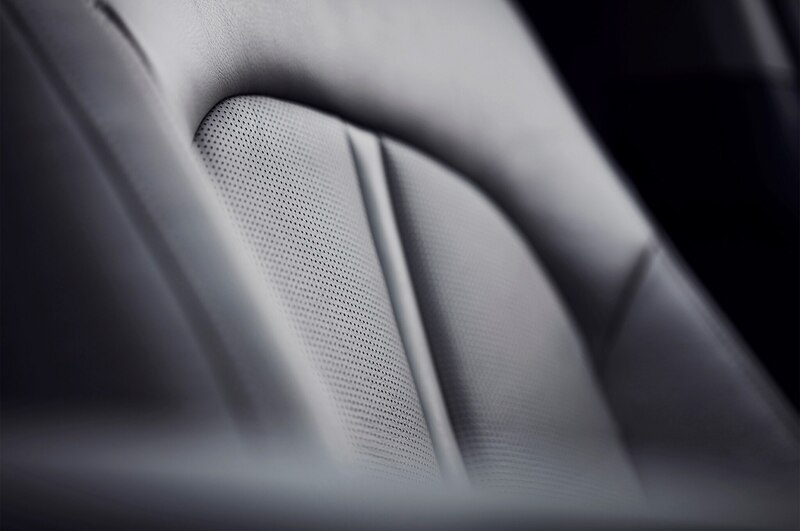 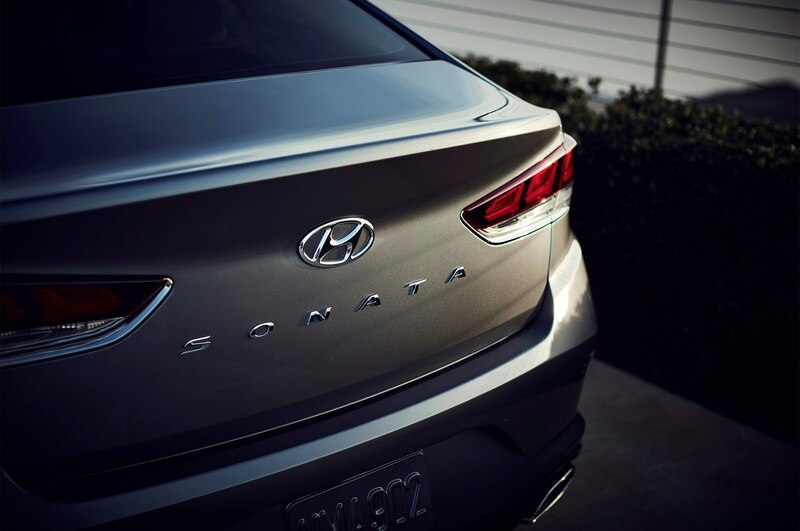 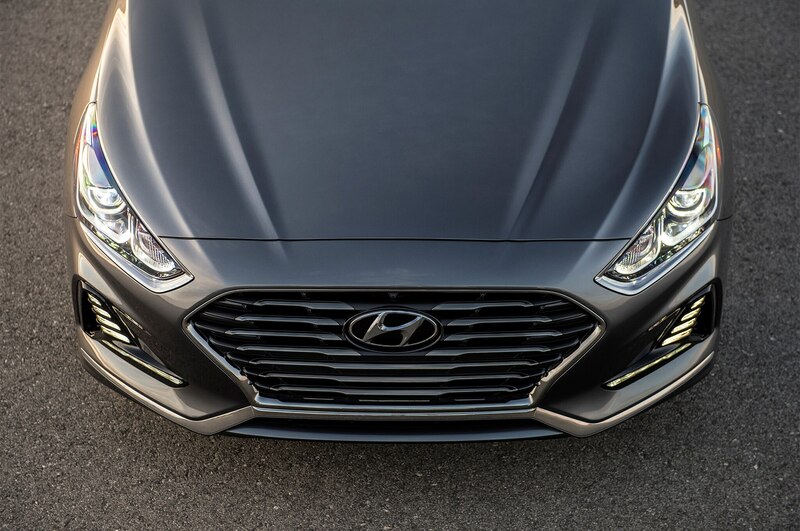 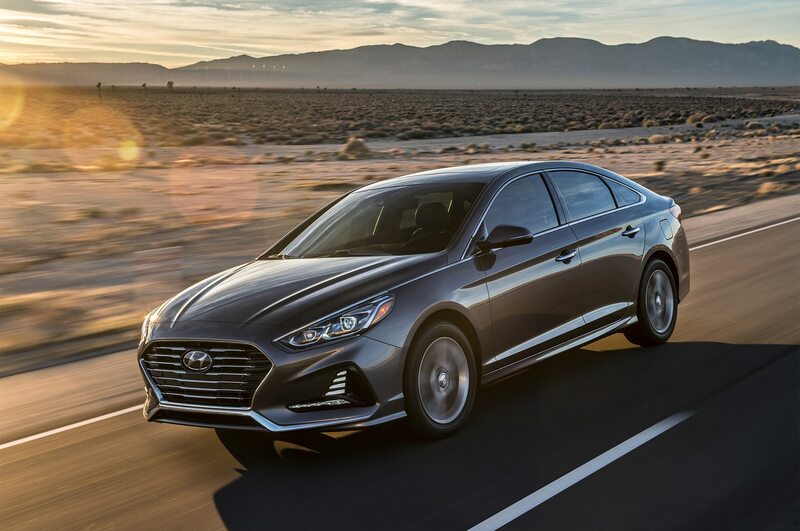 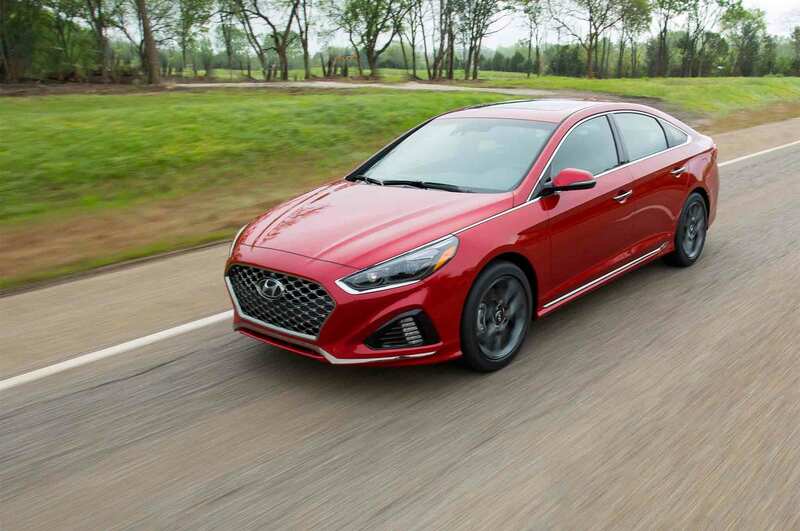 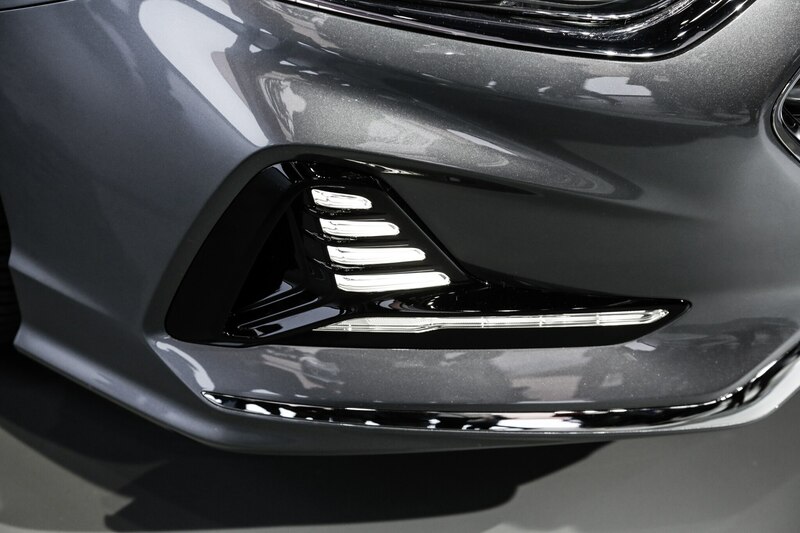 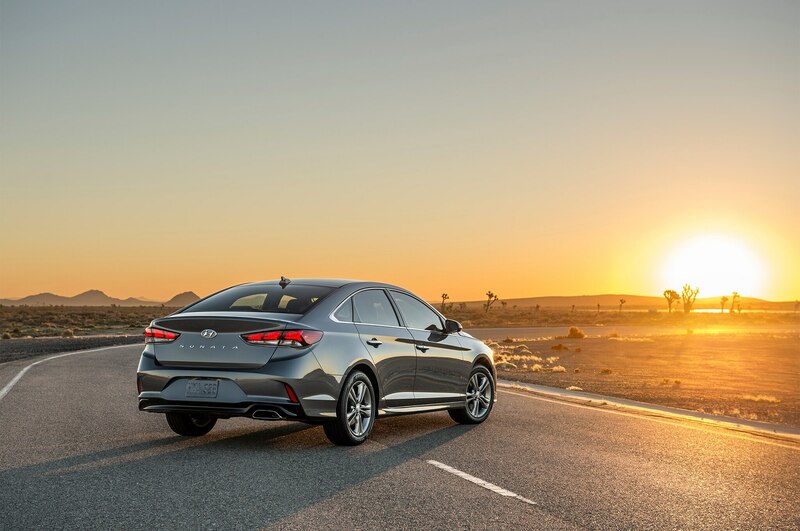 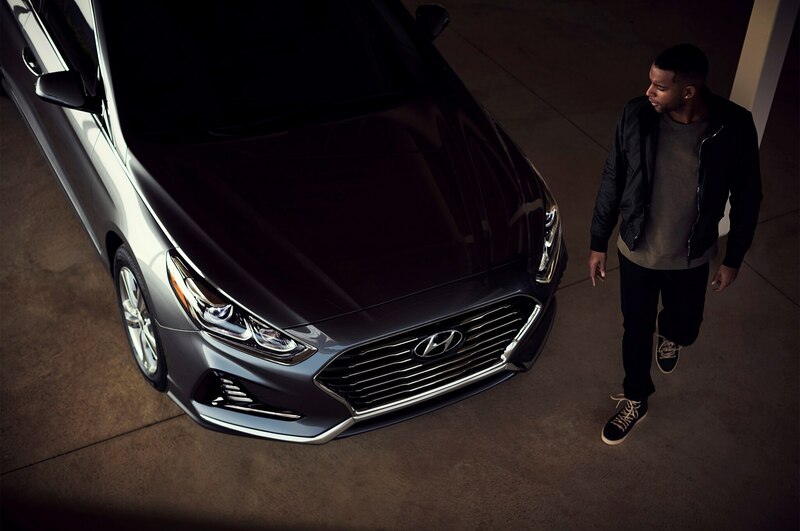 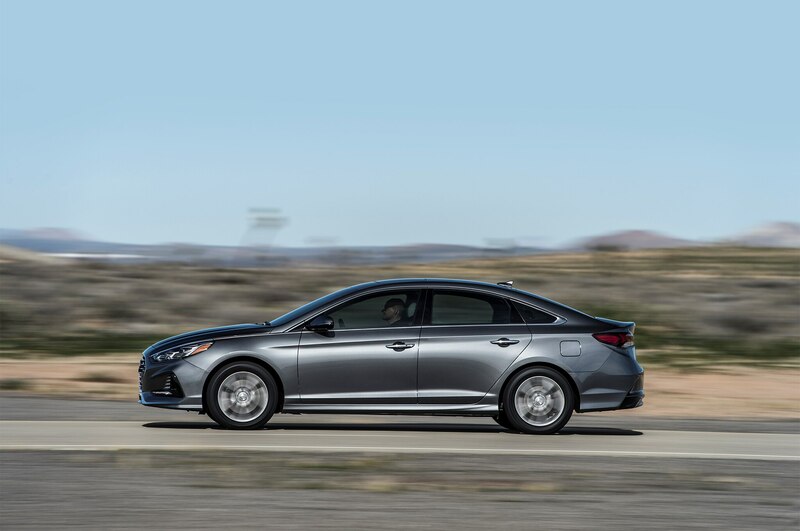 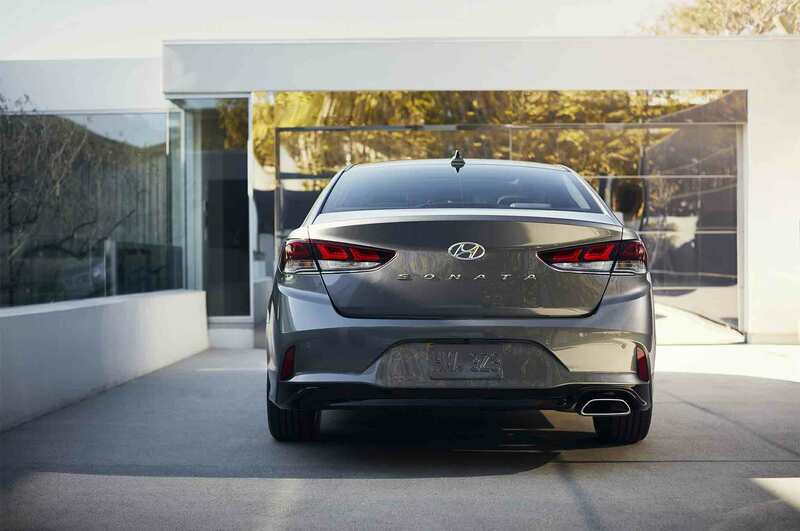 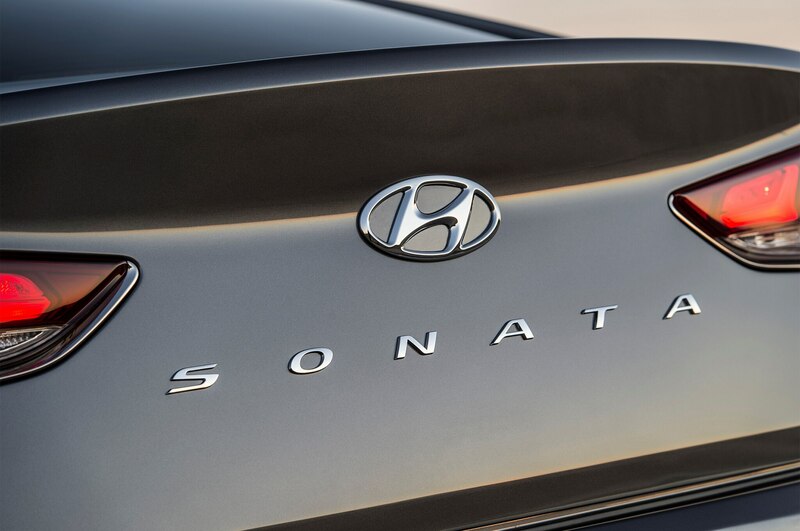 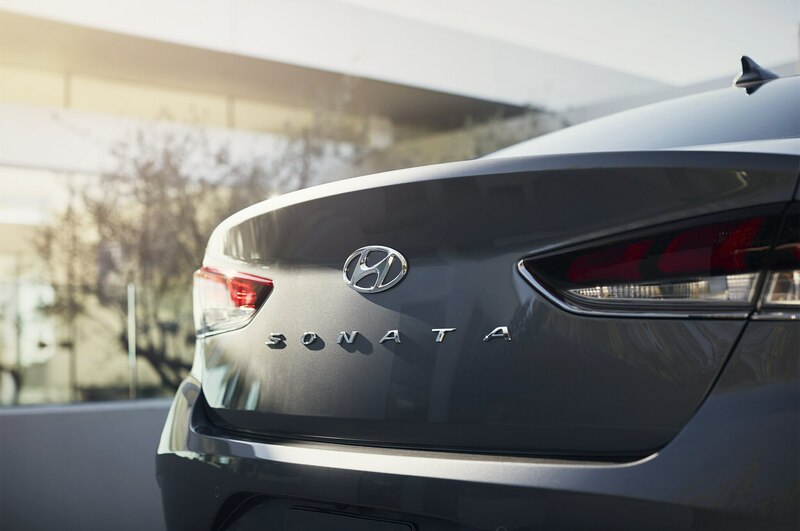 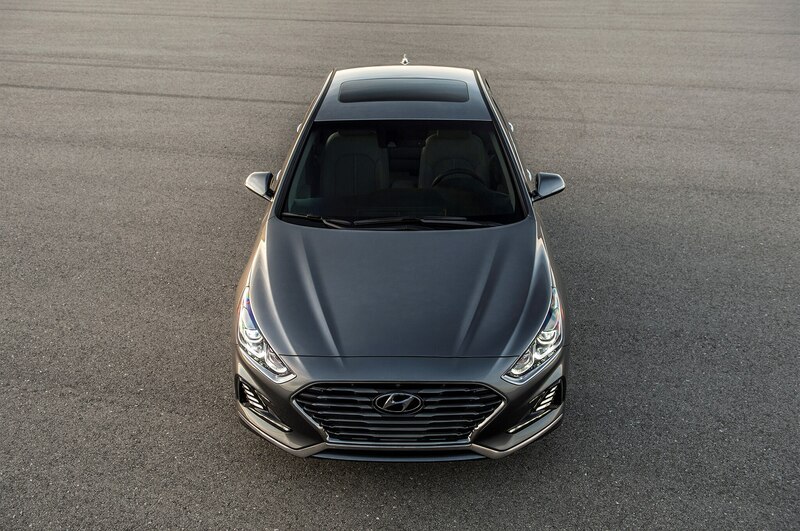 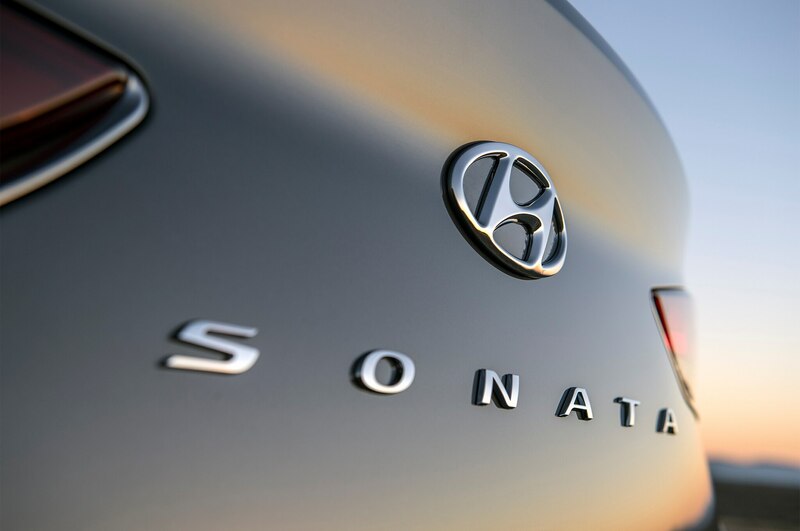 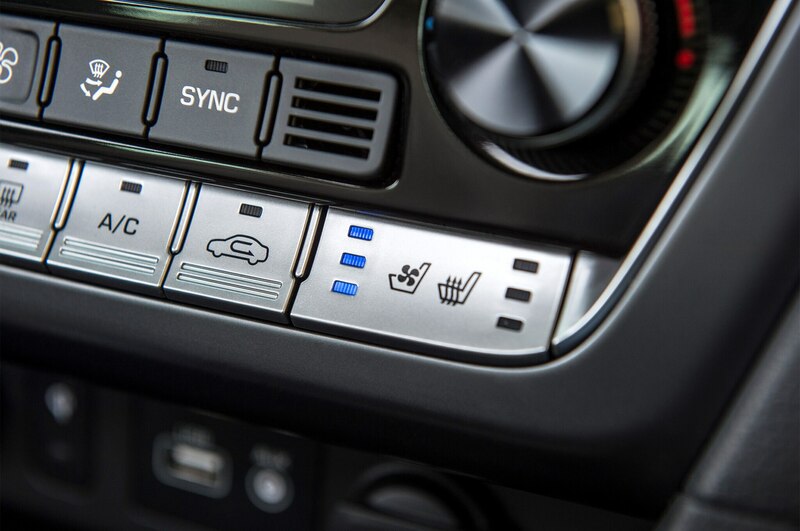 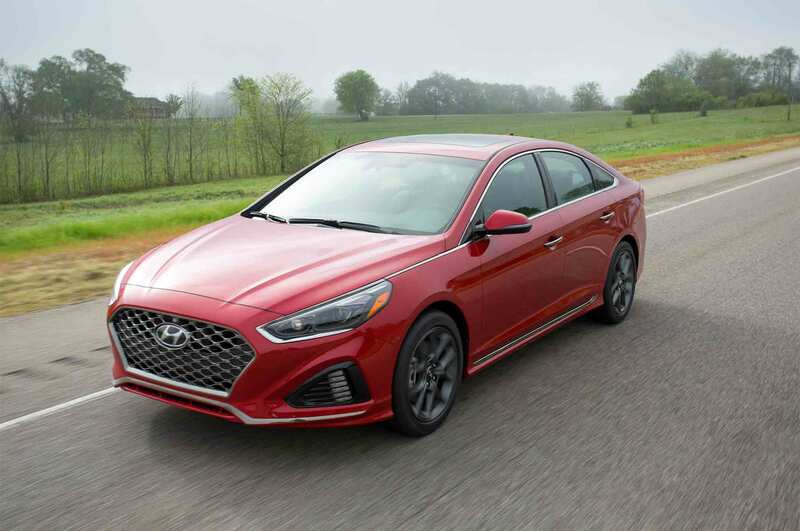 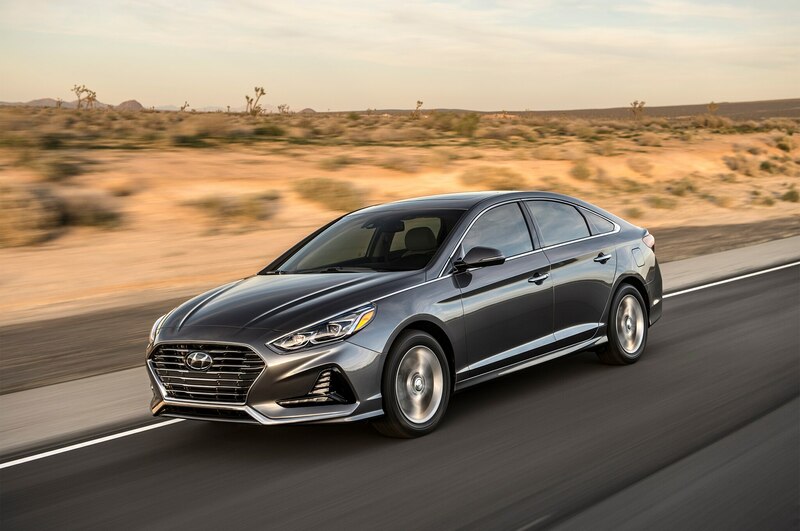 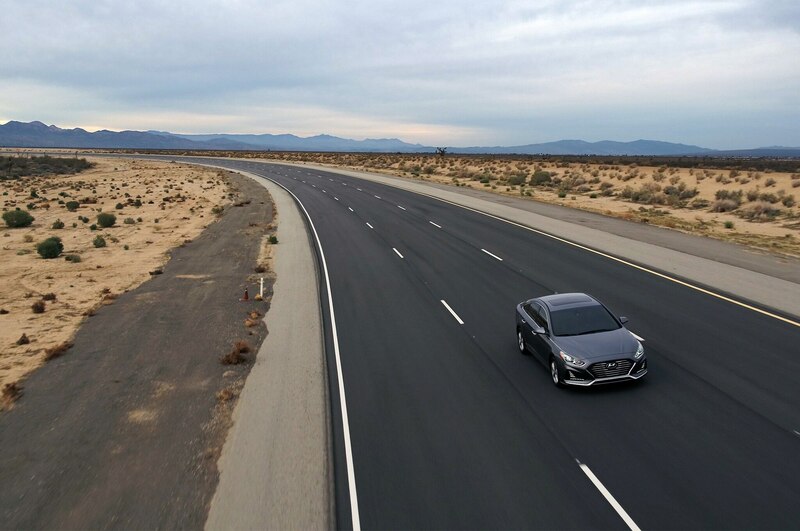 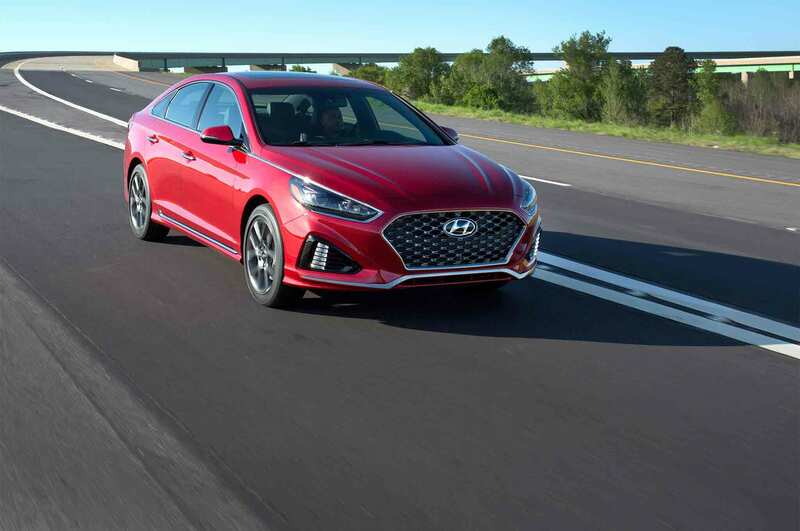 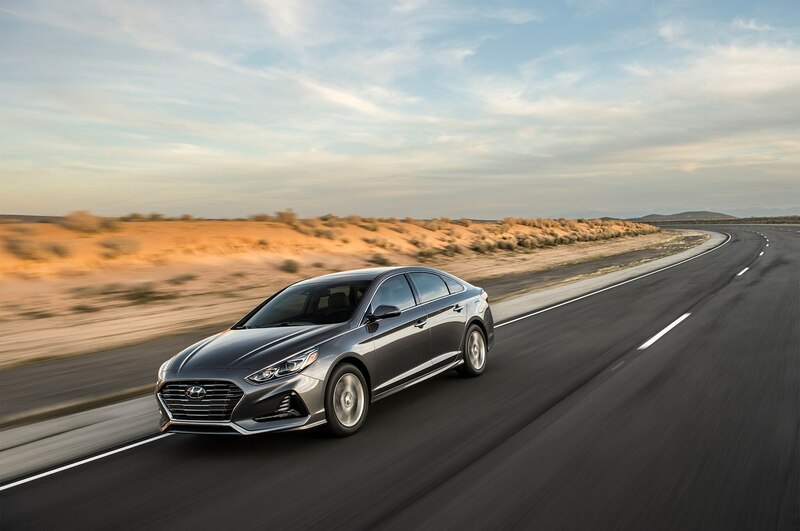 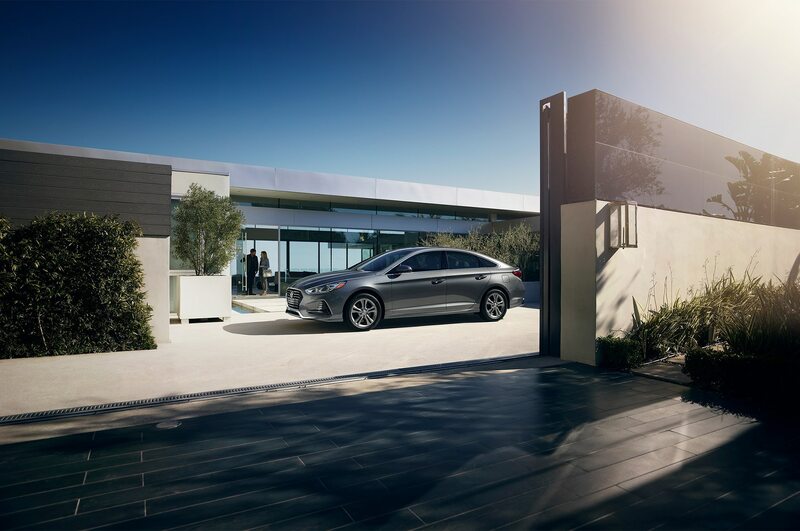 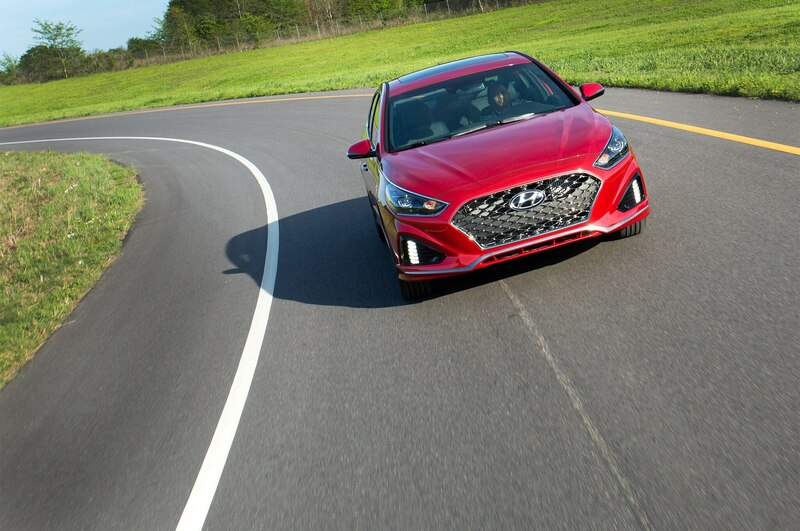 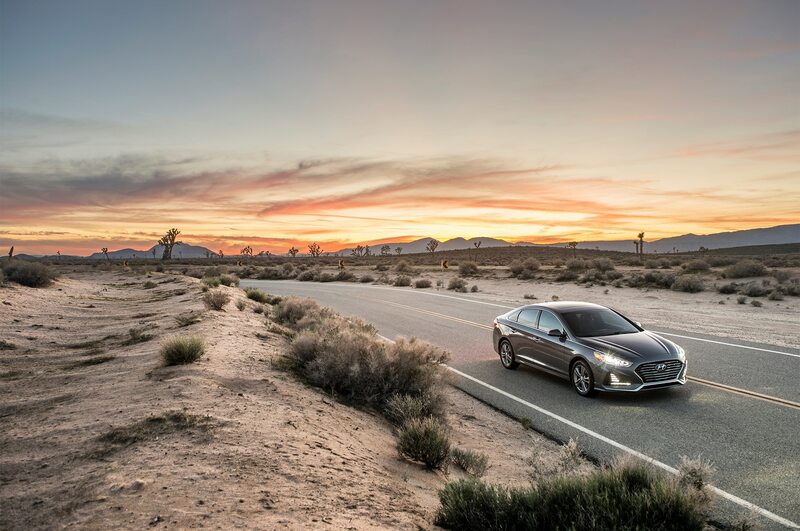 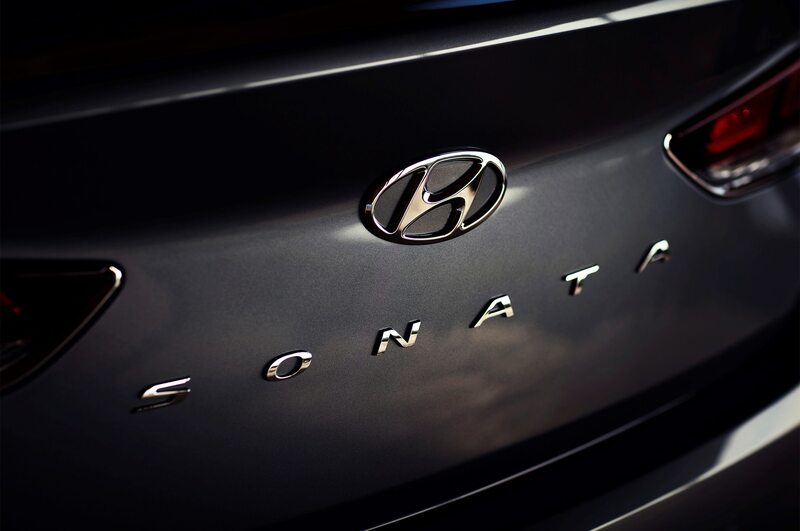 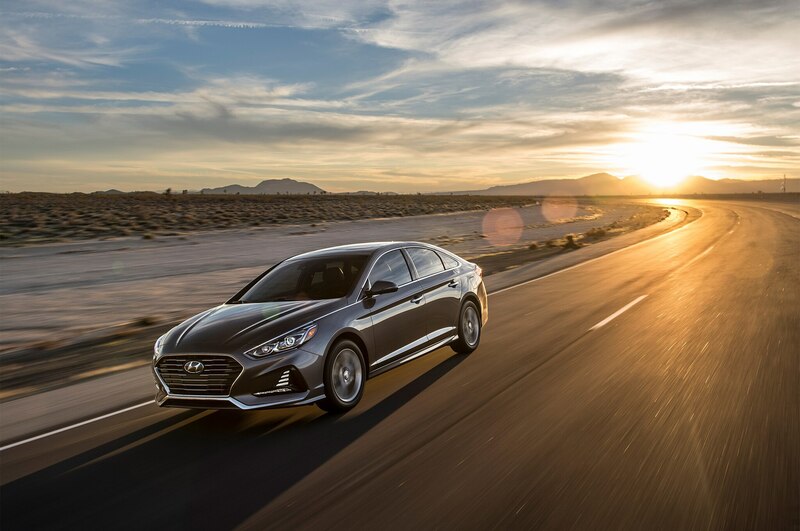 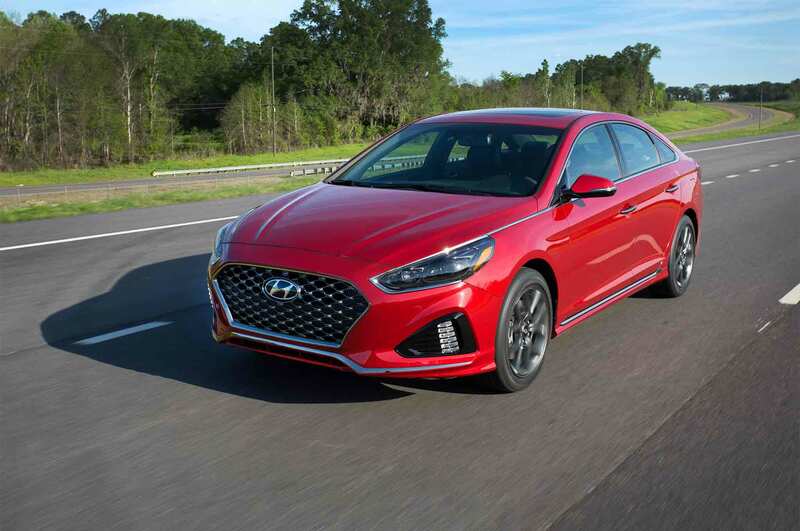 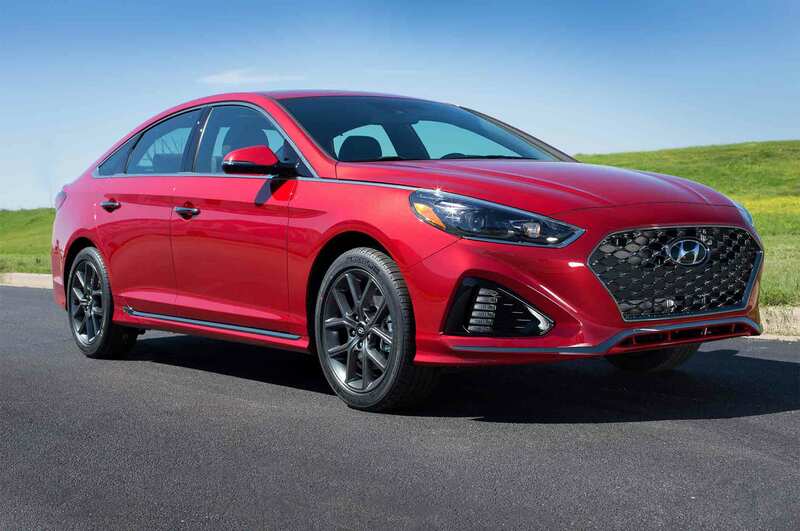 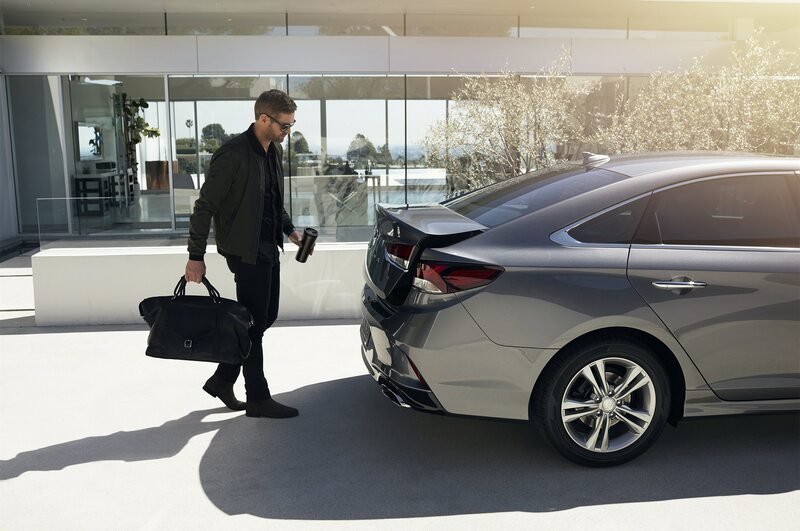 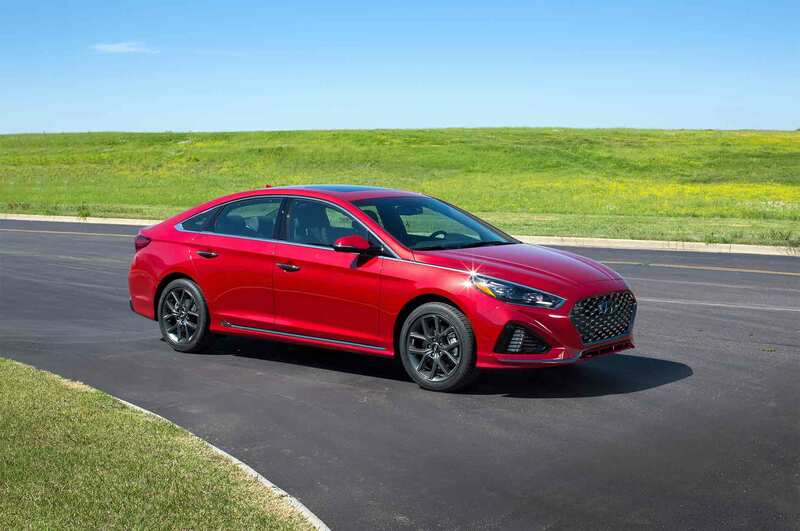 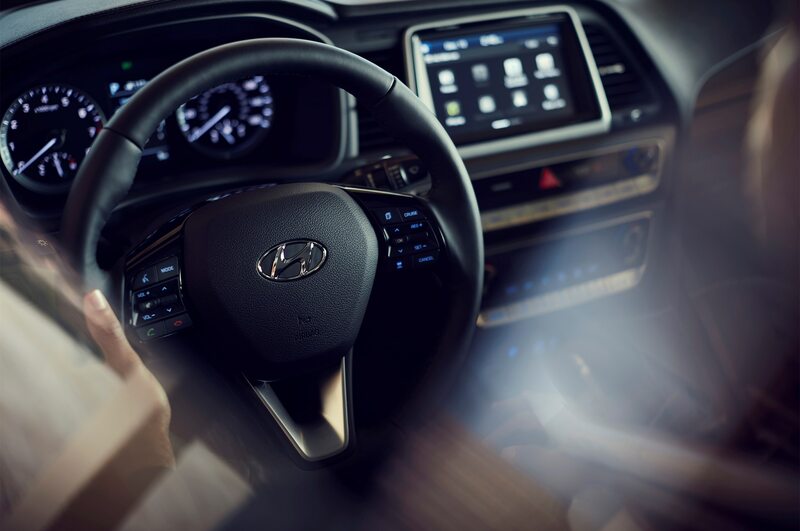 “The moment the pen left the drafting paper I knew we had something special in this re-imagined Sonata,” said Chris Chapman, Hyundai chief designer in a statement. 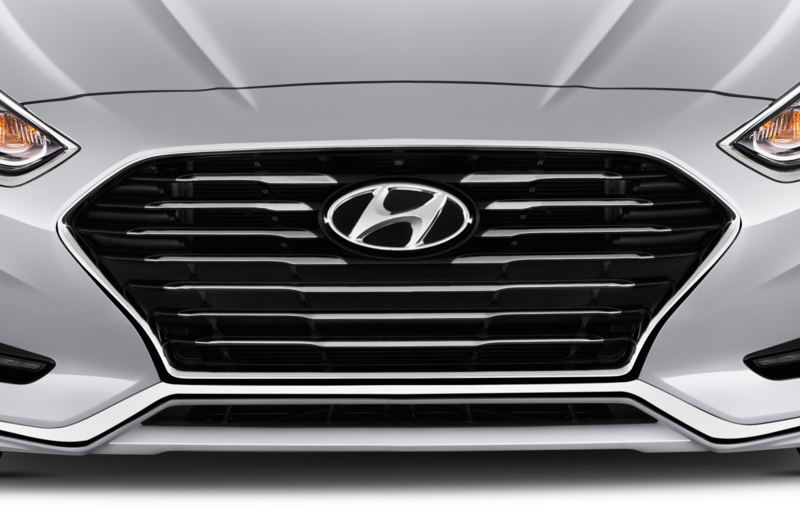 It certainly looks like Hyundai succeeded in that department. 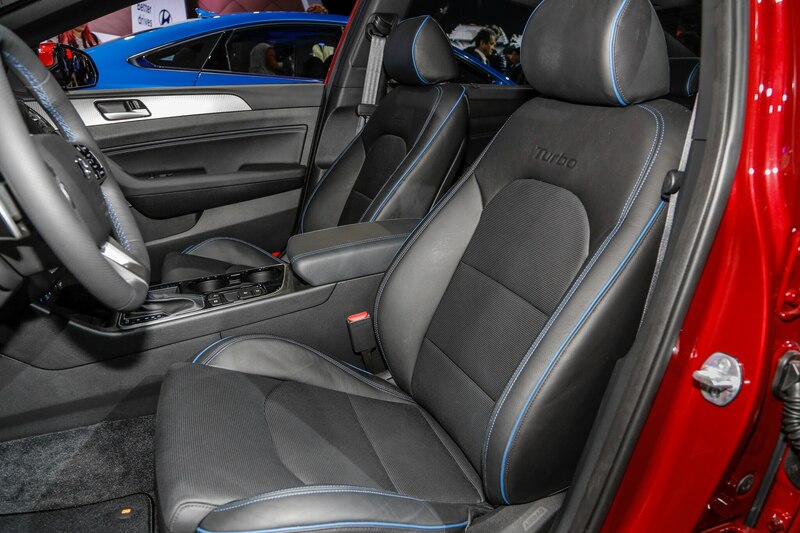 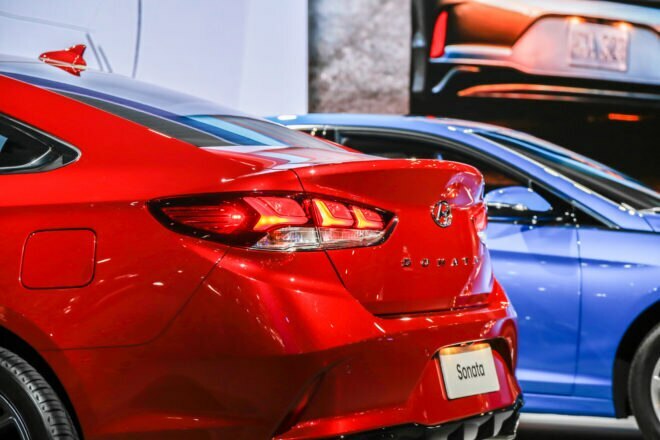 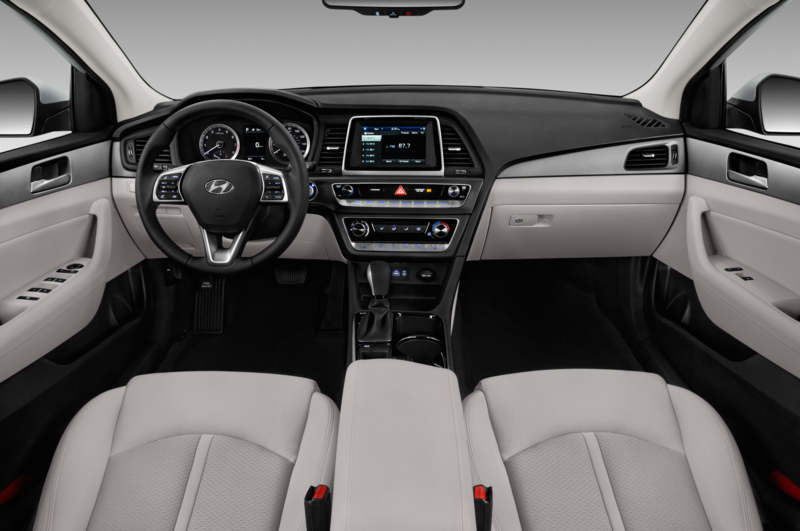 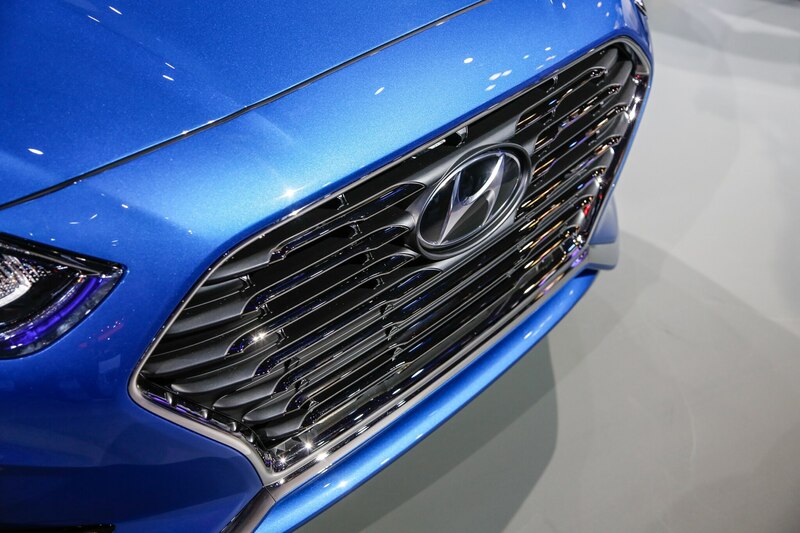 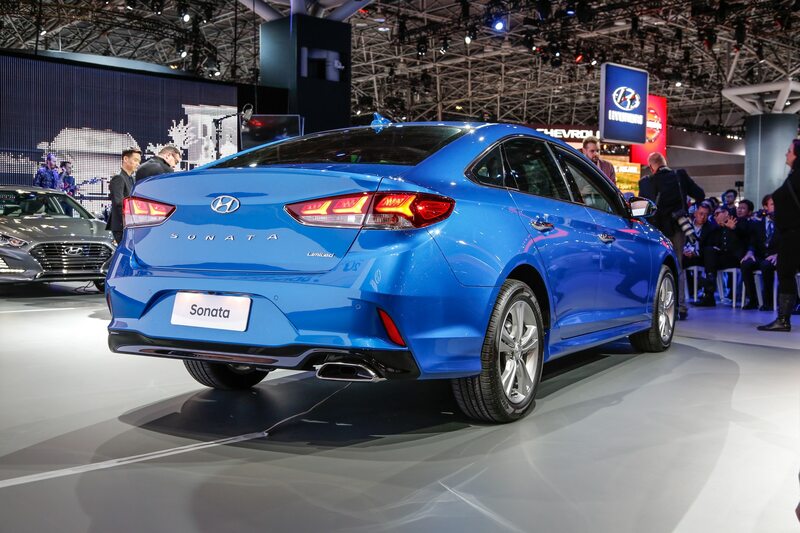 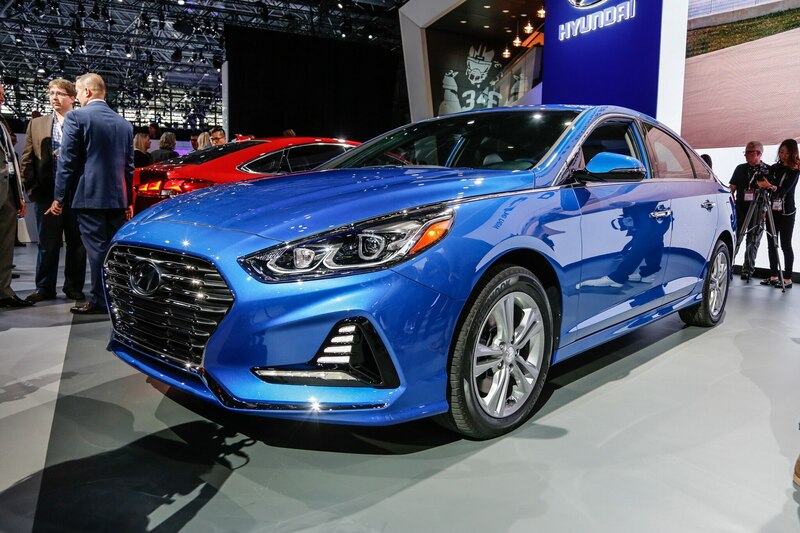 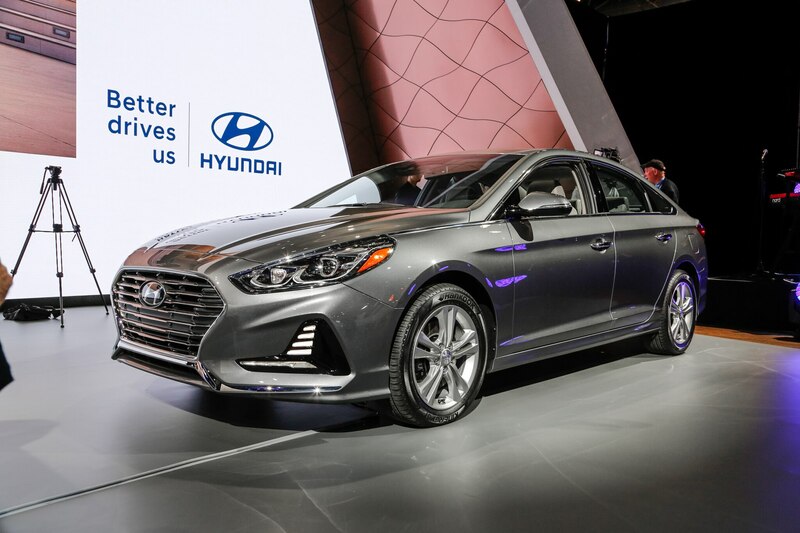 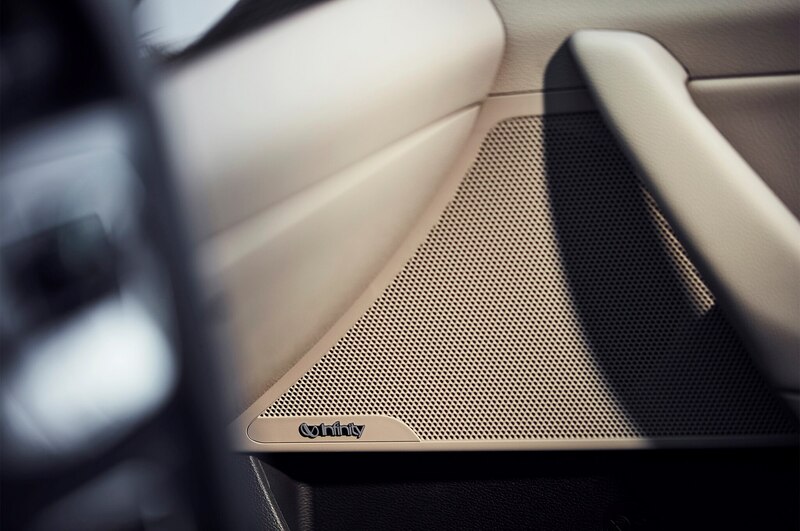 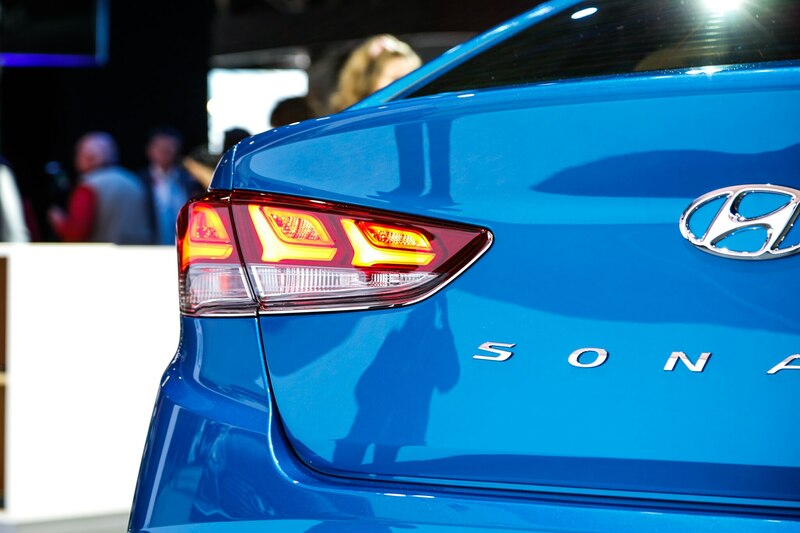 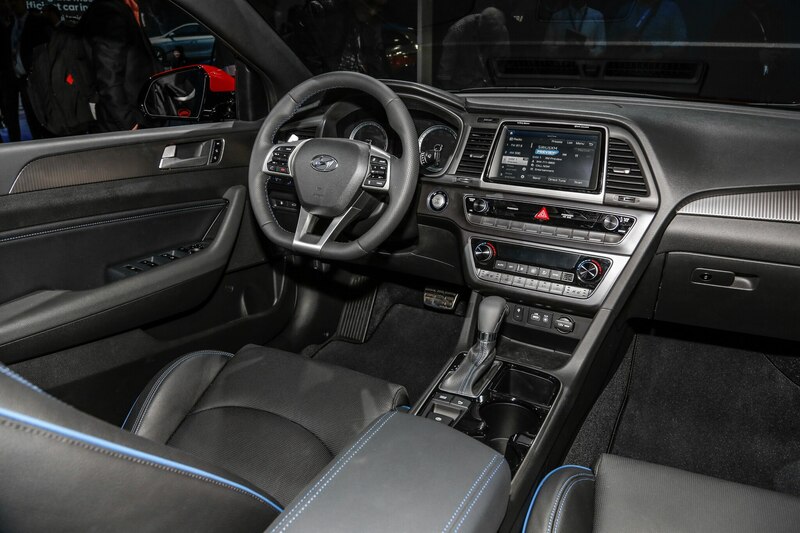 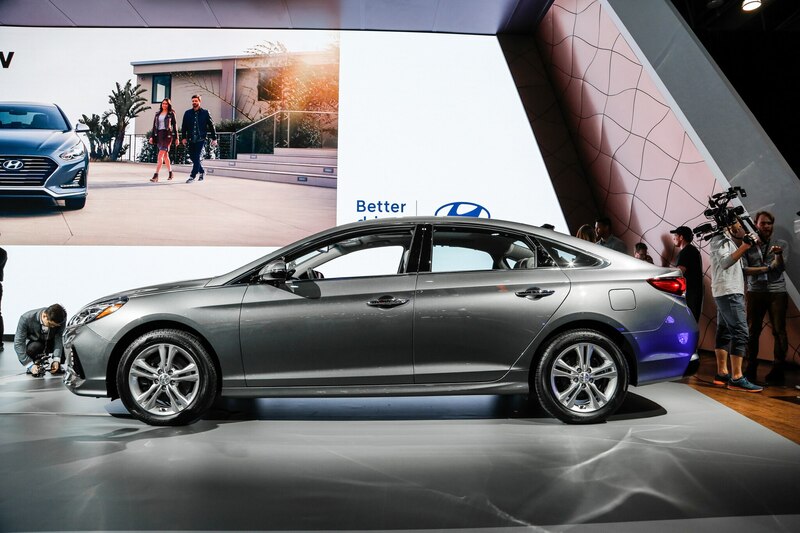 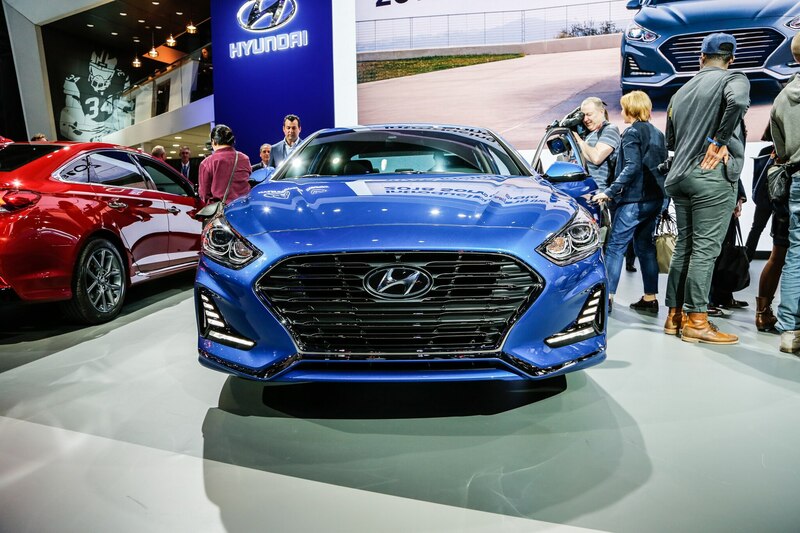 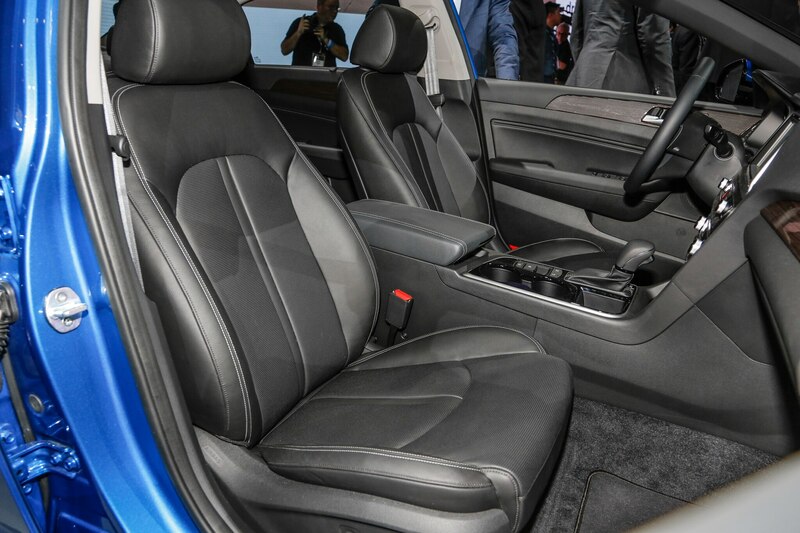 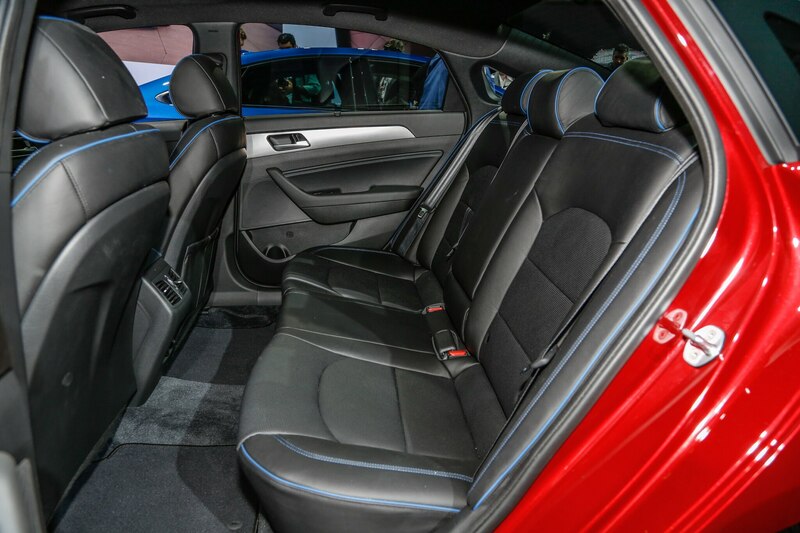 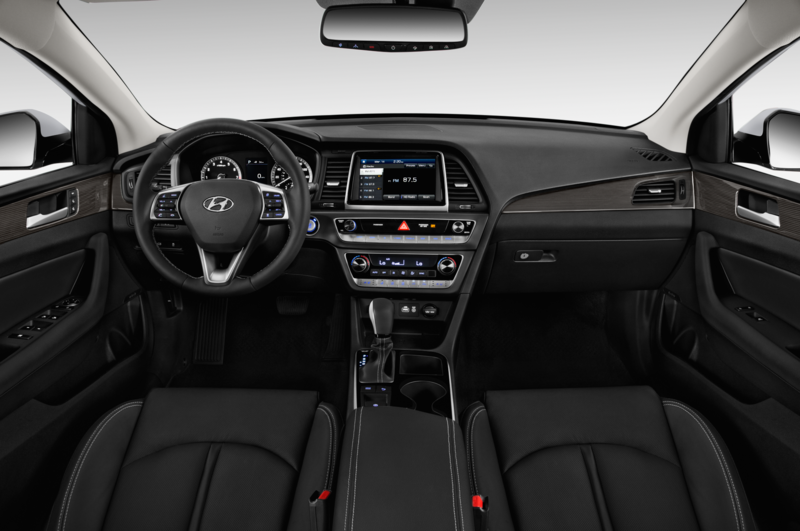 Hyundai proudly showed off the seventh-generation Sonata to the normally jaded Javits Center crowds in NYC. 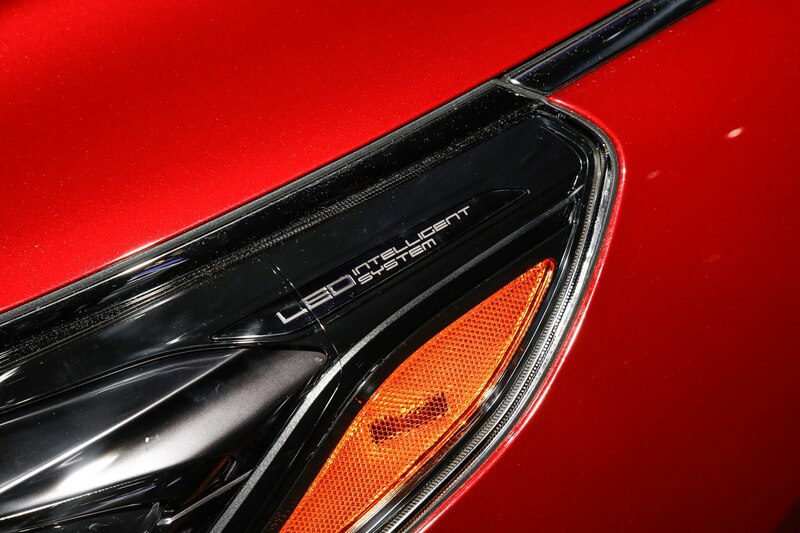 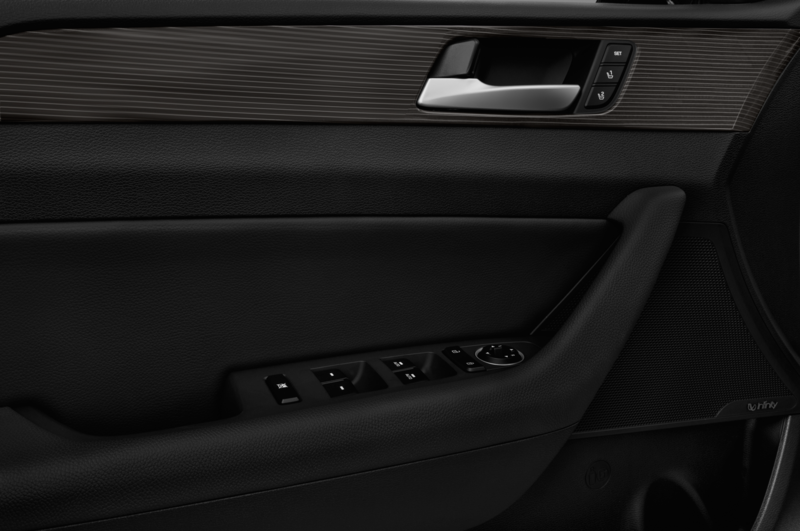 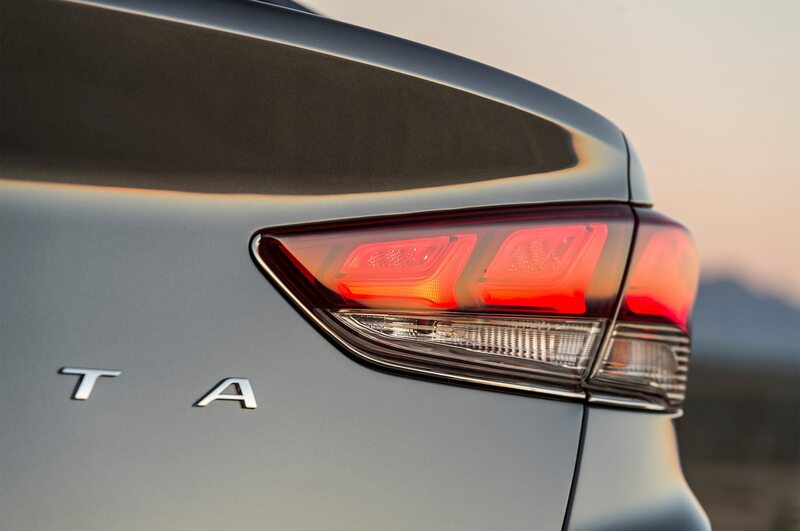 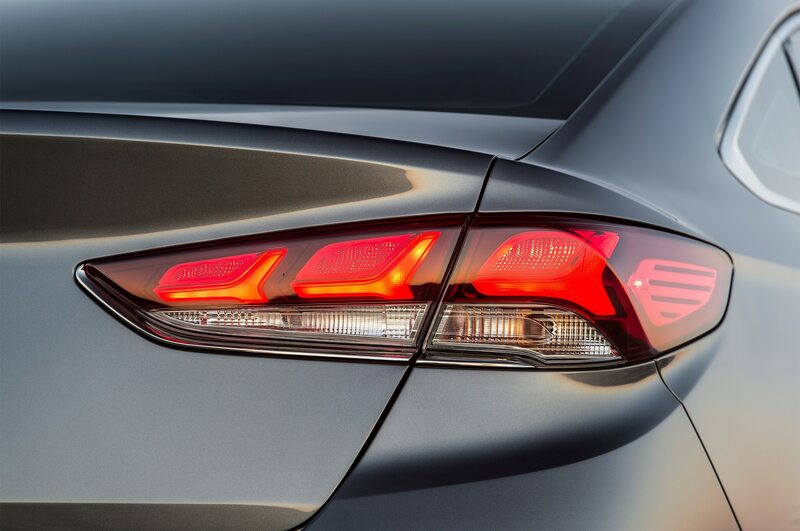 Aside from the new LED headlamps that produce a bending light to illuminate road, the rear deck gets a bigger logo badge that conceals the trunk release button — very clever Hyundai. 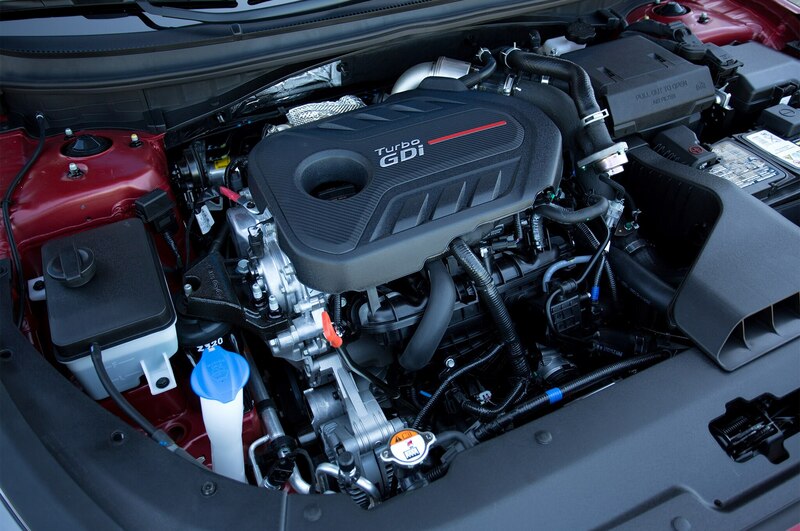 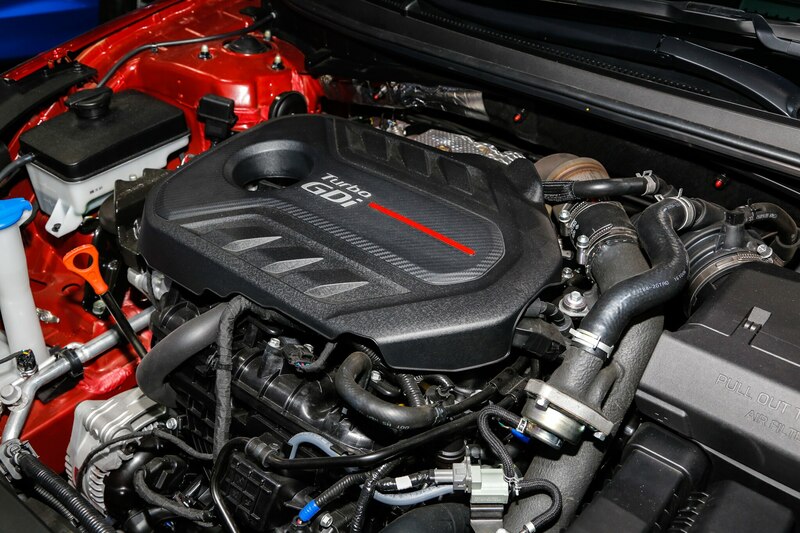 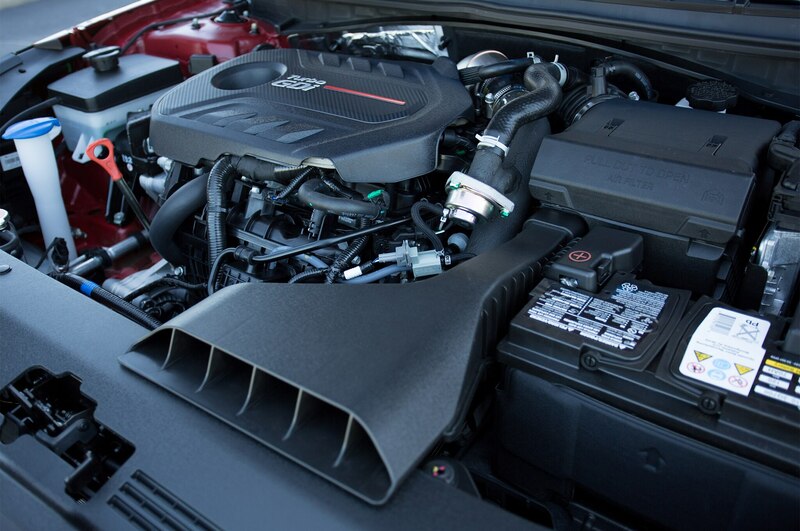 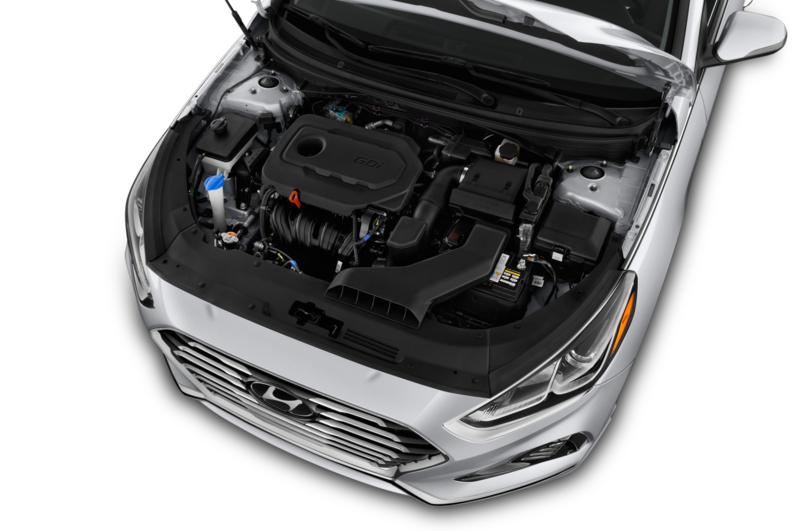 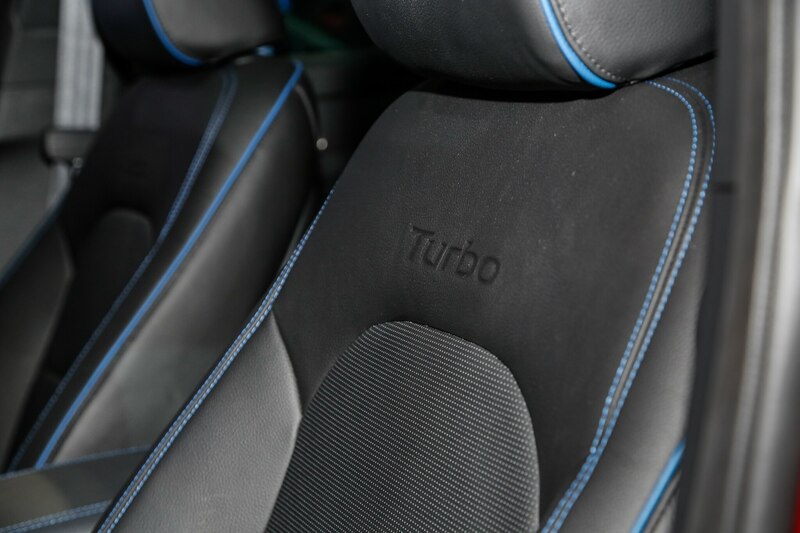 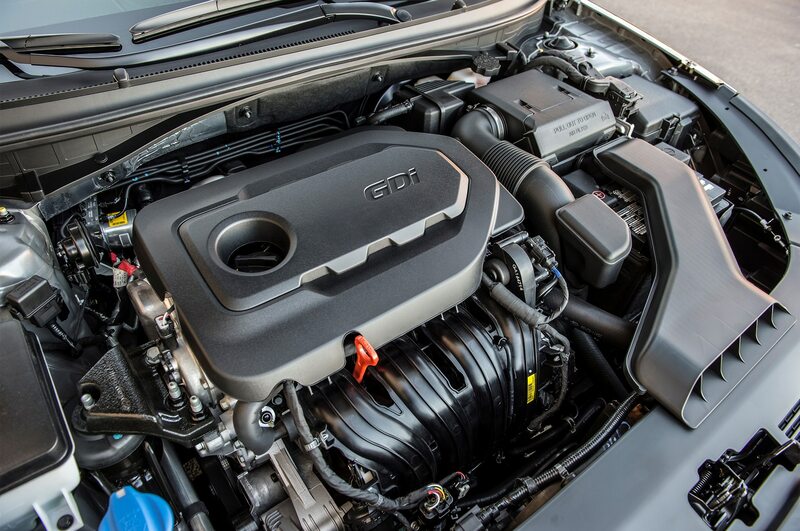 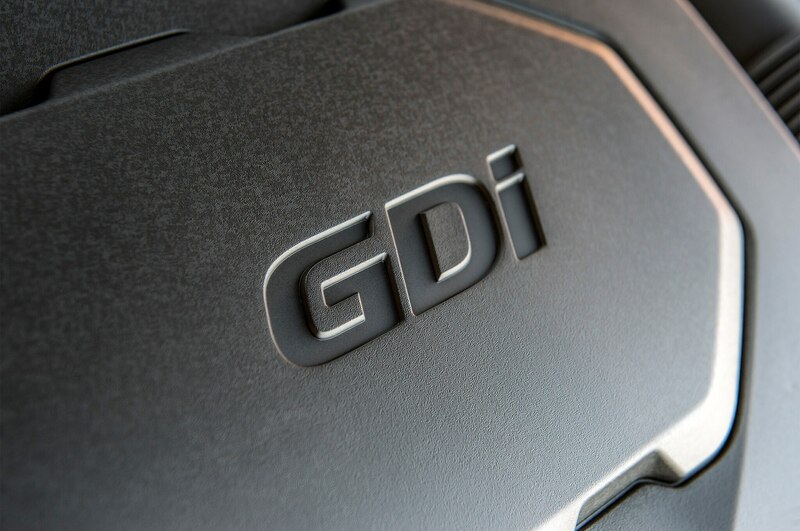 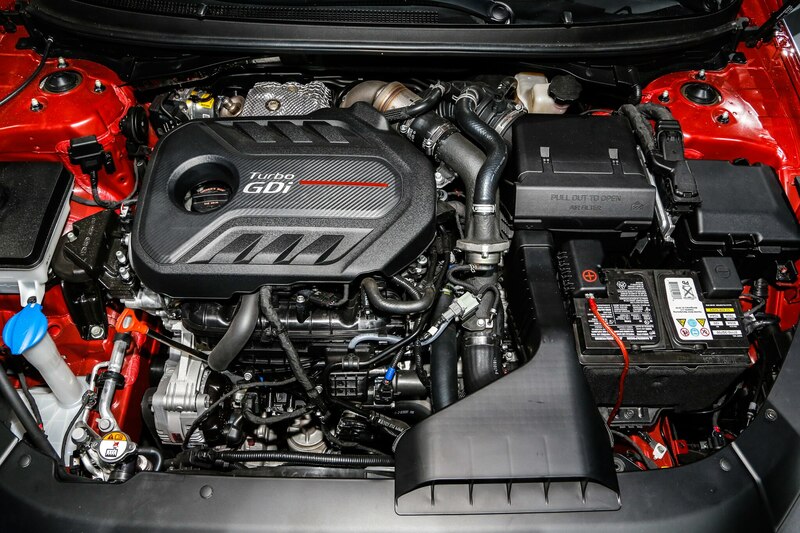 Under the hood, power remains the same and the turbocharged 2.0-liter four-cylinder engine offers 245 horsepower. 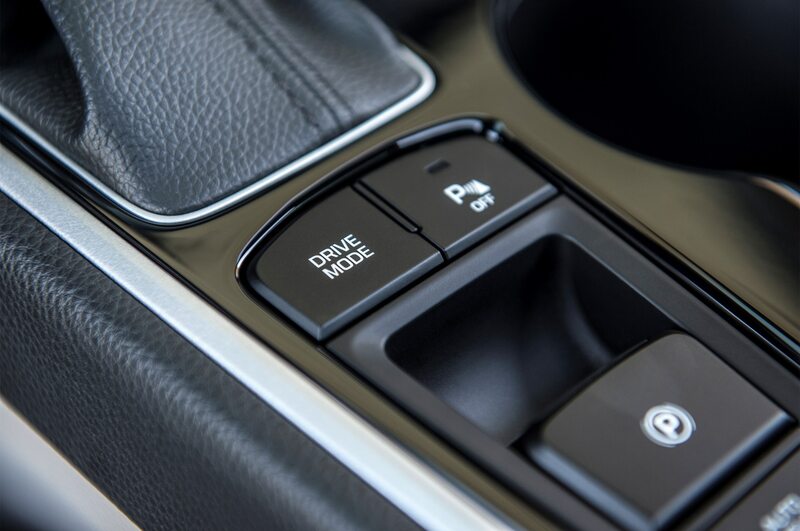 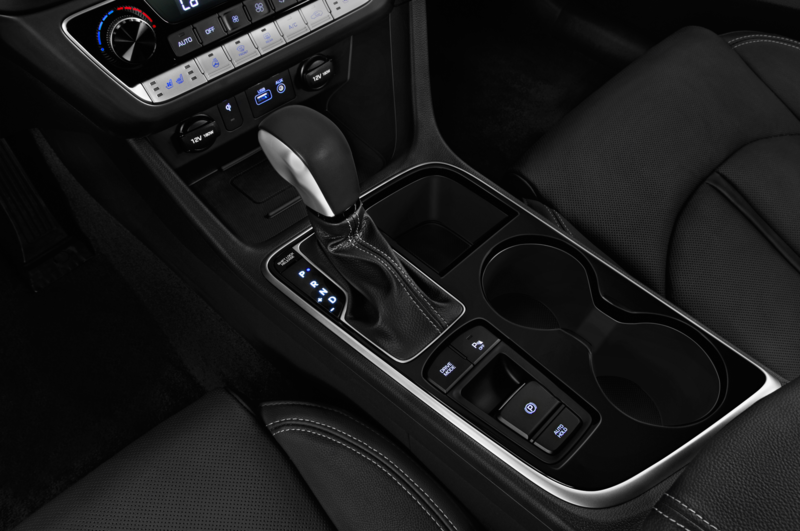 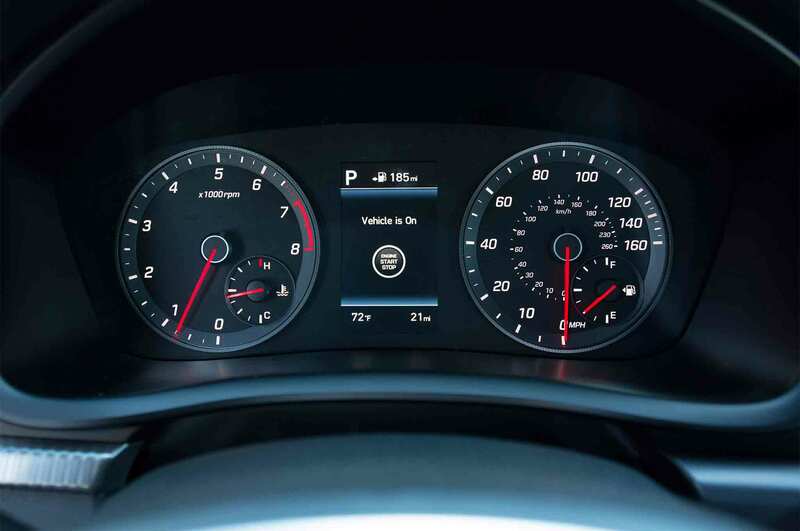 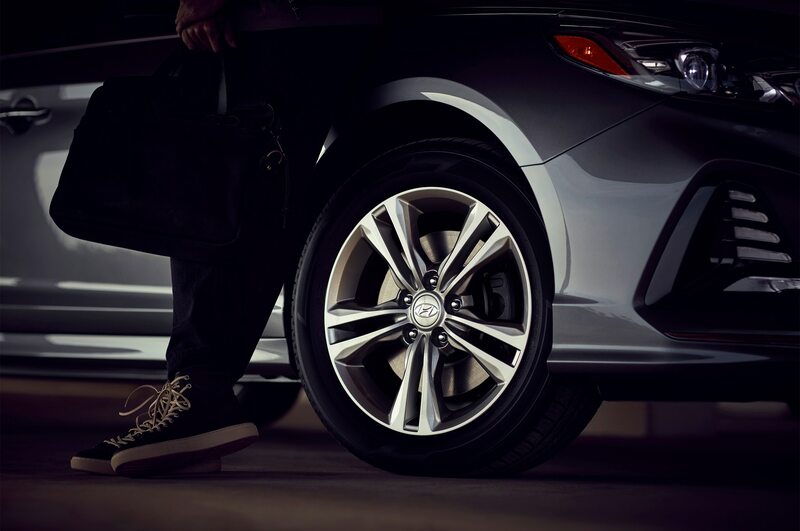 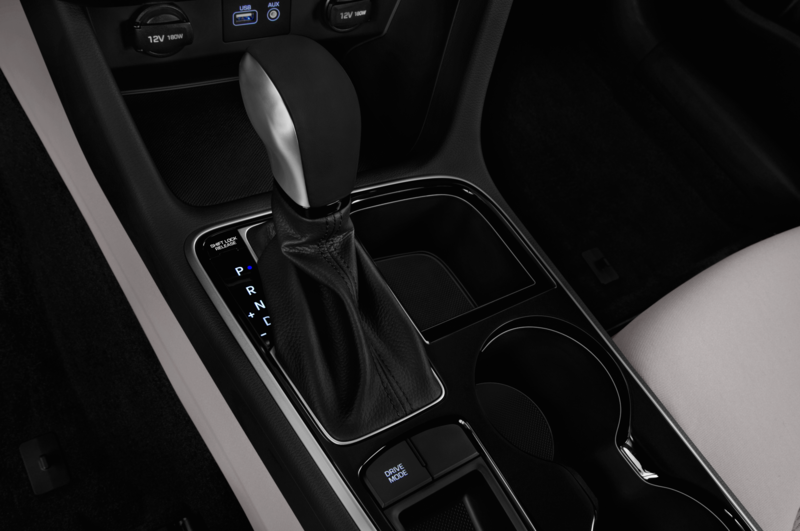 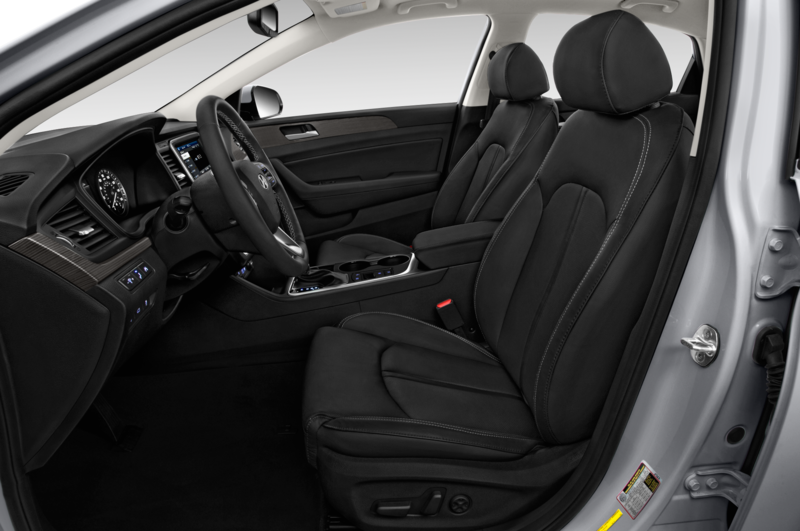 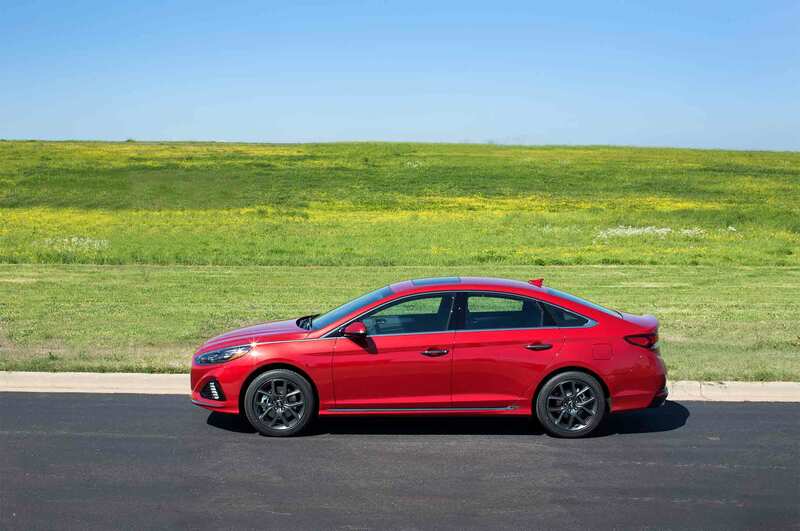 The engine is paired with a new eight-speed automatic transmission that replaces the six-speed version. 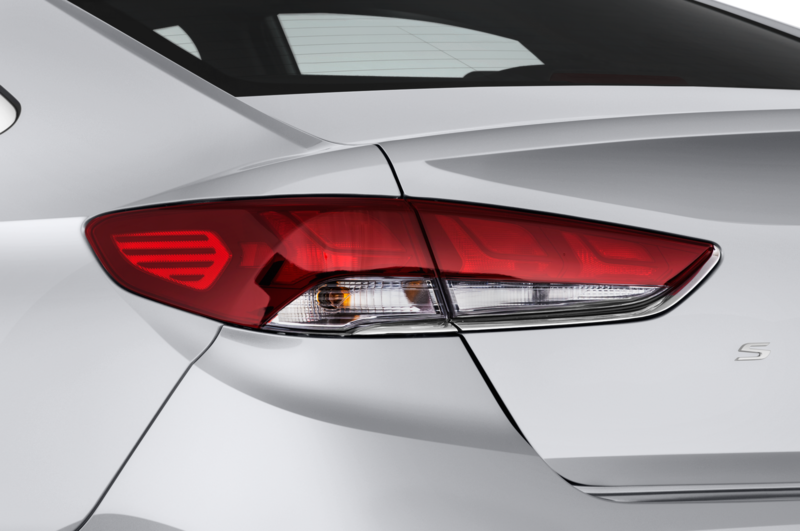 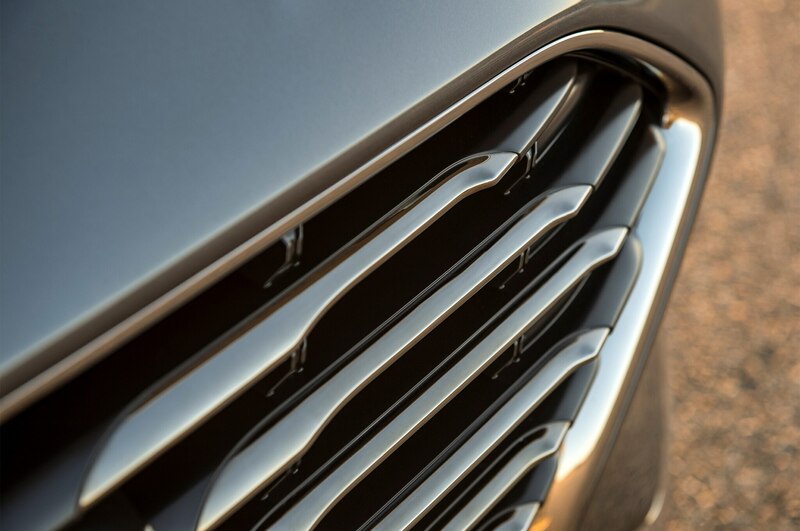 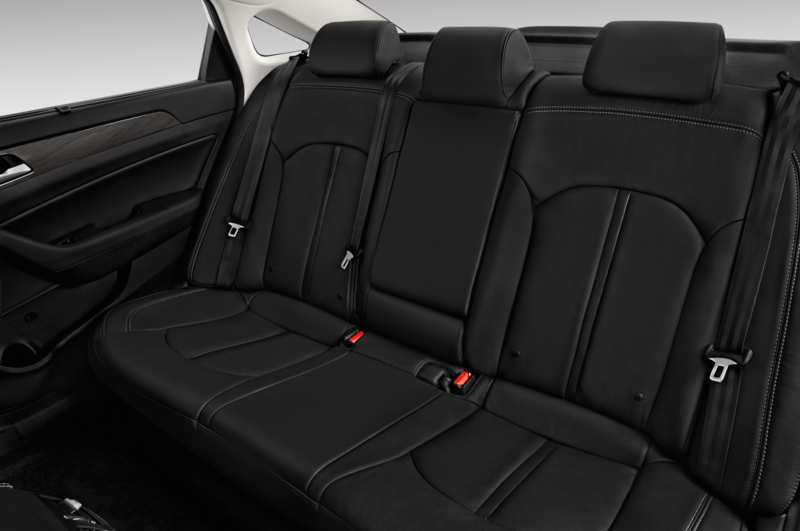 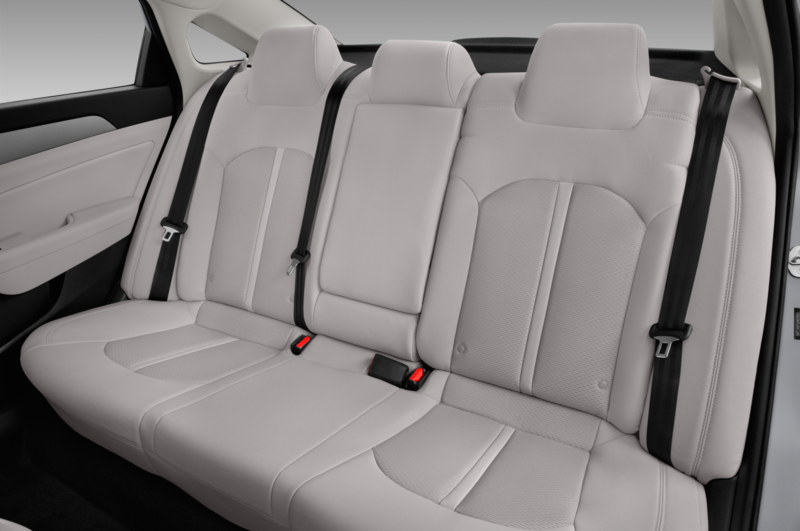 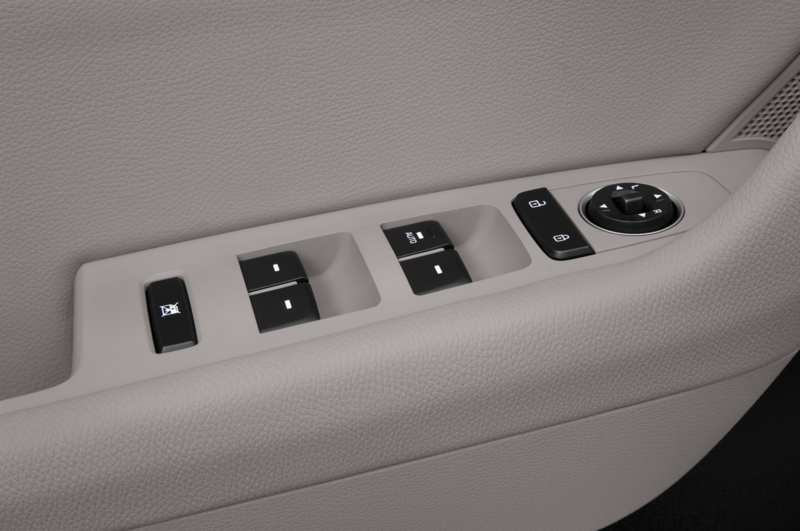 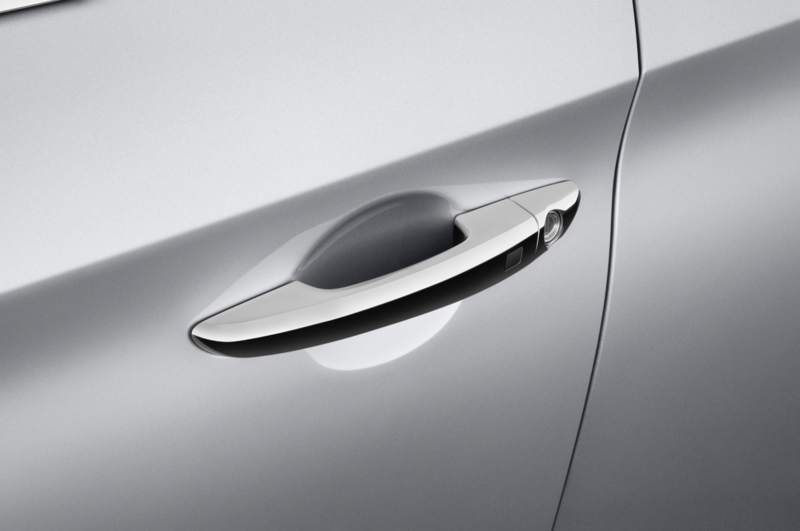 Under the skin, the revised sedan gets a refined chassis too. 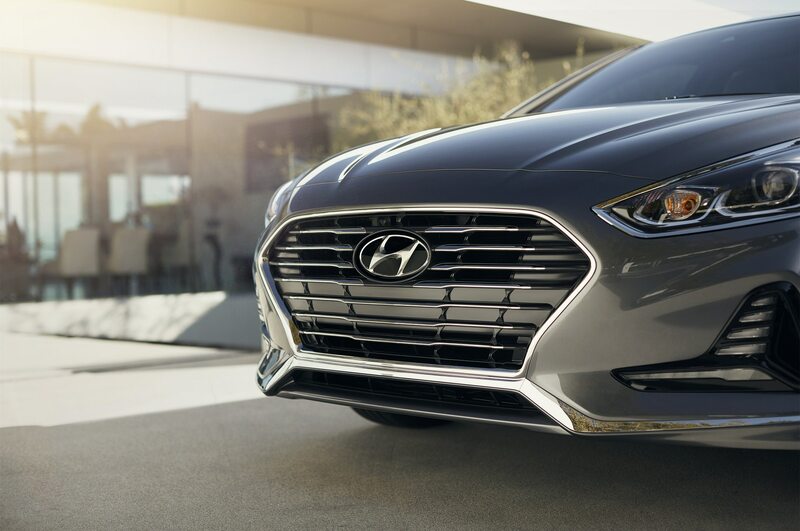 Hyundai says engineers increased the torsion bar stiffness within the steering system by 12 percent. 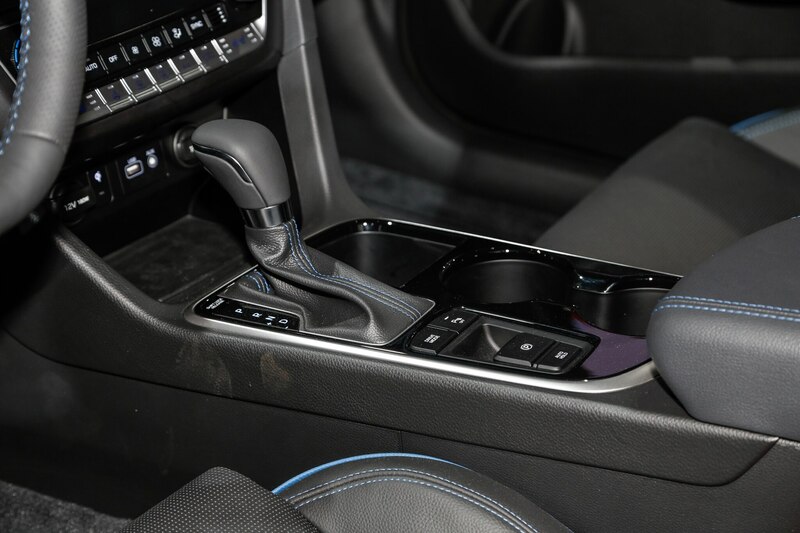 That should definitely improve steering response, feel, and play. 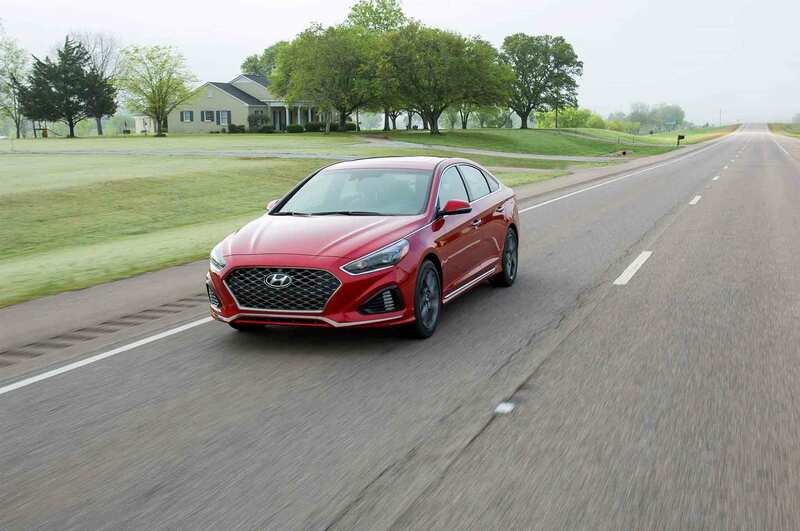 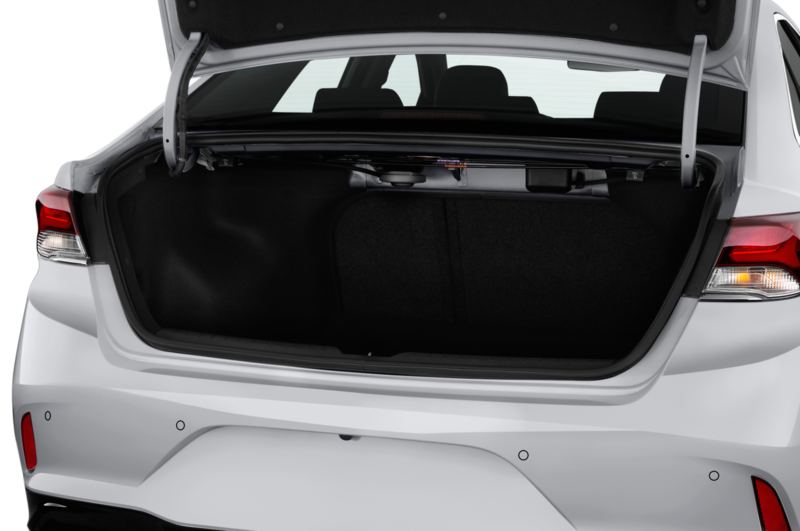 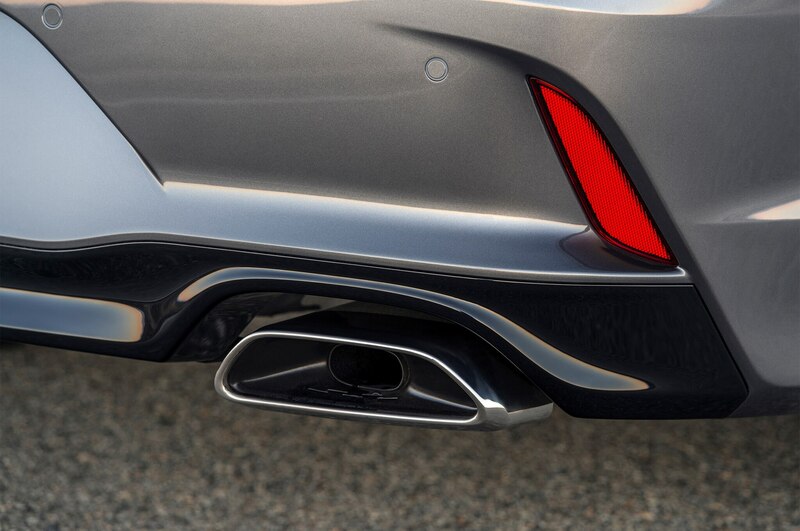 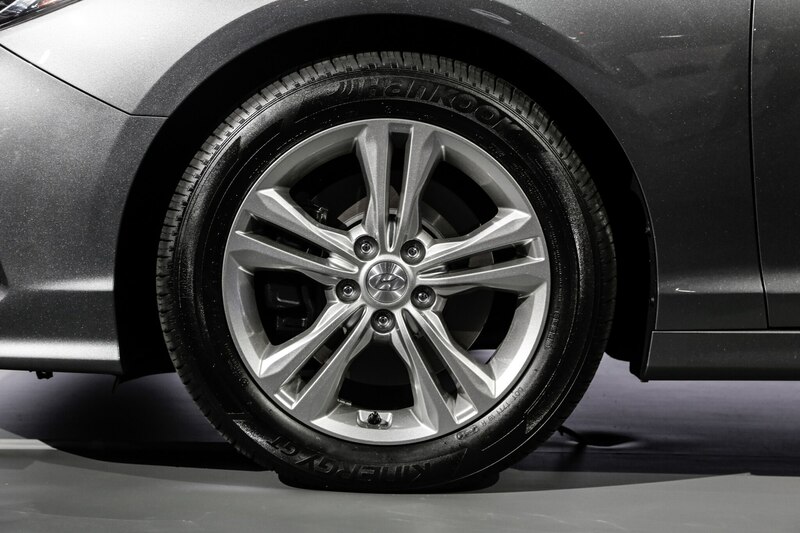 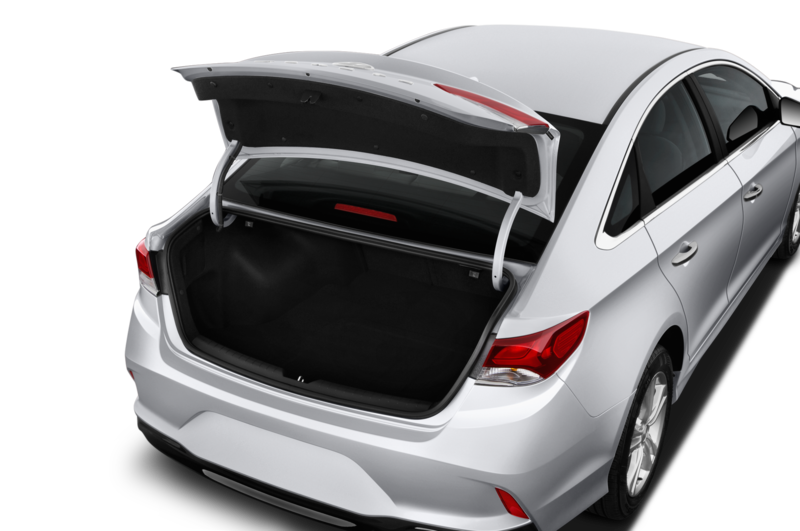 The rear suspension also received an upgrade and Hyundai claims the trailing arms are now 21 percent thicker to help with heavy suspension loads. 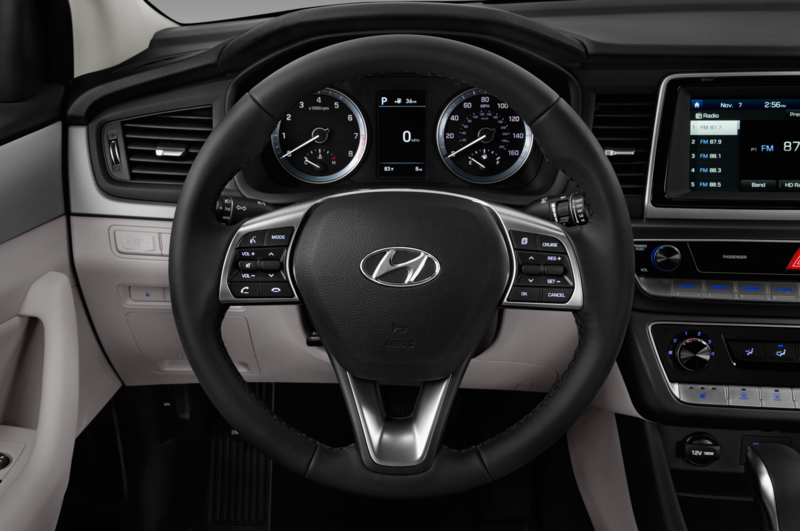 Inside, the center stack and instrument panel get spruced up a bit. 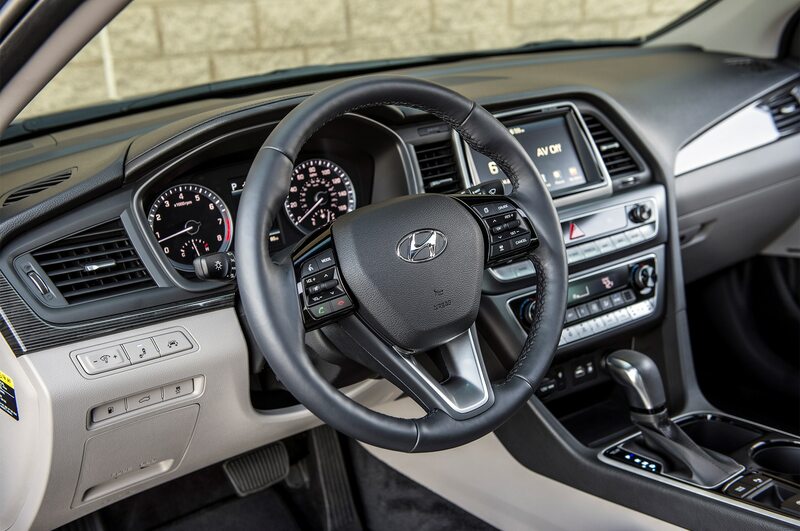 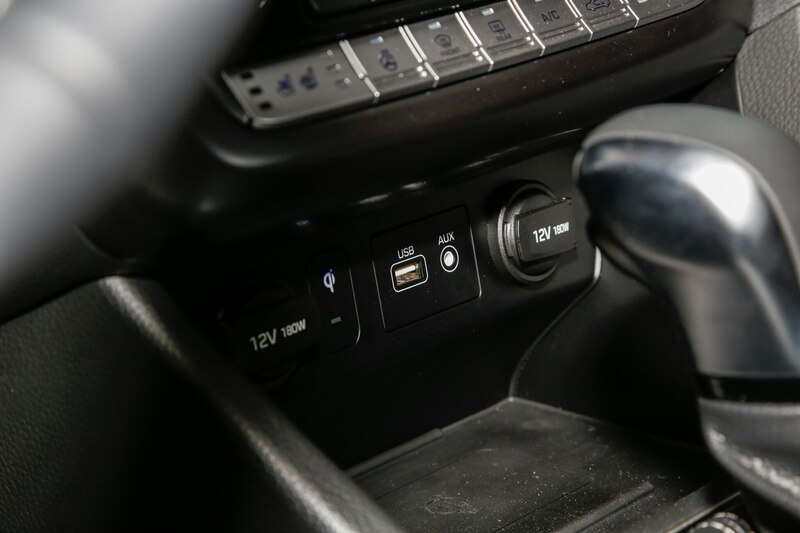 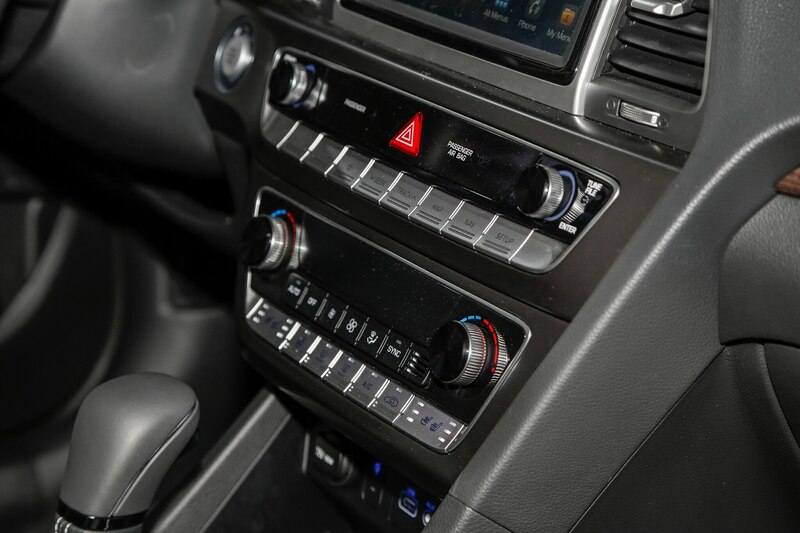 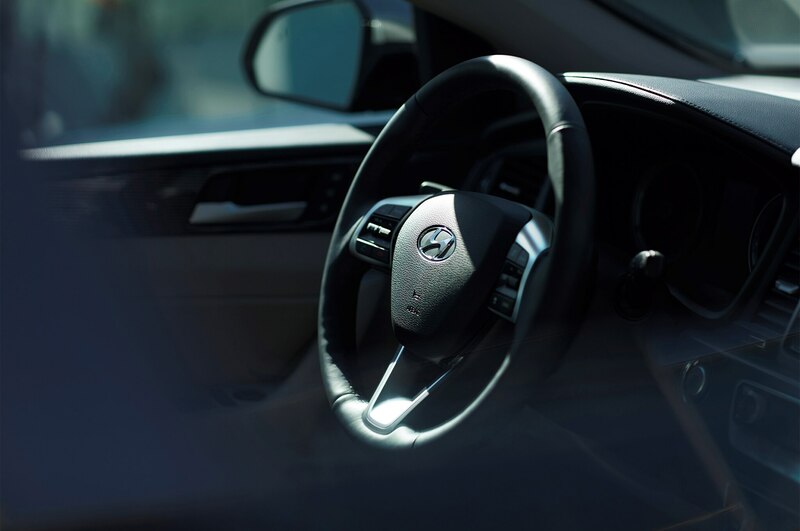 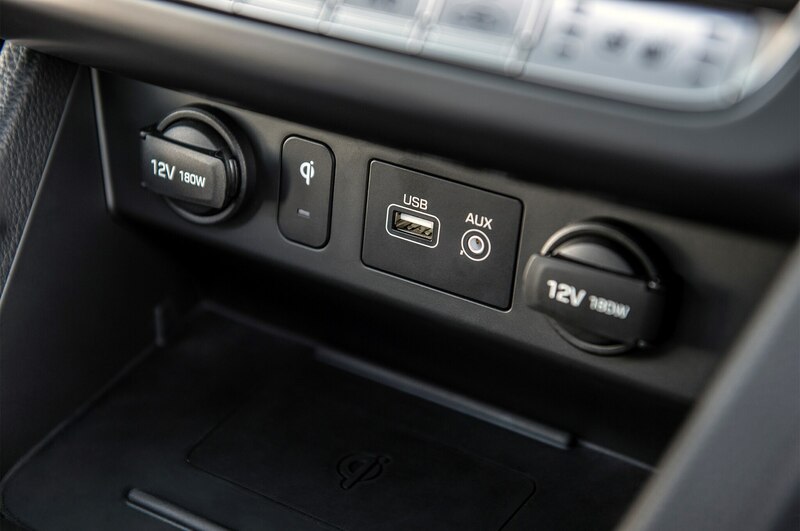 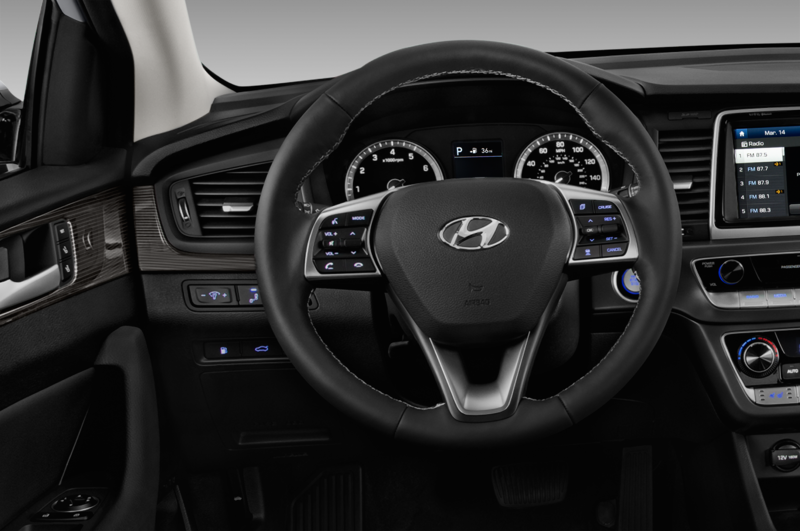 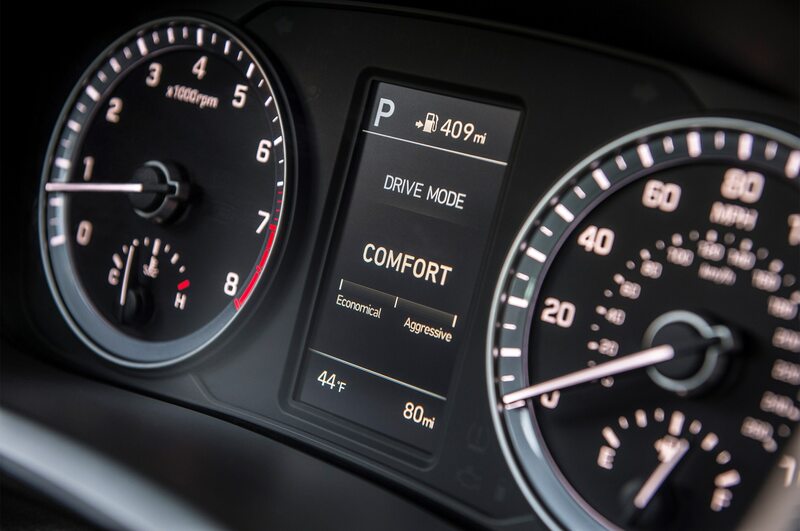 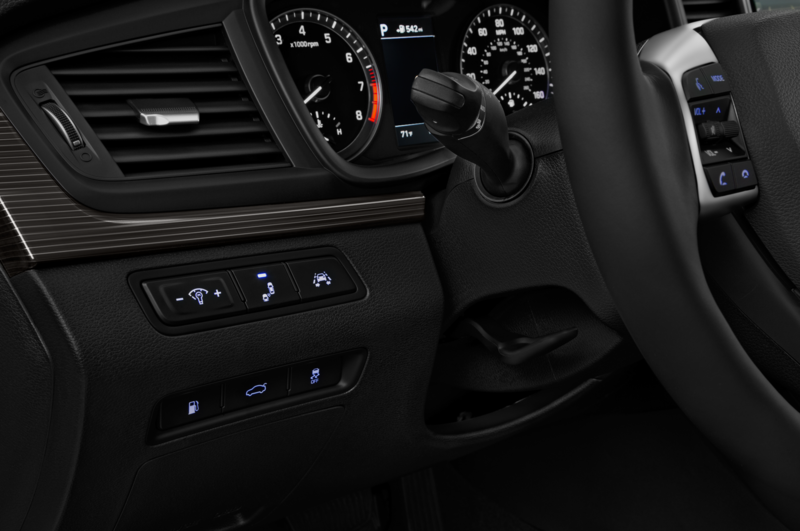 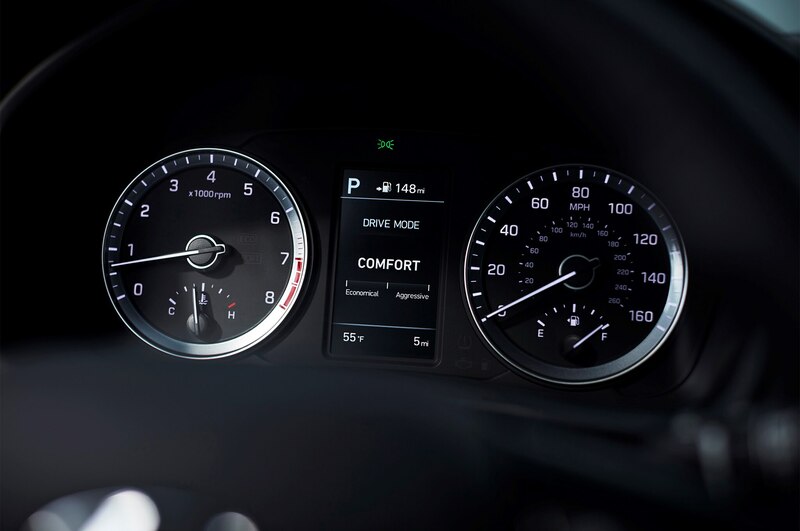 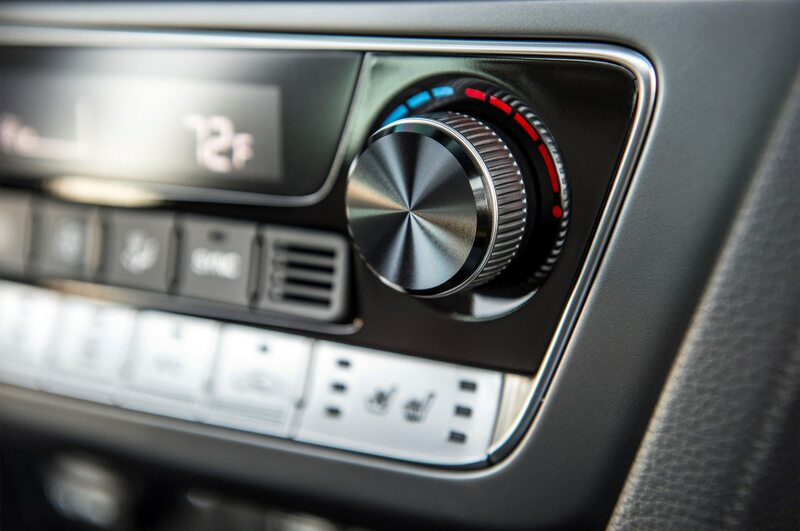 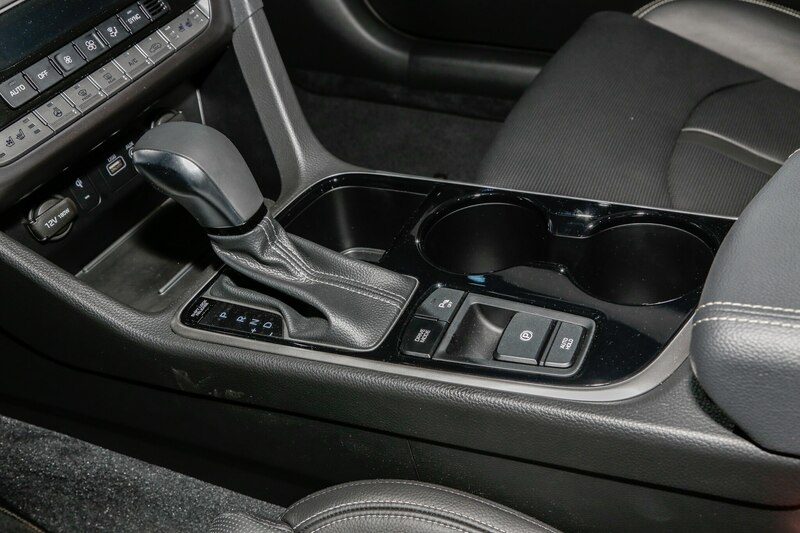 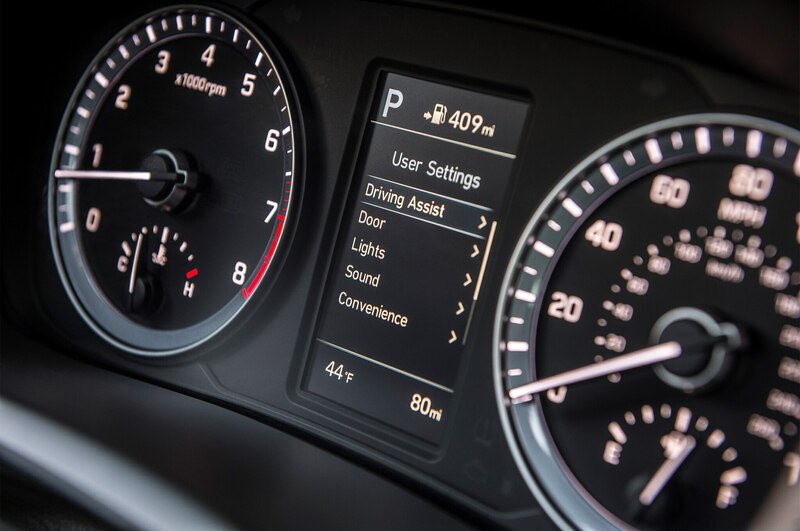 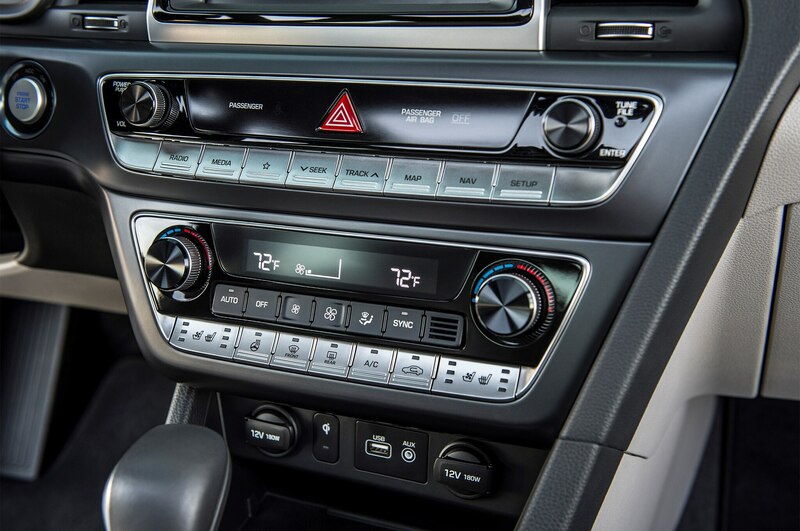 There’s a prominent three-spoke steering wheel, premium piano key audio buttons, and fancy HVAC controls to help class up the cabin. 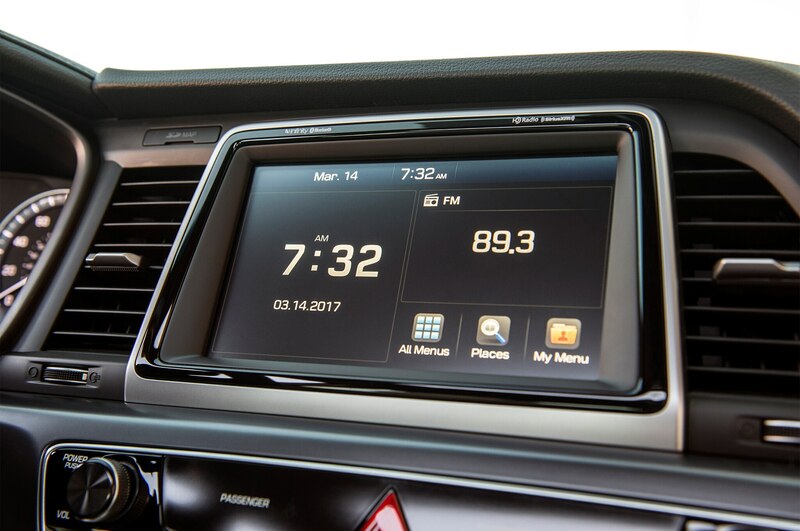 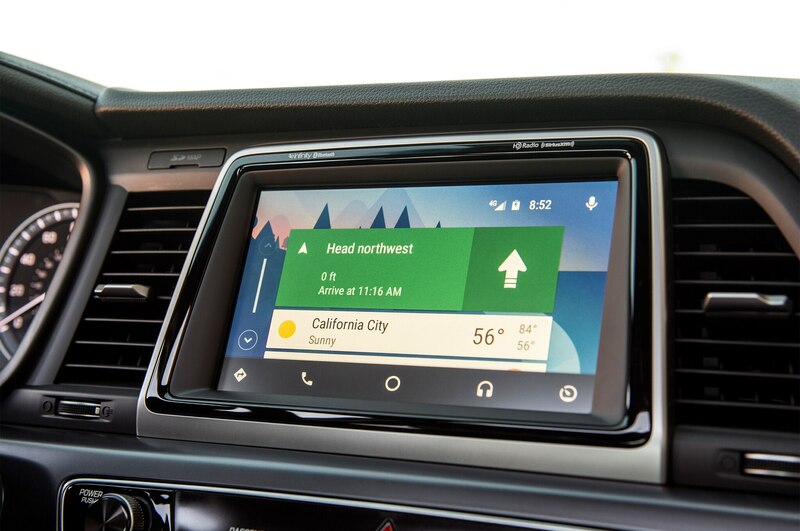 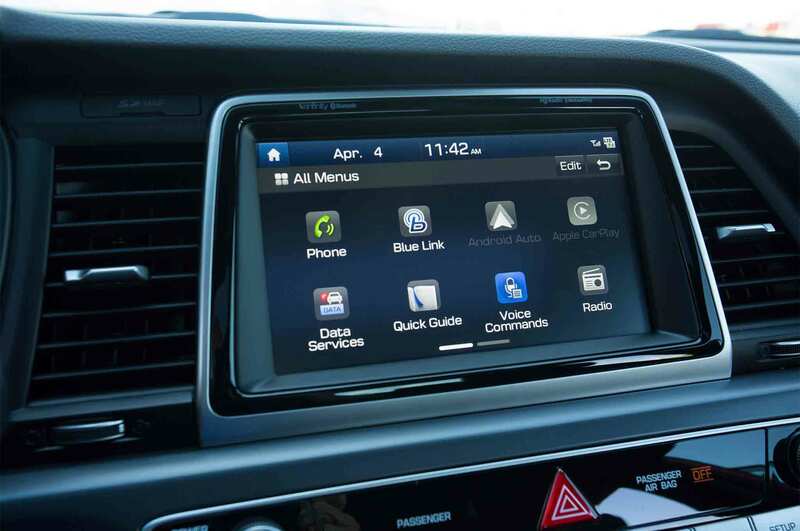 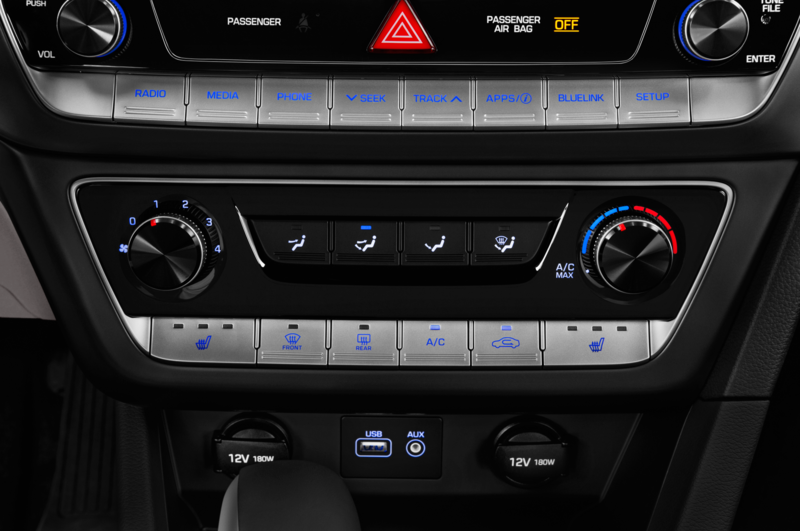 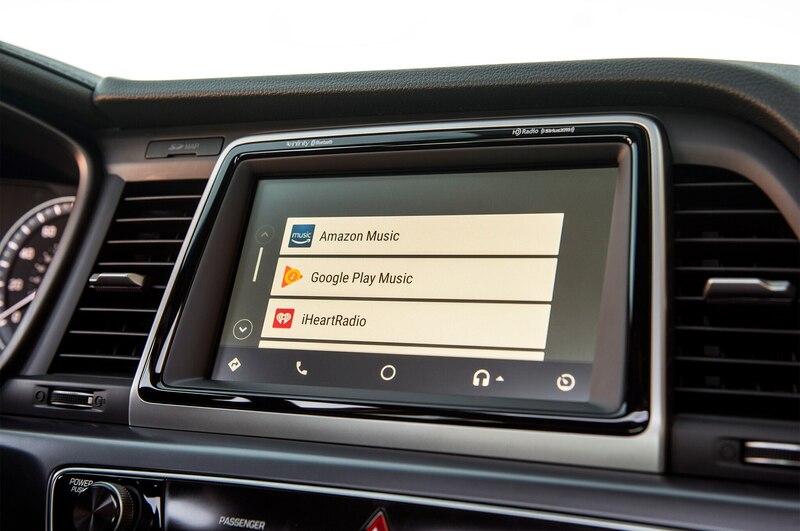 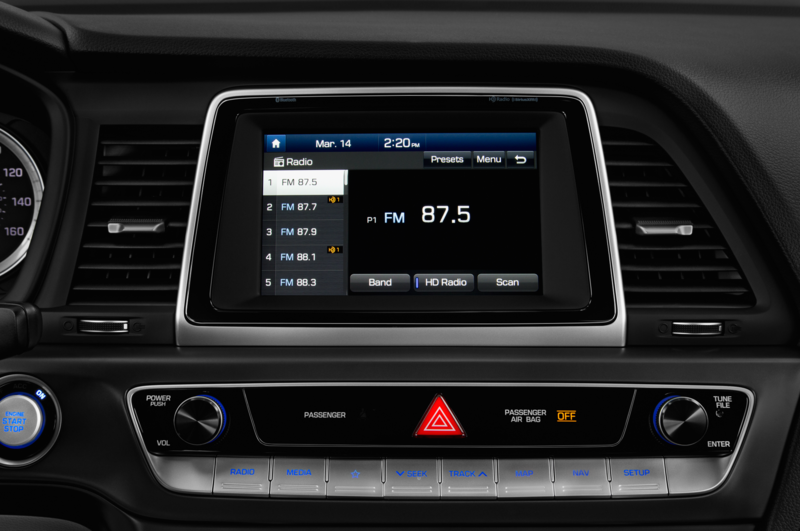 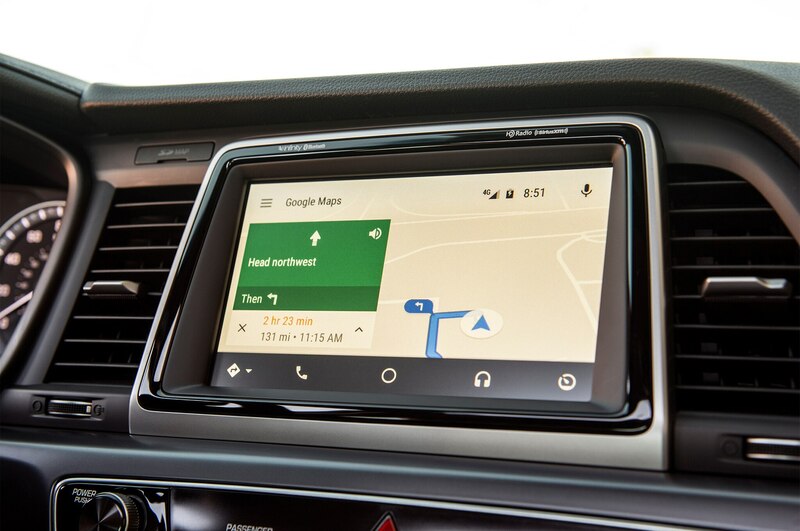 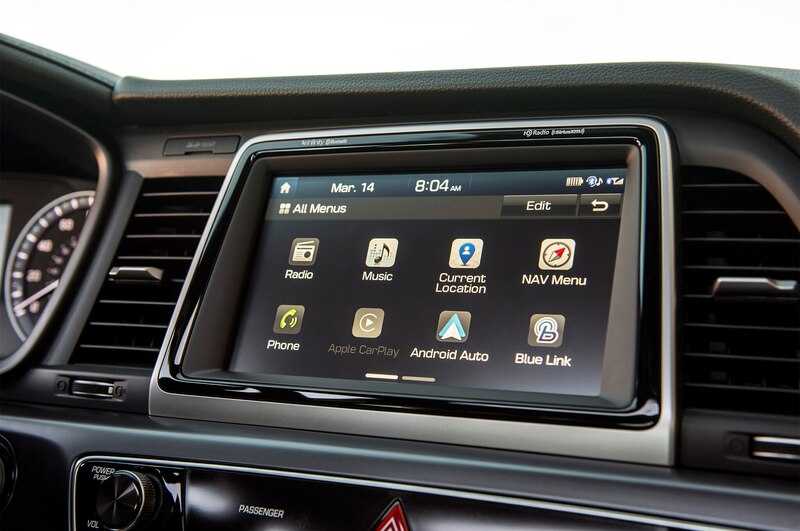 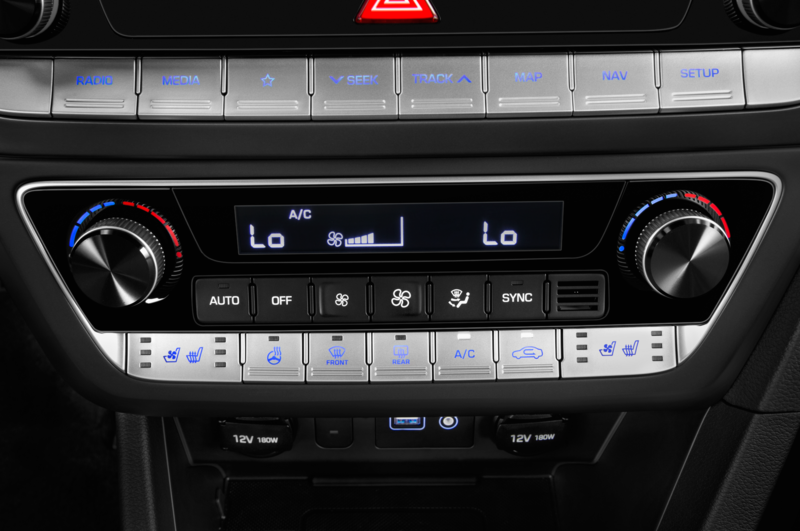 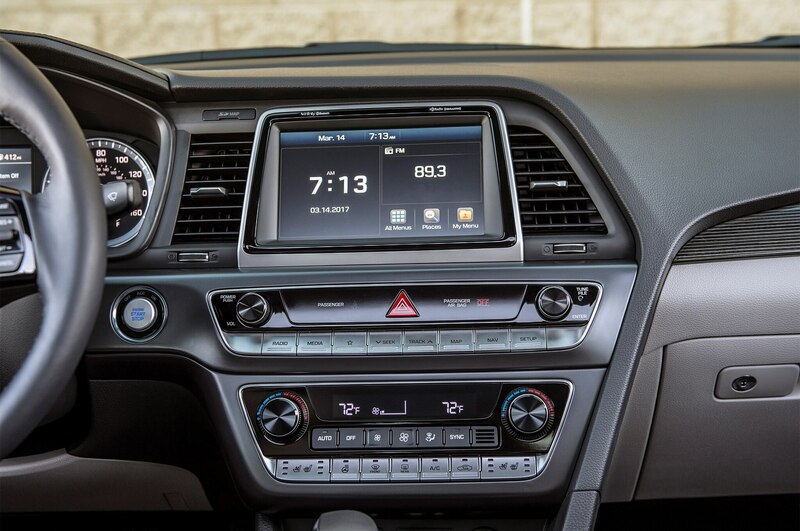 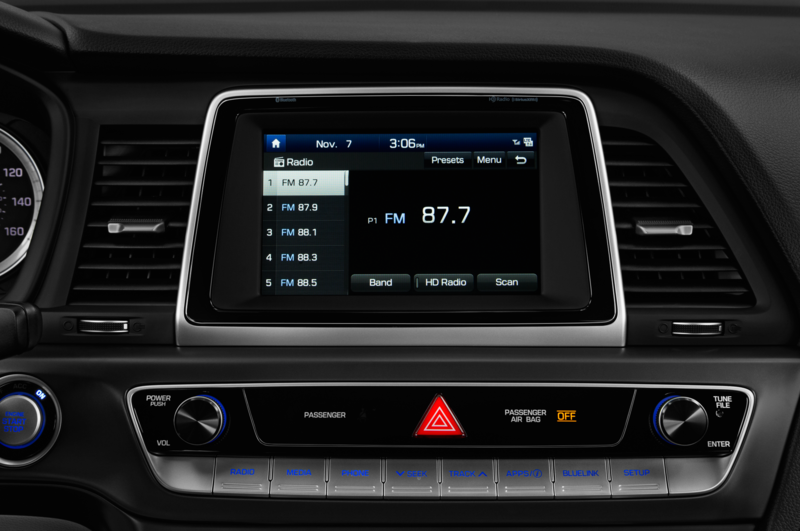 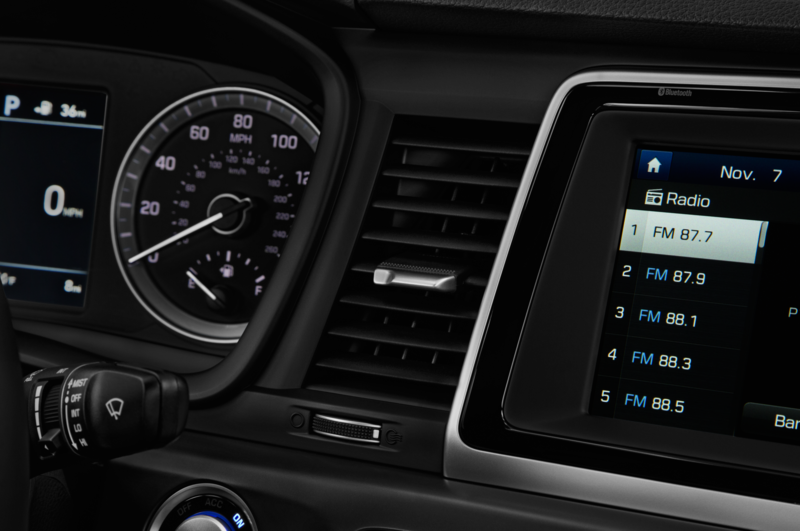 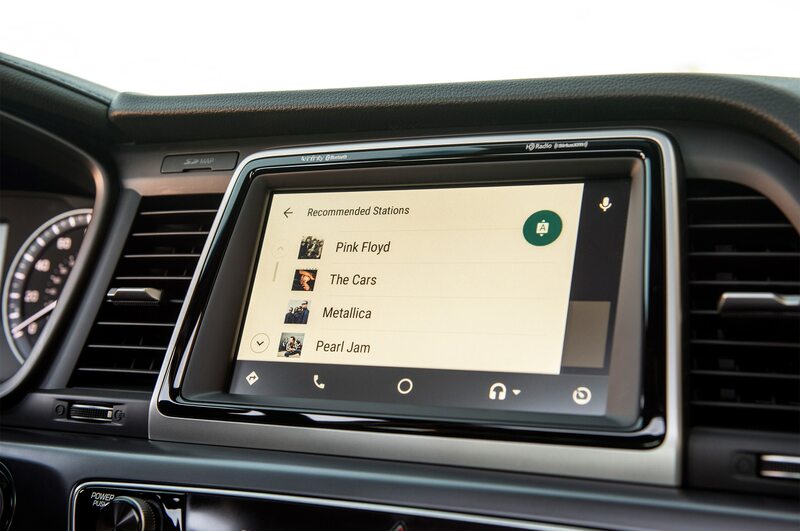 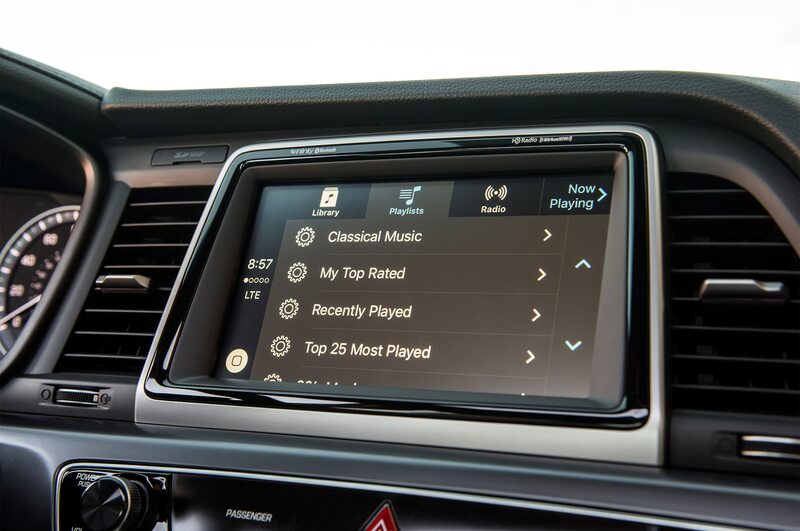 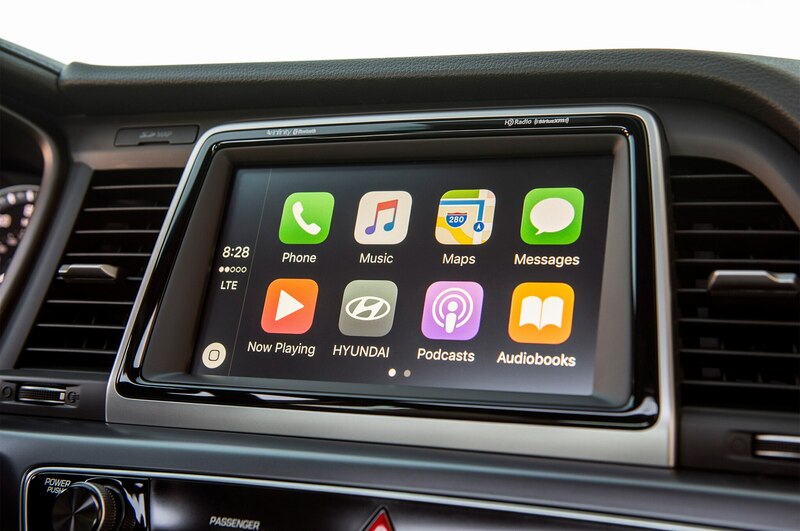 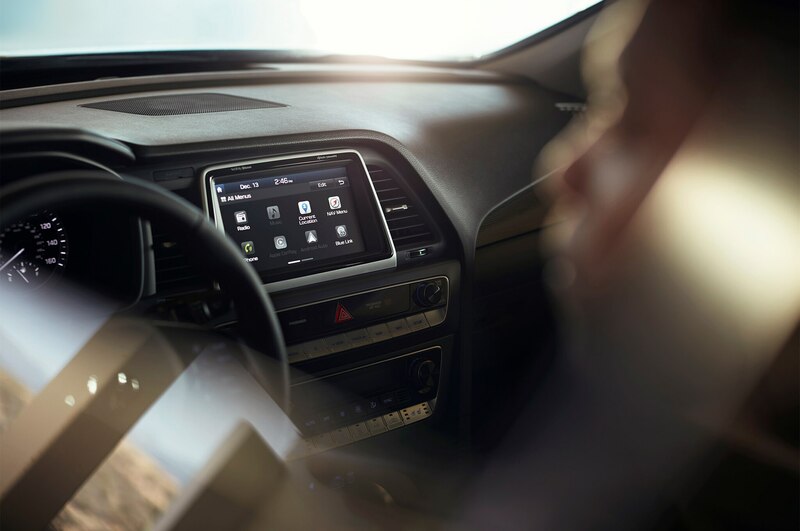 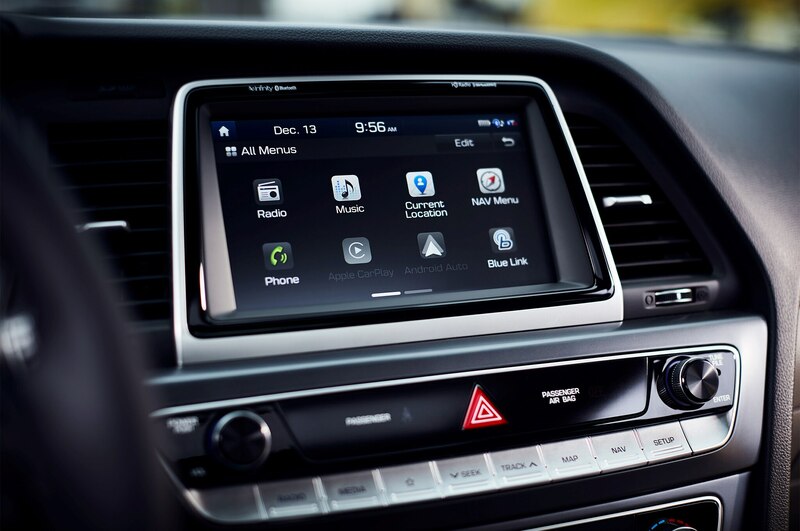 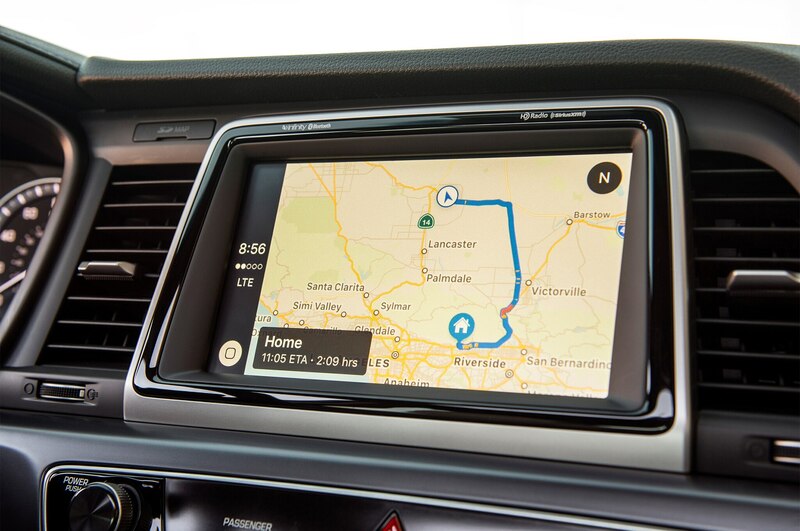 The seven-inch audio touchscreen is Android Auto and Apple CarPlay friendly. 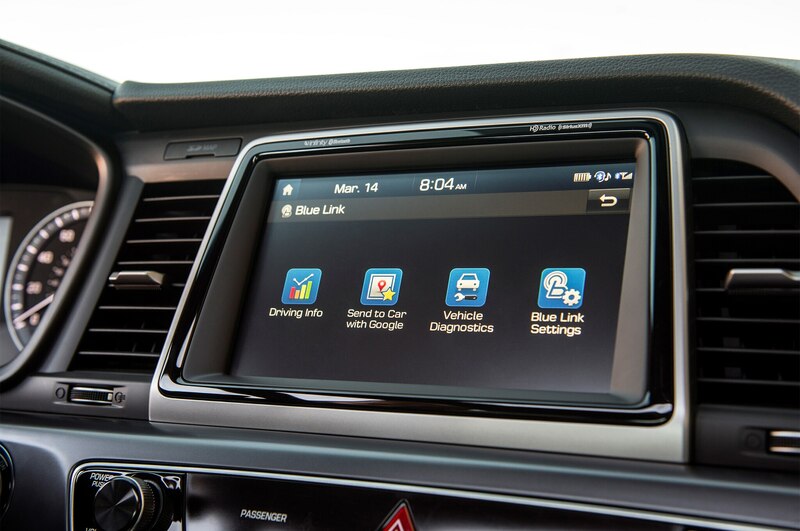 And Blue Link is now compatible with Amazon Echo and Google Home. 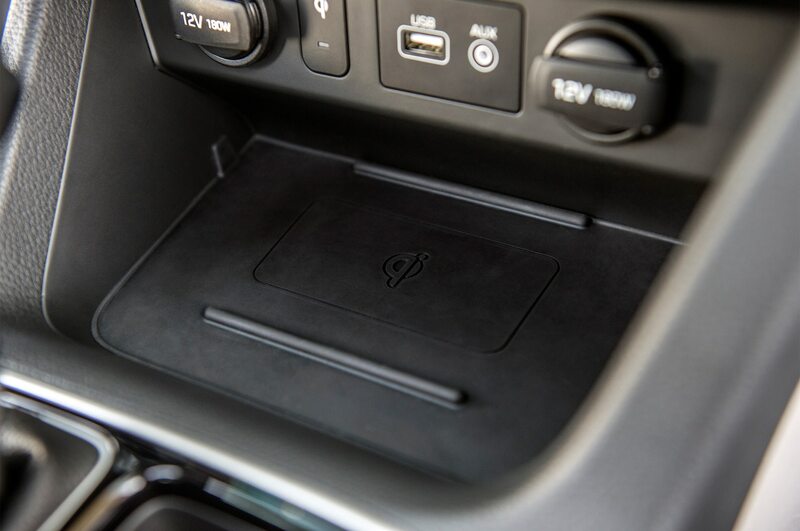 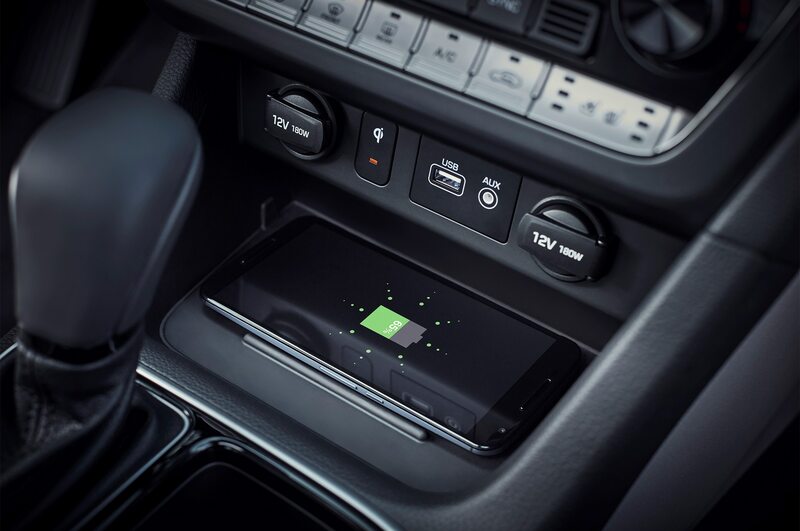 Plus, there’s a new wireless charging pad and a second row USB charge port for the kids to fight over. 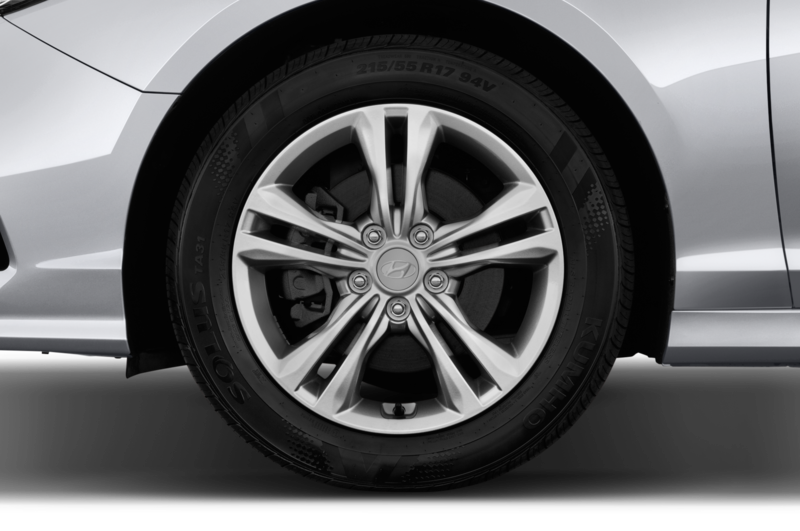 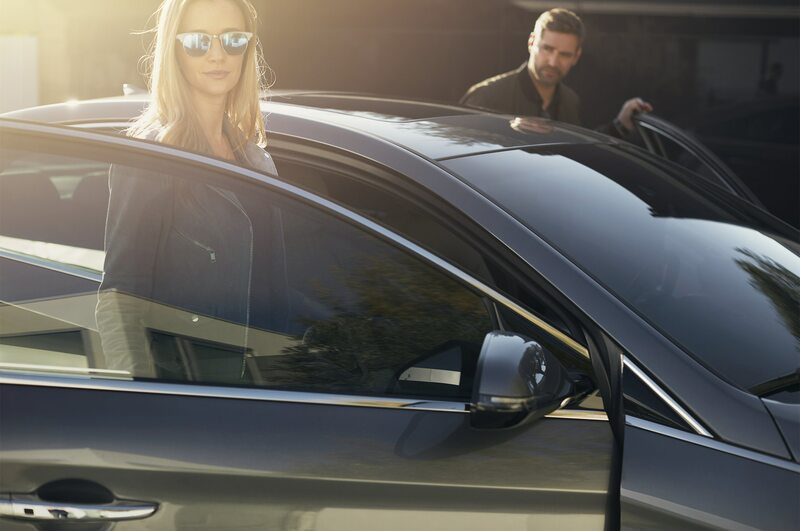 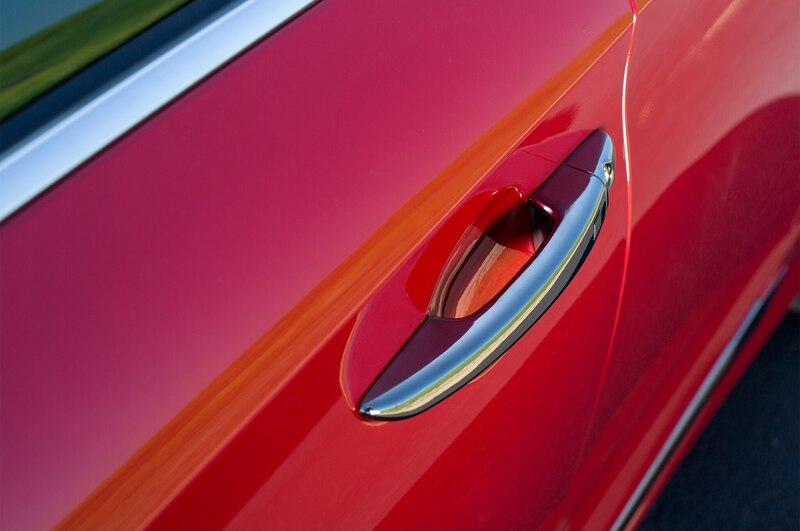 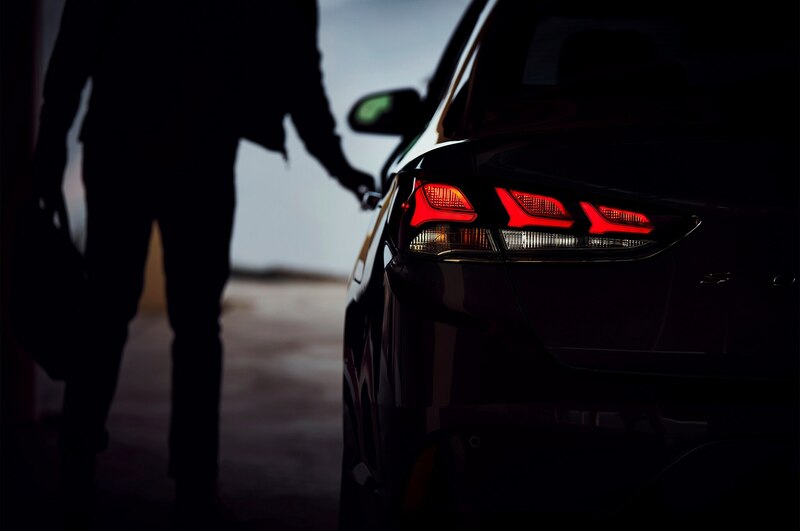 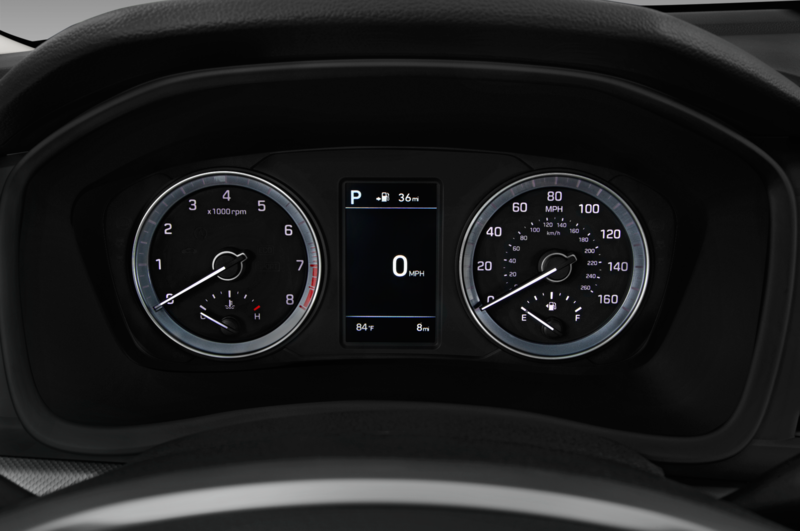 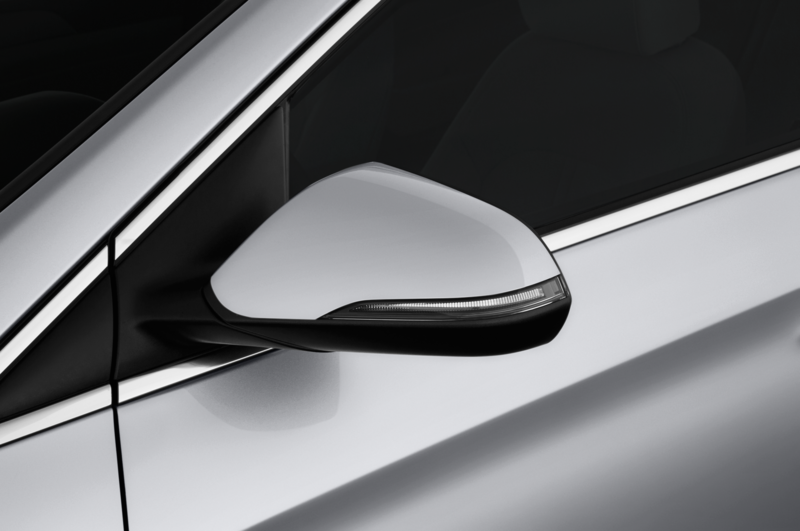 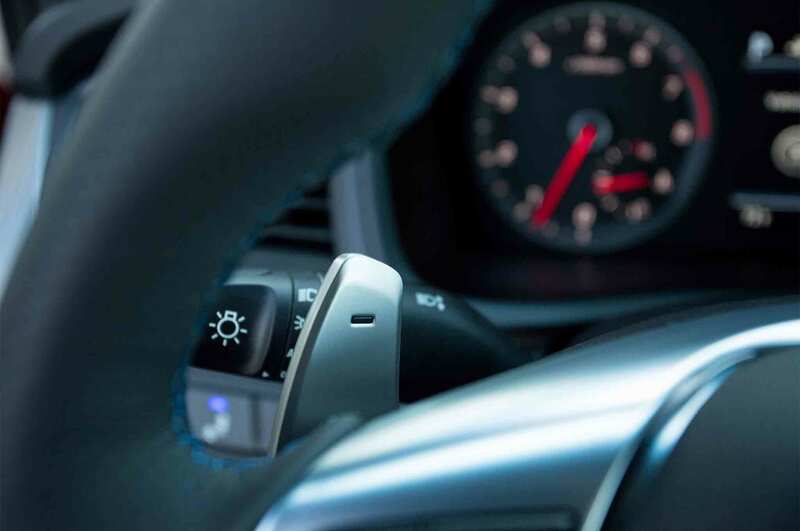 Lastly, blind spot detection with rear cross-traffic alert is now standard and lane departure warning with lane keep assist is available as an option. 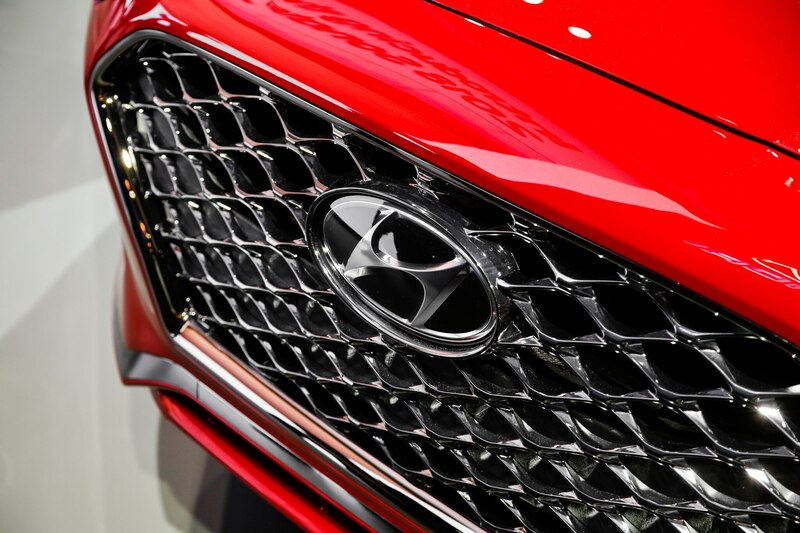 Look out Hyundai!